A multi-million movie starring Nicolas Cage will be filmed in Cyprus, it was announced on Friday. 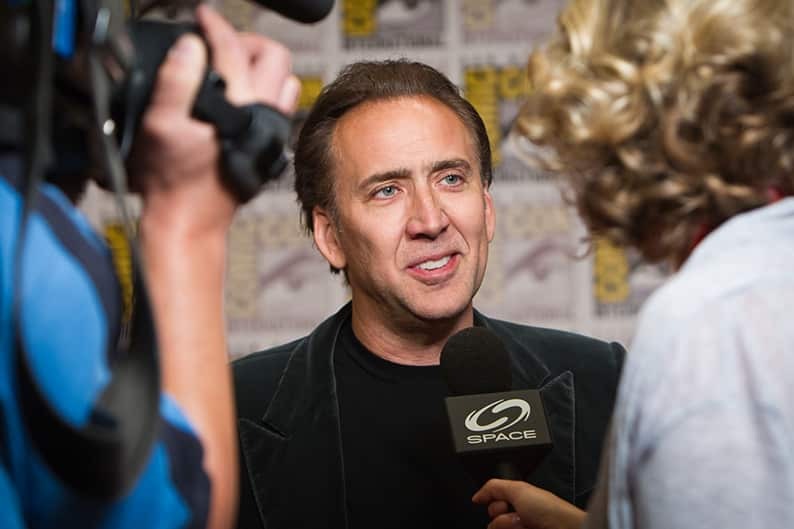 Cage has starred in such well-known movies as Rumblefish, Raising Arizona, Moonstruck, Guarding Tess, and Leaving Las Vegas. 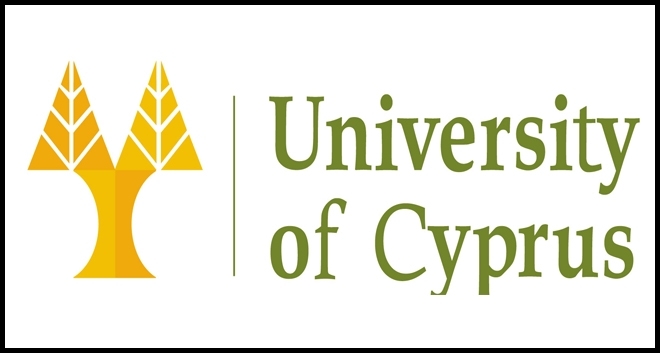 The Cyprus Investment Promotion Agency (Invest Cyprus), in cooperation with the Ministry of Education and Cypriot universities have taken the initiative to raise awareness and promote Cyprus as an educational centre of excellence abroad in order to attract foreign students. 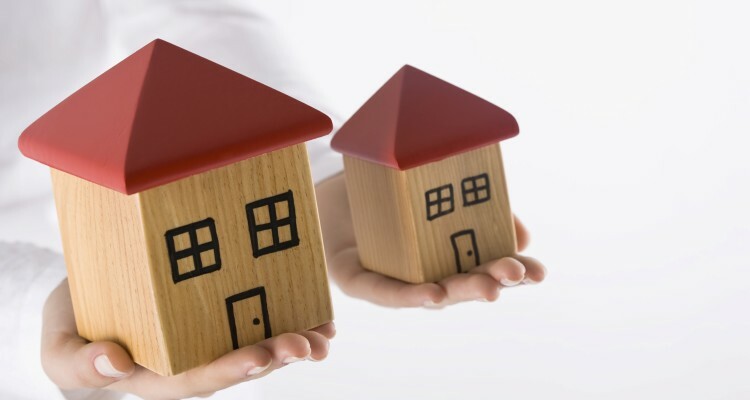 February 2019 saw property sales go through the roof, as the second month of the year recorded an increase of 25% in sales documents being submitted with the Land Registry. The GDP growth rate in real terms during the fourth quarter of 2018 is positive and estimated at +3.8% over the corresponding quarter of 2017. 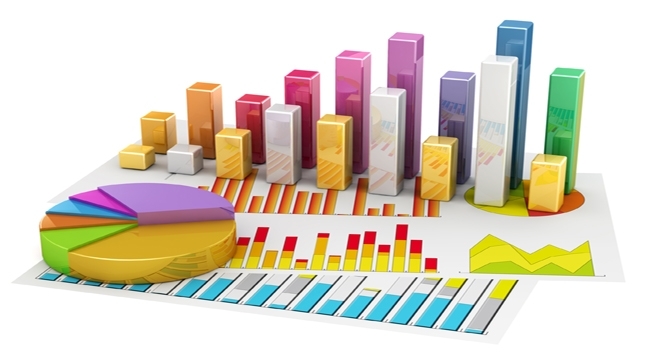 Based on seasonally and working day adjusted data, GDP growth rate in real terms is also estimated at +3.8%, according to data released by the Statistical Service of Cyprus. 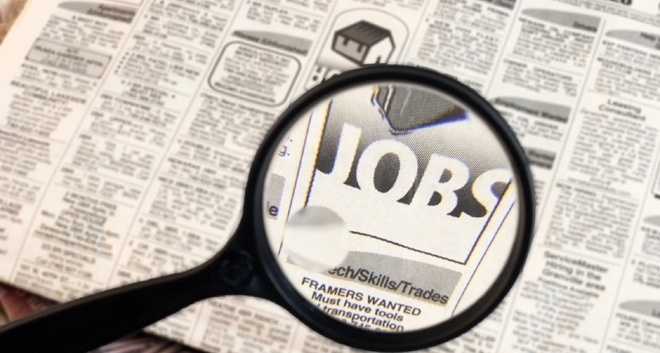 Unemployment in Cyprus fell to 7.6% of the labour force in the 4th quarter of 2018, from 7.8% in the 3rd quarter, according to the Labour Force Survey by the Statistical Service of Cyprus. One of Cyprus’ goals is to attract special interest tourism which is huge market but it takes time, specialisation and targeted actions, Deputy Minister for tourism, Savvas Perdios, said on Wednesday. 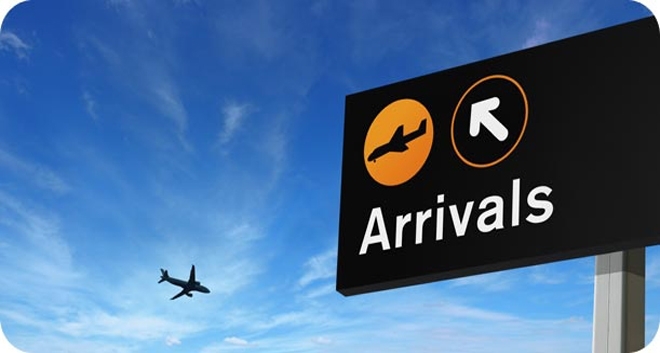 The significant increase in arrivals mainly from the United Kingdom has boosted tourist arrivals in Cyprus in January 2019. 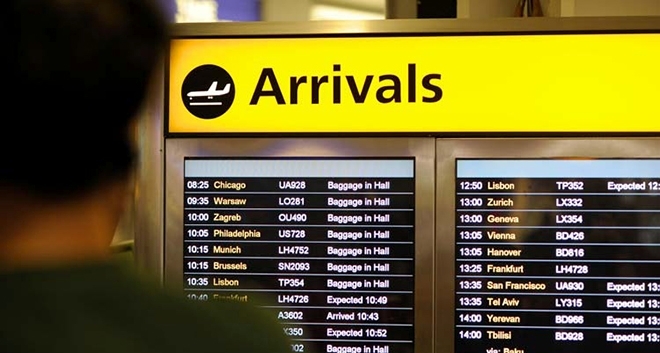 The Travelers Survey conducted by the Statistical Service of Cyprus and published on Monday, showed that arrivals of tourists in January 2019 reached 81,970 compared to 75,867 in January 2018, recording an increase of 8.0% and were the highest ever recorded in January. 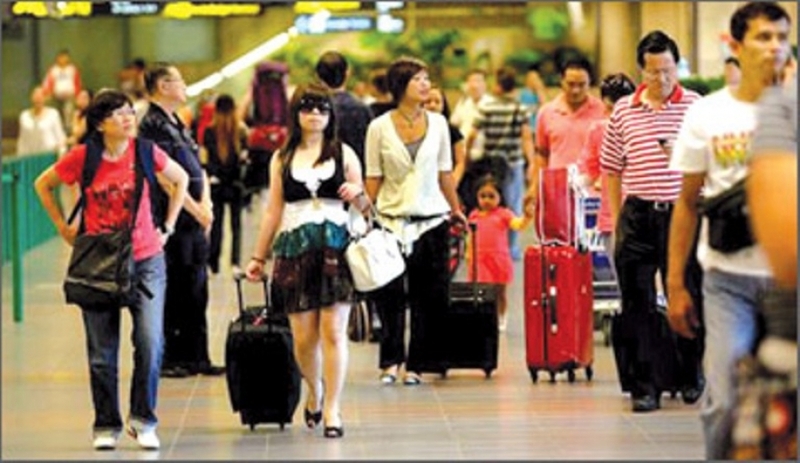 Tourist arrivals in January set a new record for the month, rising an annual 8% to 81,970 in January 2019 compared to 75,867 in January 2018, latest Passenger Survey figures show. 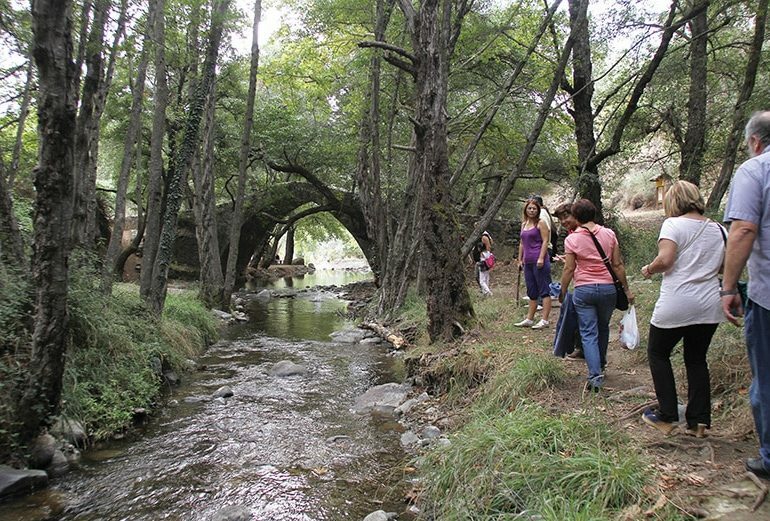 When it comes to Hiking, Cyprus offers countless nature trails that stretch from one end of the Island to the other. Award-winning ‘best teacher of the world’, Andria Zafirakou, will be in Cyprus for a unique presentation. 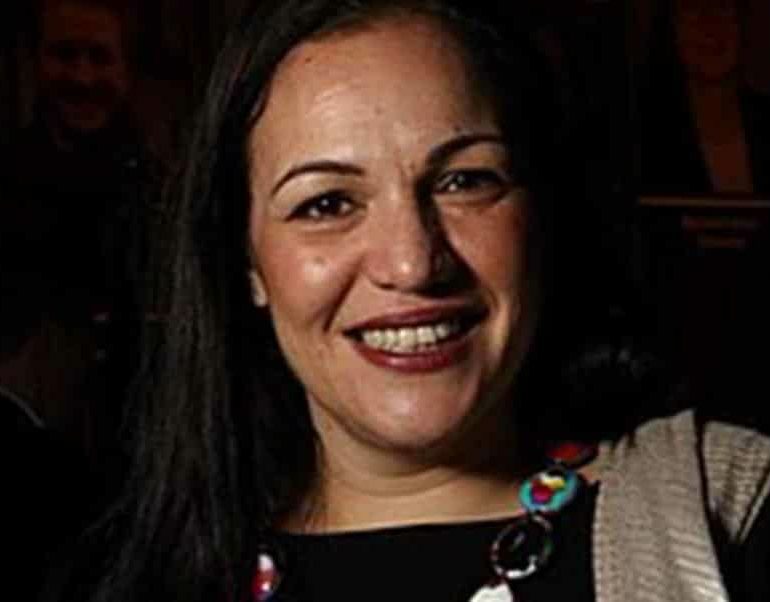 The Youth Organisation of Cyprus is honouring Andria Zafirakou who, according to the Varkey Foundation, is the best teacher of the world on Friday, February 15, at the Pallas Cinema Theatre in Nicosia. Zafirakou stood out among 30,000 teachers and was honoured with the 2018 Global Teacher Prize (2018). Cyprus has been ranked as the 32nd safest country in the world according to Global Finance magazine. It scored 8.88 on the magazine’s Safety Index which covered 128 countries. Iceland was top of the list as the safest with a score of 6.16 followed by Switzerland and Finland. Roudia Bridge although is one of the most beautiful venetian bridges in Cyprus, it is rarely mentioned in tourist guides. 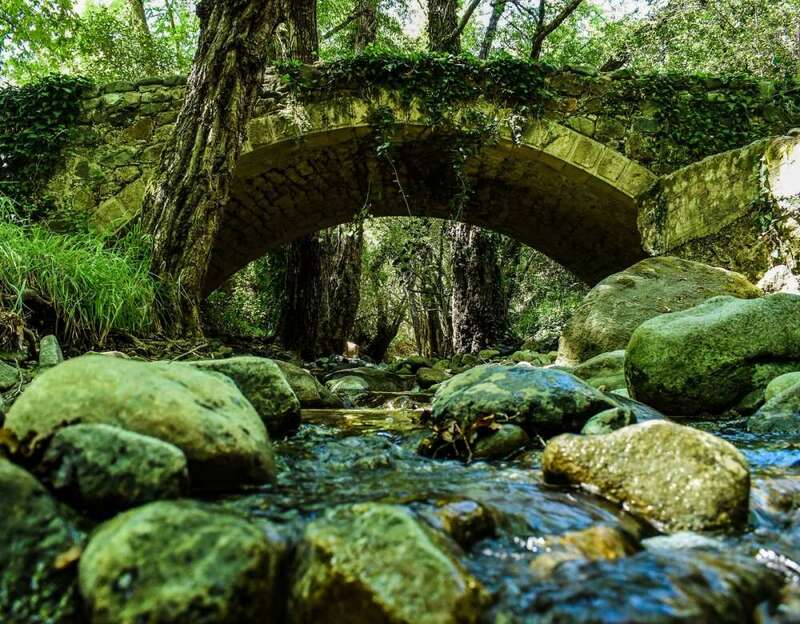 Most people know and visit the Treis Elies Bridge and Tzielefos Bridge. Maybe because is more difficult to get their. 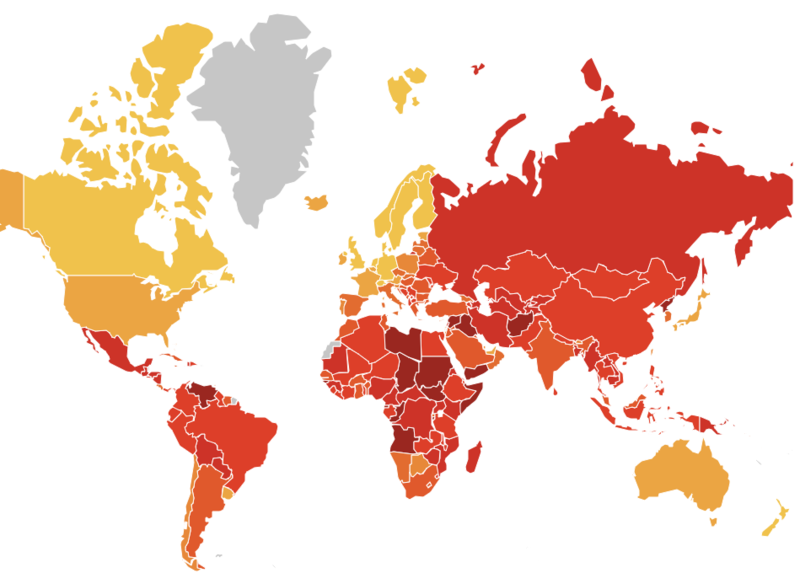 Transparency International placed Cyprus in 38th place among 180 countries in its 2018 Corruption Perception Index. Maritime cooperation between Cyprus and Egypt is set to be strengthened even further, after meetings Deputy Minister of Shipping Natasa Pilides held in Egypt with Egyptian Minister of Transportation Hesham Arafat and Chairman of the Suez Canal Authority Admiral Mohab Mohamed Hussein Mamesh, in Cairo and Ismailia. 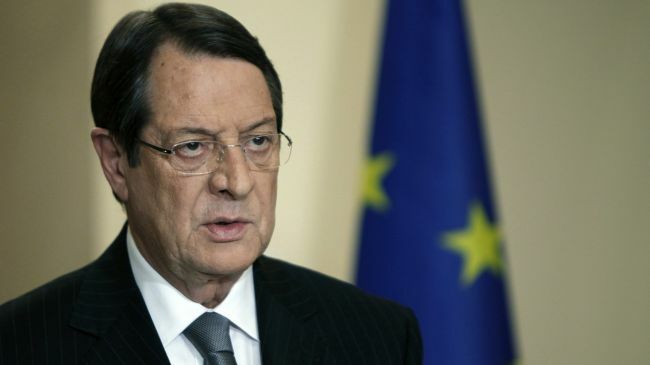 Cyprus President Nicos Anastasiades was presented on Wednesday 9 January with an award by the Slovenian President Borut Pahor, during his official visit to the country. According to an announcement, the President, accompanied by his wife Andri and the members of the Cyprus delegation, arrived in the morning at Constitution Square in the capital of Slovenia, Ljubljana, where he was welcomed by the President of the country. A military guard was presenting honors. 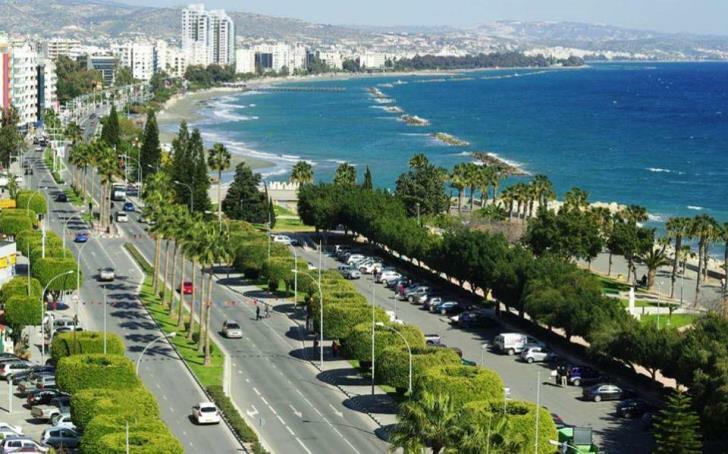 Cyprus is ranked 37th in the Forbes’ ‘Best Countries for Business’ list for 2019. The United Kingdom is Forbes’ ‘Best Country for Business’ for 2019, while the Central African Republic is in the last place. 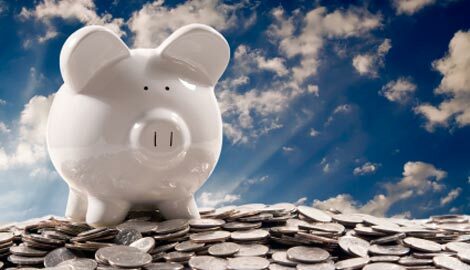 The UK and Cyprus governments have agreed an amendment to the 2018 Double Taxation Convention in response to concerns by British nationals about one of its provisions in respect of government service pensions. The amendment will allow individuals to choose which basis of taxation they want to apply to their government service pensions. This choice can be made from 1 January 2019 until 31 December 2024. 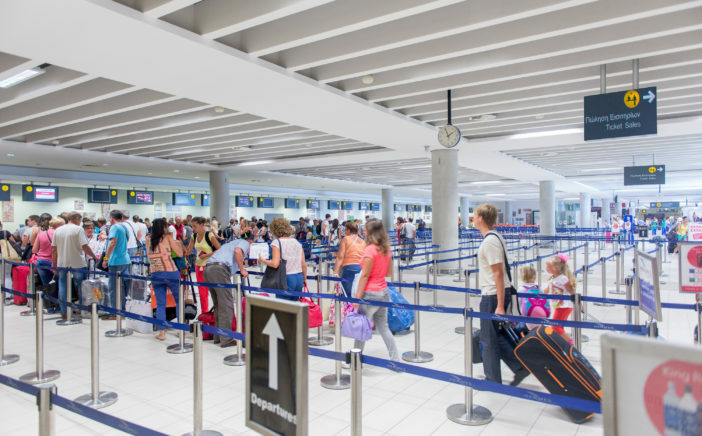 Cyprus recorded record tourist arrivals in November with a rise of almost ten per cent over November 2017, Cystat said on Monday. 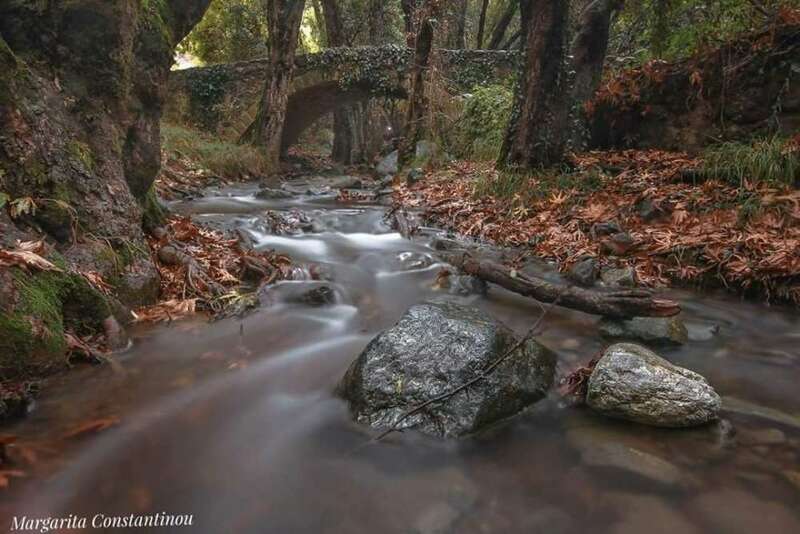 Cyprus during winter can be as magical as in summer. The fog, the winter colors of nature, the abandoned buildings and the wild sea create spooky sceneries directly taken from thriller movies. Enjoy! Cyprus is the 28th most prosperous country in the world according to the latest Legatum Prosperity Index. Legatum measured the prosperity of 149 world countries according to their economic, quality, business environment, social capital, governance, education, health, safety and security, personal freedom and natural environment. 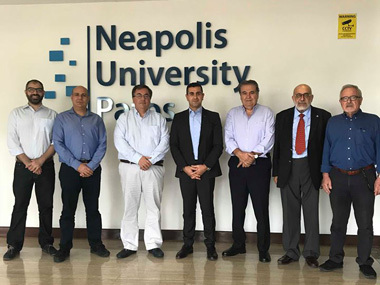 A meeting of Mr. Andreas Kettis, head of the European Parliament office in Cyprus, with the Rector of the Neapolis University in Cyprus, Professor Pantelis Sklias, members of the academic and administrative staff, as well as representatives of the students, was held today. 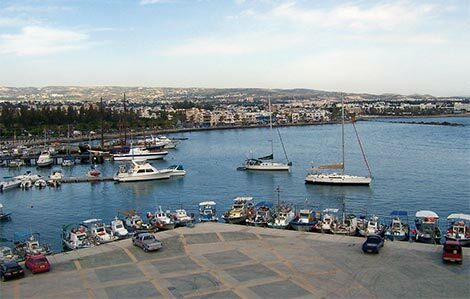 Cyprus has been upgraded back to investment grade by DBRS Ratings Limited, following recent upgrades from Standard & Poor’s and Fitch Ratings, the Cyprus News Agency reported on Saturday. Cyprus needs a new economic model which utilises both the traditional sectors and strengthens the role of young people if it wants to get ahead, the head of the chamber of commerce and industry (Keve) Christodoulos Angastiniotis said on Wednesday. 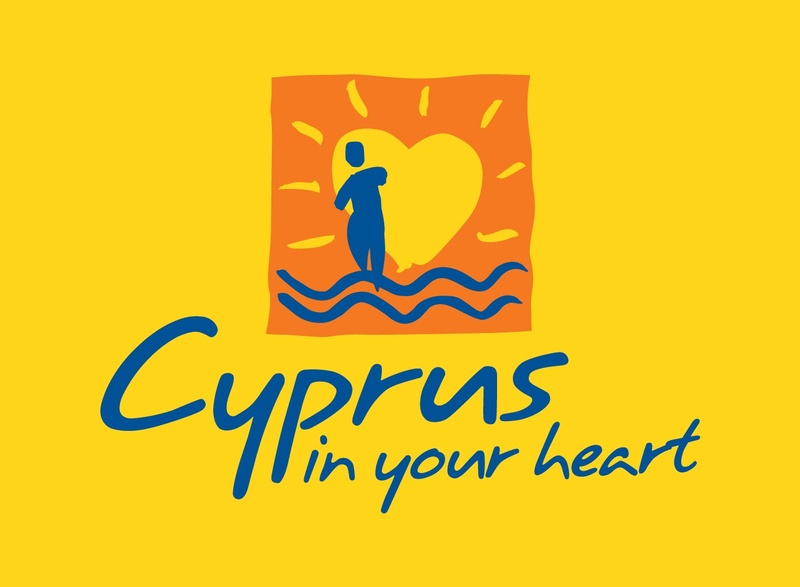 Hundreds of runners will descend on Paphos ahead of the Cyprus International four day challenge that will take place in the coastal town this week and go some way to help to boost winter tourism, according to organisers. 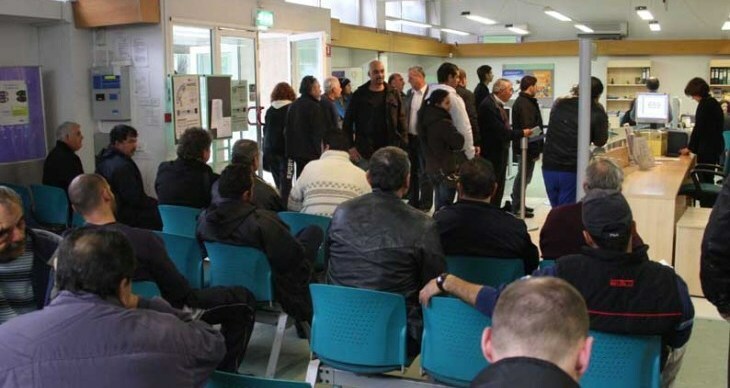 The unemployed persons, registered at the District Labour Offices on the last day of October 2018, reached 20,447 persons. 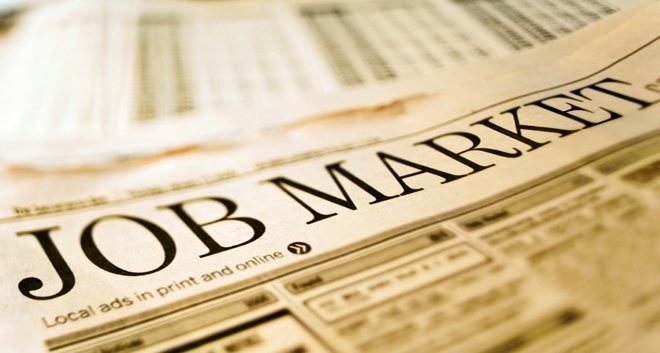 Based on the seasonally adjusted data that show the trend of unemployment, the number of registered unemployed for October 2018 decreased to 24,922 persons in comparison to 25,399 in the previous month., according to data released by the Statistical Service of Cyprus. 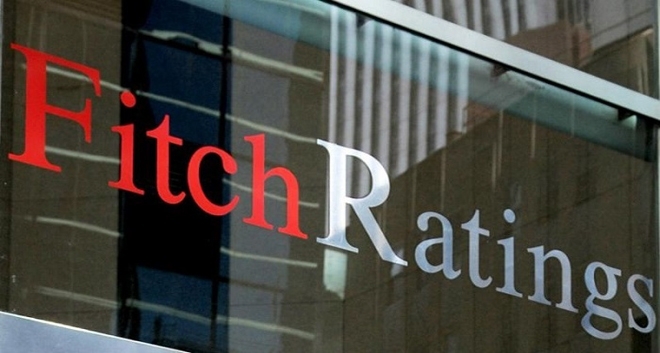 Fitch Ratings has upgraded Cyprus’ sovereign rating to investment grade, ‘BBB-‘ from ‘BB+’, with a stable outlook as the island expects a 2.7 per cent fiscal surplus this year and continuous growth that will boost receipts. The upgrade followed similar action by Standard and Poor’s last month. 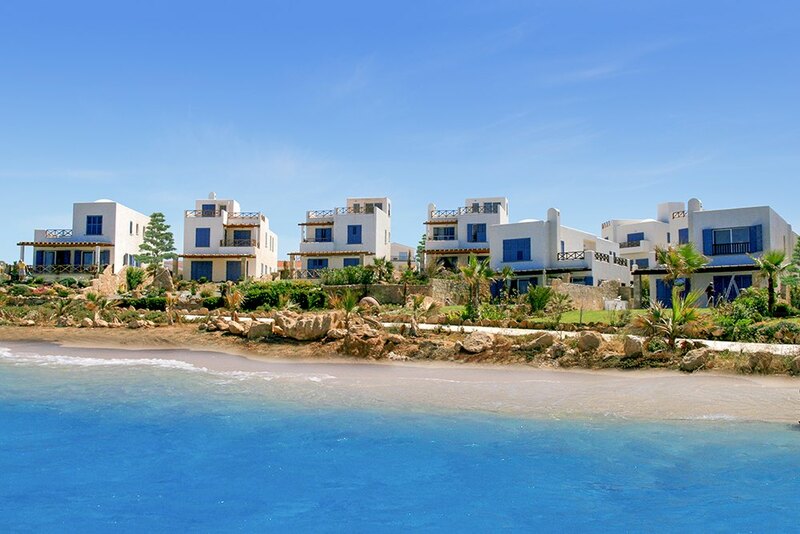 REAL ESTATE experts believe the Cyprus property market is on the up The House Price Index (HPI) reached 103.98 units for the second quarter of the year, increasing by 0.6% compared to the first three months of 2018. The year-on-year increase of the index stands at 1.2% continuing the positive trend of the past few years, pleasing Real Estate specialists. DURING September 2018, the number of property sales contracts deposited at Land Registry offices across the Republic of Cyprus rose 14% compared to September 2017 according to official figures published earlier today by the Department of Lands and Surveys. Property sales have been rising for 17 consecutive months and this September rise follows a rise of 14% in August, 21% in July and 2% in June. The Medieval history of Cyprus starts with the division of the Roman Empire into an Eastern and Western half. Because of its reach Medieval history, Cyprus is full of castles and sites most of them in a very good condition. 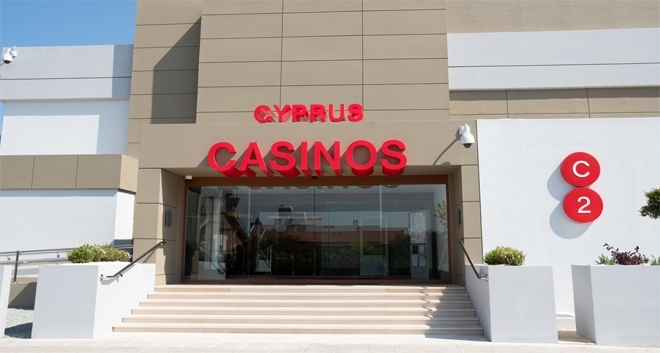 Cyprus Casinos “C2”, the first licensed casino in the Republic of Cyprus will host two events on 25th and 26th September 2018 to celebrate its official opening. 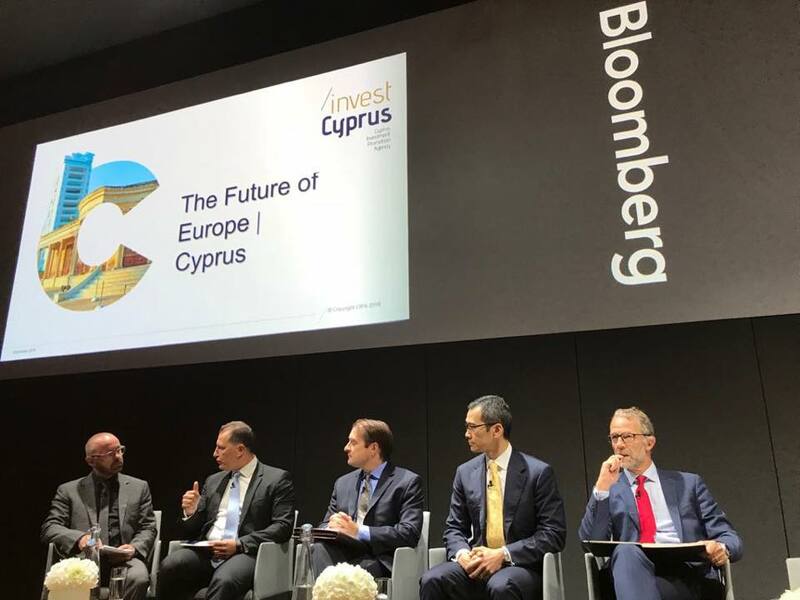 The Cyprus Investment Promotion Agency (Invest Cyprus), presented the investment opportunities that Cyprus can offer in view of Brexit, in an event that took place in London, on the future of Europe and Cyprus. The event, which was co-organised by the Agency and Bloomberg, took place on Friday, 21stSeptember at the new headquarters of the international news agency, under the auspices of the President of the Republic, Nicos Anastasiades. 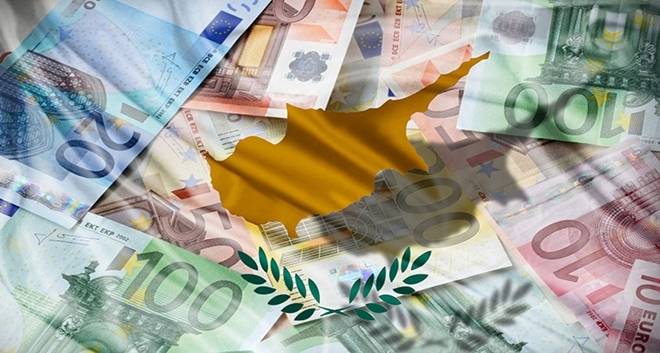 The Republic of Cyprus has issued a ten year European Medium-Term Note (EMTN) which was oversubscribed by more than five and a half times. 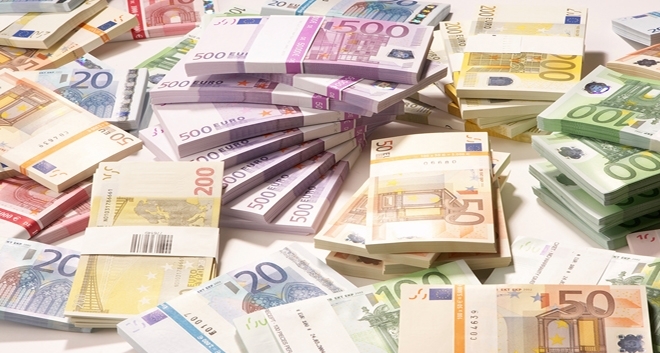 The Republic raised €1.5 billion with an interest rate of 2.4%. Cyprus and Egypt sign an inter-state agreement concerning a subsea pipeline to carry Cypriot natural gas to Egypt. 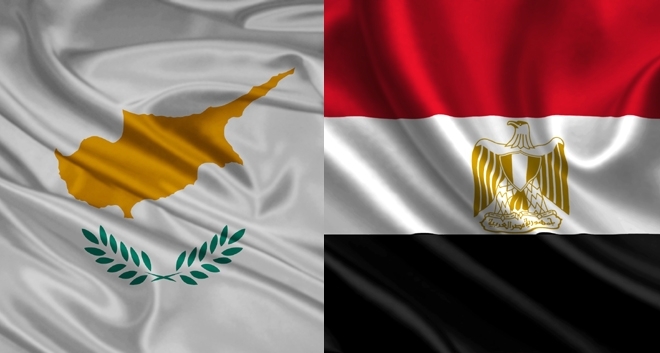 Cyprus’ Energy Minister Yiorgos Lakkotrypis and his Egyptian counterpart Tarek El Molla met on September 18 in Nicosia with the President of Cyprus, Nicos Anastasiades, to inform him about the conclusion of the deal. On the basis of the results of the Passengers Survey, arrivals of tourists reached 534,847 in August 2018 compared to 523,651 in August 2017, recording an increase of 2.1%. August 2018 had the highest volume of tourist arrivals ever recorded in Cyprus during the specific month, according to data released by the Statistical Service of Cyprus. Standard & Poor’s Global Ratings raised its long- and short-term foreign and local currency sovereign credit ratings on Cyprus to ‘BBB-/A-3’ from ‘BB+/B’ with a stable outlook. Τhe GDP growth rate in real terms during the second quarter of 2018 is positive and estimated at +3.9% over the corresponding quarter of 2017. 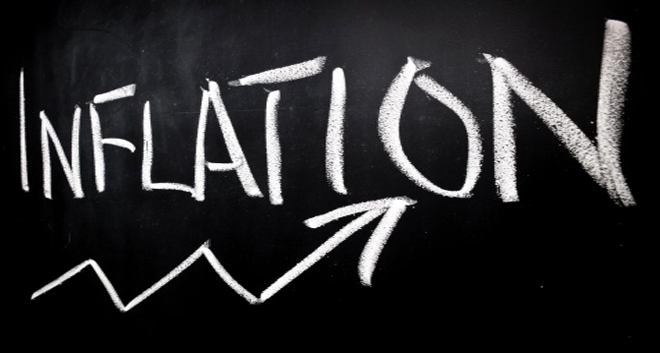 Based on seasonally and working day adjusted data, GDP growth rate in real terms is estimated at +3.9%, according to data released by the Statistical Service of Cyprus. Speaker of the House of Representatives of Egypt Ali Abdel Aal, who is paying Cyprus an official visit, has told Pafos Mayor Phedonas Phedonos that his country’s parliament would discuss and ratify within the coming weeks a bilateral agreement with Cyprus on the liberalisation of flights from and towards Alexandria and Cairo airports, a Pafos municipality press release says. 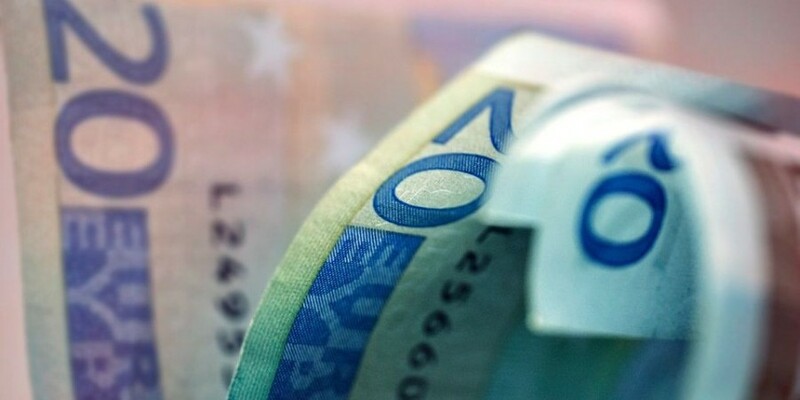 Capital Intelligence Ratings, the international credit rating agency, has announced that it has upgraded the Republic of Cyprus’ Long-Term Foreign Currency Sovereign Rating to ‘BB’ from ‘BB-’ and affirmed its Short-Term Foreign Currency Rating at ‘B’. 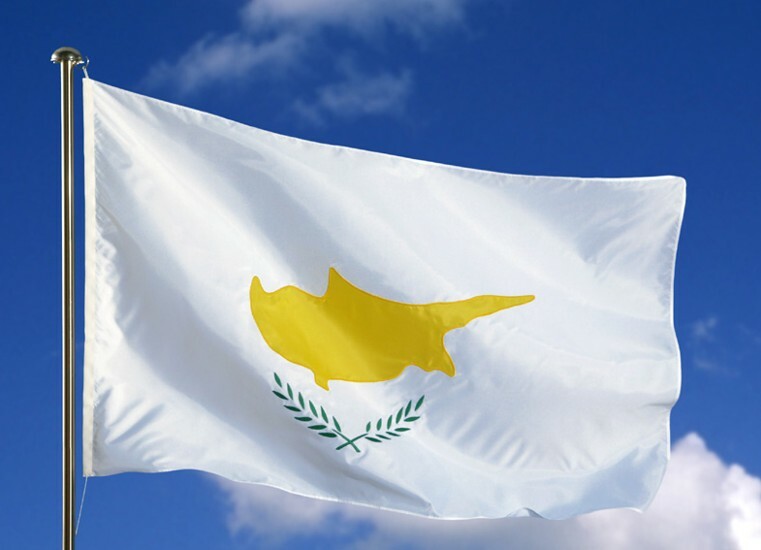 At the same time, the Outlook for Cyprus’ ratings has been affirmed at ‘Positive’. 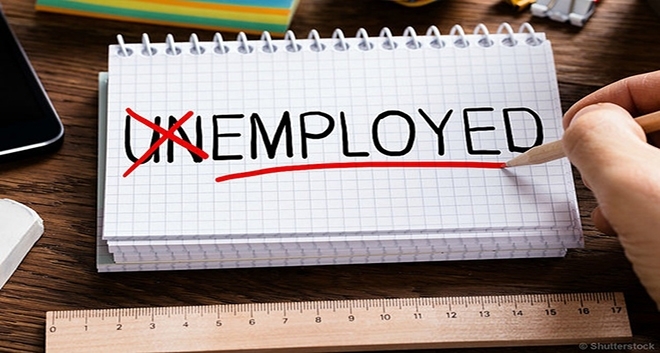 Unemployment rates in Cyprus dropped further to 7.7% in July 2018, from 7.9% in June 2018, according to Eurostat, the statistical office of the European Union. 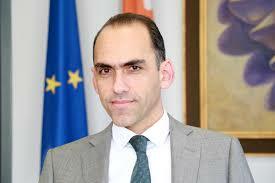 Cyprus is on its way to regain investment grade status, Government Spokesman Prodromos Prodromou said. He was speaking to the press after the Cabinet’s meeting which reviewed the first six months of the second term in office of President Nicos Anastasiades` administration. The Council of Ministers was briefed by the Finance Minister on developments in the economy. On the basis of the results of the Passengers Survey, arrivals of tourists reached 539,626 in July 2018 compared to 531,030 in July 2017, recording an increase of 1.6%. 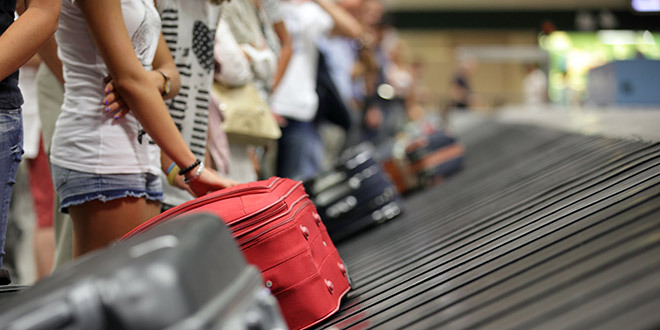 July 2018 had the highest volume of tourist arrivals ever recorded in Cyprus during the specific month. GDP growth rate during the second quarter of 2018 is positive and estimated at 3.9%. 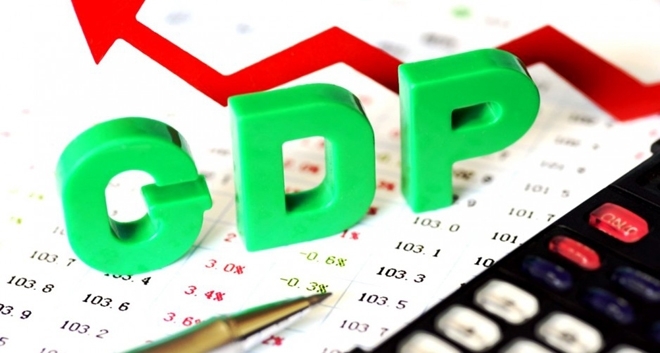 According to the Flash Estimate compiled by the Statistical Service, the GDP growth rate in real terms during the second quarter of 2018 is positive and is estimated at +3.9% over the corresponding quarter of 2017. In Cyprus exist more than 600 different types of spices and herbs. Herbs and spices are important for the locals thourghout history. 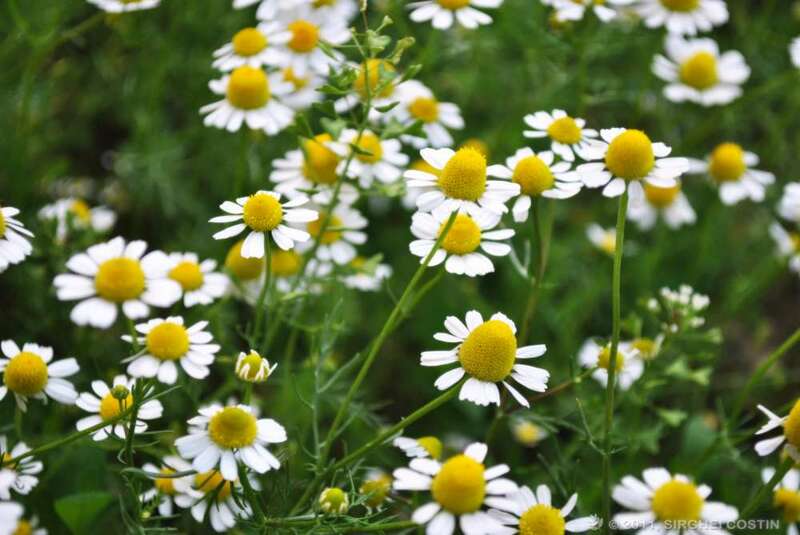 They are not only used for food preparation but also for medical purposes. 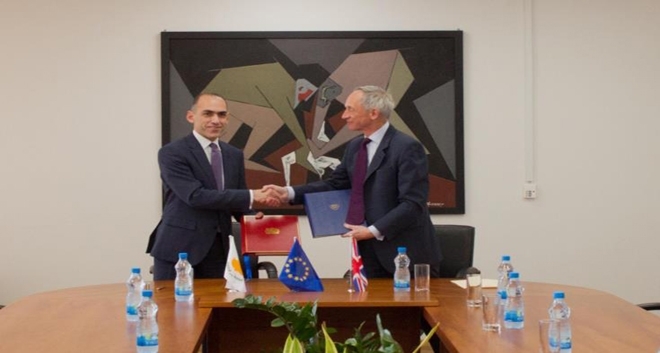 Recently, Cyprus and UK have signed a new double tax treaty which replaces the existing treaty signed between two countries since 1974. It is expected that the new treaty will soon be ratified and therefore it will take effect as from 1st January 2019 in Cyprus. 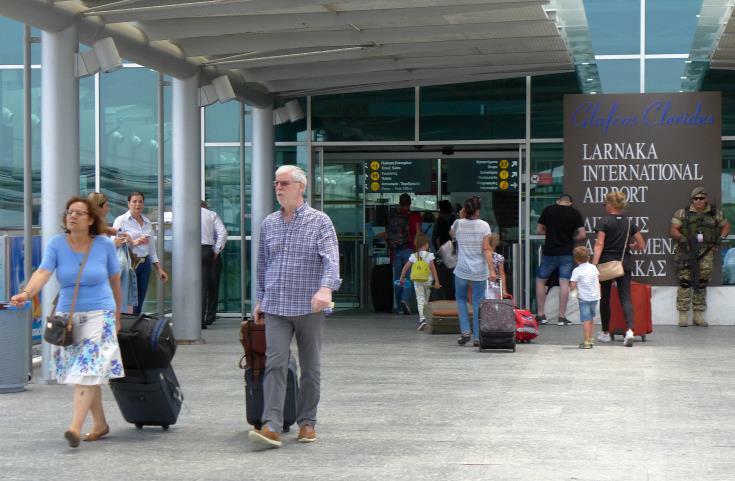 On the basis of the results of the Passengers Survey, arrivals of tourists reached 511,073 in June 2018 compared to 472,450 in June 2017, recording an increase of 8.2%. June 2018 had the highest volume of tourist arrivals ever recorded in Cyprus during the specific month. Parliament on Tuesday passed a law establishing a junior ministry for tourism, scheduled to begin operating in January next year. During the first half of 2018 the number of contracts for the sale of property deposited at Land Registry offices has risen 24% to 4,470 compared to the 3,610 deposited during the first half of 2017 and the number of property sales contracts during June 2018 rose by 2 per cent compared to June 2017. This follows increases of 23% in May, 29% in April and 23%. 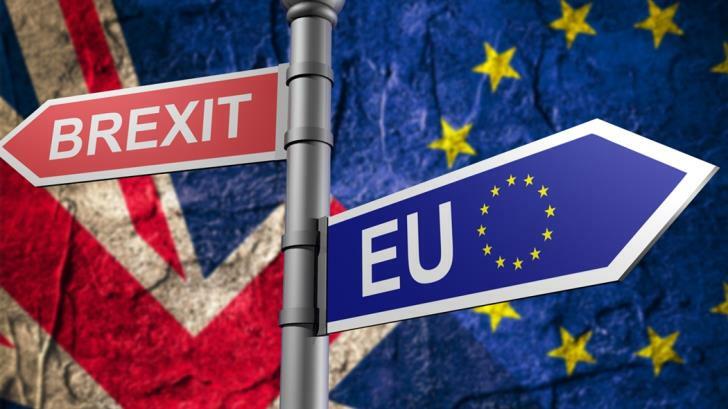 Brexit parliamentary under-secretary Robin Walker has reassured Cypriots living in the UK by virtue of their EU membership that they are welcome in the UK. 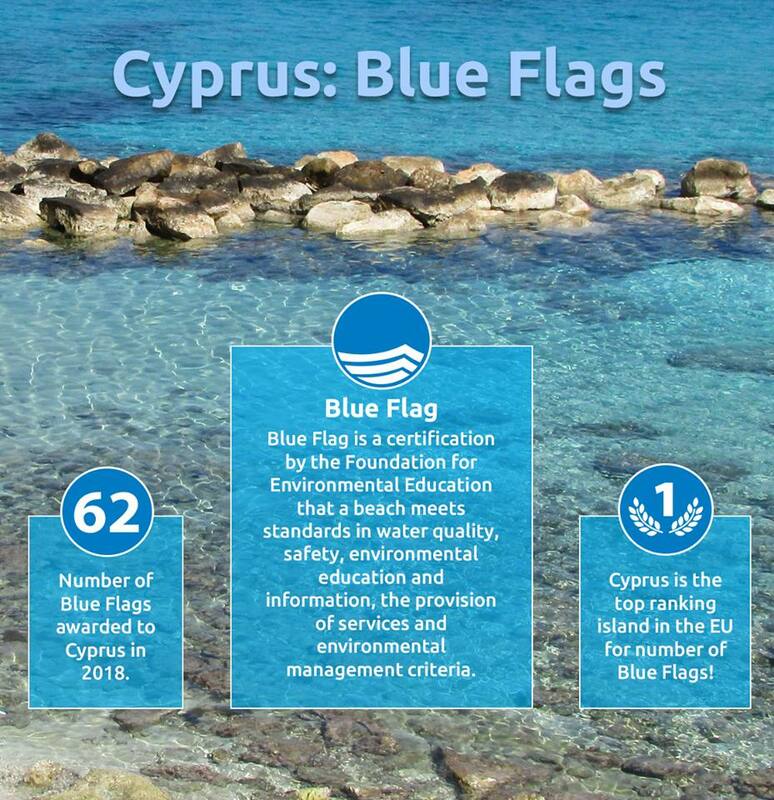 A Blue Flag is a certification that a beach meets standards in water quality, safety, environmental education and information, the provision of services and environmental management criteria. 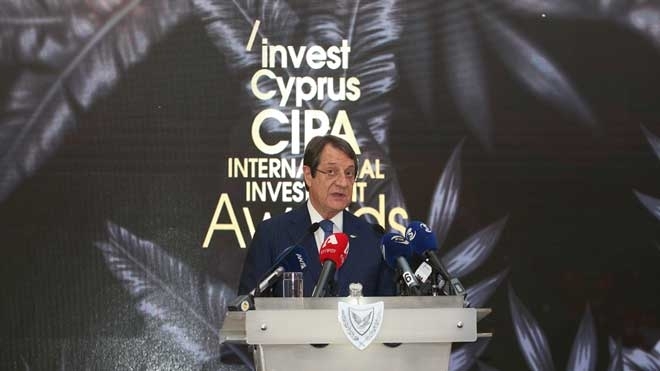 President Nicos Anastasiades spoke at the 7th CIPA International Investment Awards on June 19 about the importance of investment in Cyprus. Tourist arrivals rose in May by 7.6 per cent to 450,955 compared to the respective month of 2017 as secondary markets offset a decline in Russian visitors, the statistical service said on Monday. 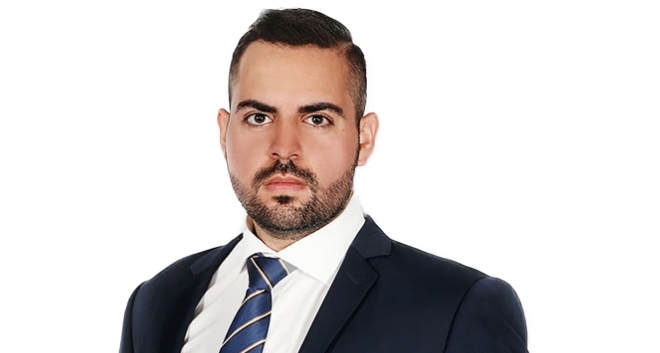 Pantelis Leptos, Chairman of Cyprus Land and Building Developers Association said that that while investor interest in real estate on the island is unprecedented thanks to the state’s efforts, the government is ready to discuss ways to speed up the issue of Title Deeds. 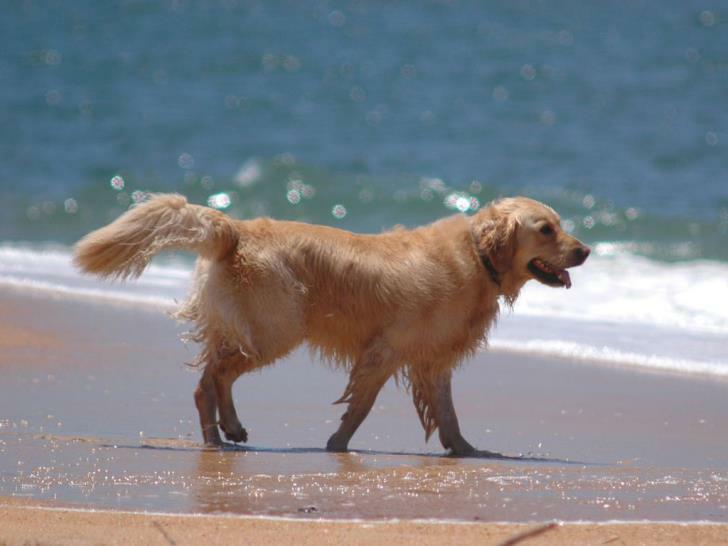 Dog owners have seven beaches to take their four-legged friends for a swim. The Central Beach Committee has designated two beaches each in Paphos and Limassol and one each in Nicosia, Larnaca and Paralimni as open to dogs. Owners are urged to take care for the safety of people and dogs, and to adhere to rules of hygiene, cleanliness and respect for the environment. 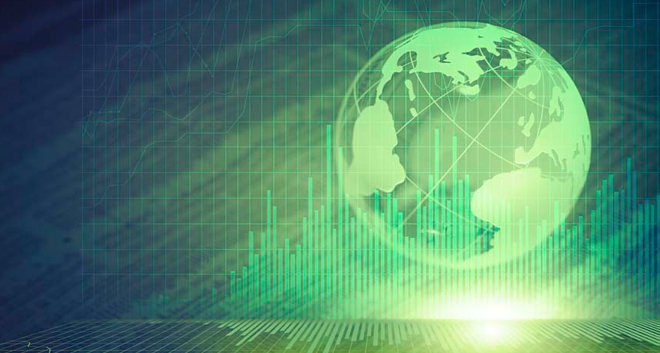 DBRS Ratings Limited has upgraded Cyprus’ long-term foreign and local currency – issuer ratings from BB (low) to BB and maintained the positive trend. 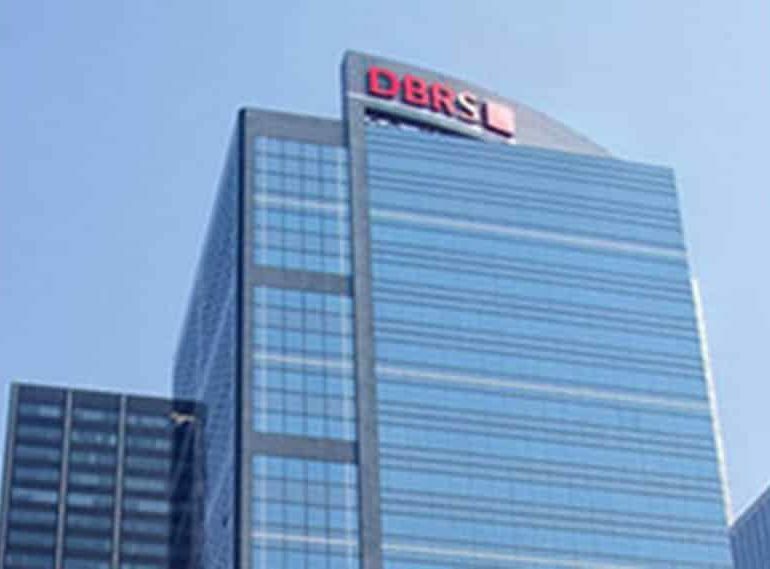 Following the recent DBRS sovereign rating upgrade on the Republic of Cyprus, DBRS notes that “The upgrade is driven by the reduction in Cypriot banks’ non-performing loans (NPLs) and Cyprus’s better-than-expected fiscal performance. 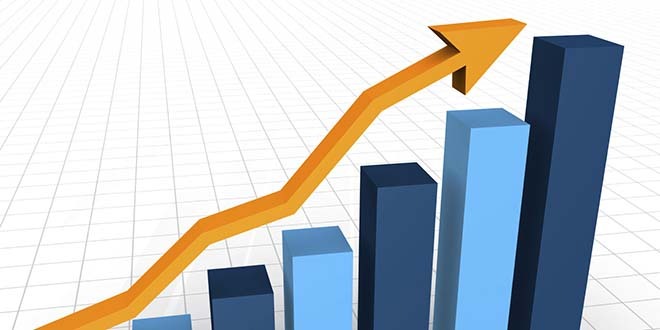 High growth rates exceeding 3% of the GDP and high primary surpluses are projected until the year 2021 in the Strategic Fiscal Policy Framework (SFPF) 2019-2021, which was approved on Monday 21 May by the Council of Ministers. Tourist arrivals for the period of January-April 2018 totaled 683.581 compared to 572.024 in the corresponding period of 2017, recording an increase of 19.5% and outnumbering the total arrivals ever recorded in Cyprus during the first four months of the year, according to data released on Thursday 17 May by the Statistical Service. 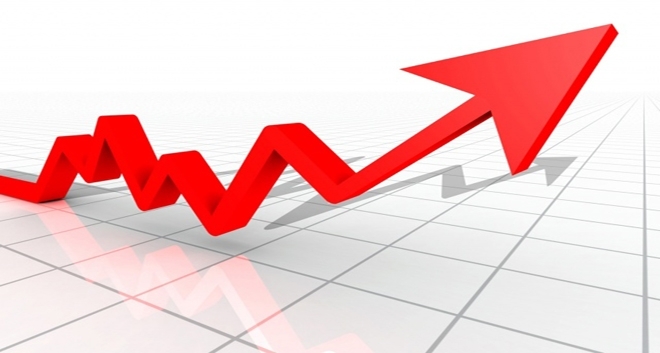 Cyprus growth rate in the first quarter of 2018 ending in March 31 reached 3.8% year on year, maintaining the momentum from 2017 where growth rate amounted to 3.9%, date released by the Cyprus Statistical Service (Cystat) show. 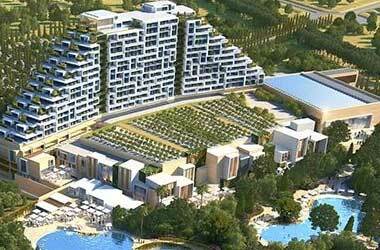 In a recent interview, Craig Robertson Ballantyne, property president of City of Dreams Mediterranean and Casinos, told Phileleftheros newspaper that the Limassol casino will not lag behind casinos of other, neighbour countries. 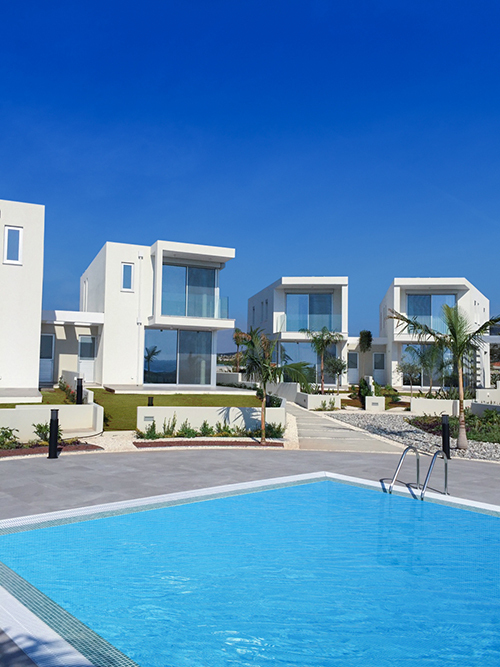 Did you know that the average size of a Cyprus property is the largest in Europe, while properties in Romania are the smallest according to the dwelling size statistics published by Eurostat. Euro area annual inflation rate was 1.3% in March 2018, up from 1.1% in February. A year earlier, the rate was 1.5%. 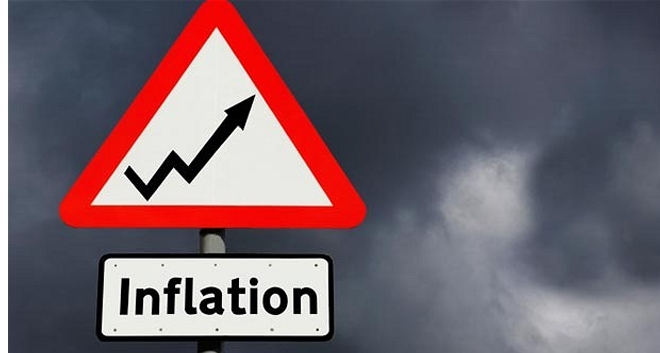 European Union annual inflation was 1.5% in March 2018, up from 1.4% in February. A year earlier the rate was 1.6%. These figures are published by Eurostat, the statistical office of the European Union. On the basis of the results of the Passengers Survey, arrivals of tourists reached 192,090 in March 2018 compared to 140,873 in March 2017, recording an increase of 36,4%. March 2018 had the highest volume of tourist arrivals ever recorded in Cyprus during the specific month. 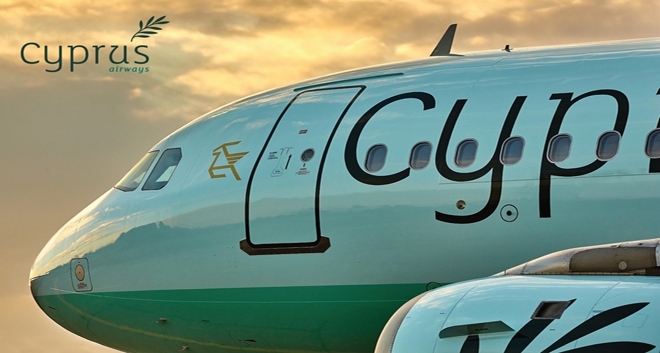 Cyprus Airways first flight to Athens departed from Larnaca at 3:00 in the afternoon and landed in Athens at 4:45. Athens International Airport welcomed Cyprus Airways aircraft with the ceremonial water cannon salute, followed by the “ribbon bonding” ceremony for the official guests and passengers, at the A5 Gate, symbolizing the air link between the two countries. 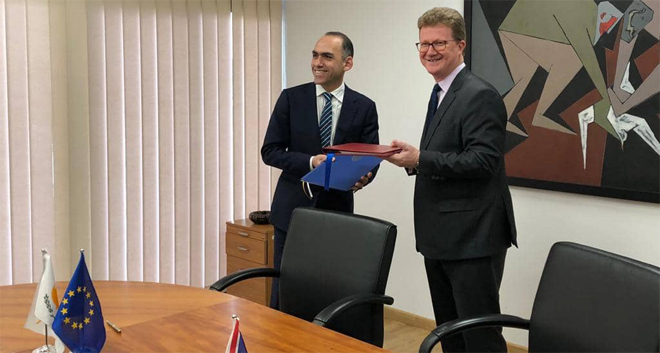 A new Convention for the elimination of double taxation with respect to taxes on income and on capital gains and the prevention of tax evasion and avoidance was signed on Thursday in Nicosia, between the Republic of Cyprus and the United Kingdom. 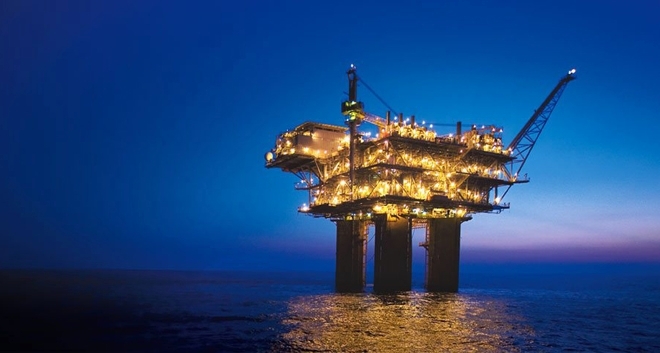 The consortium of ENI and Total is considering searching for more natural gas in offshore blocks 6 and 11, a senior executive of the Italian firm said on Wednesday. The number of tourists arriving in Cyprus reached 101,481 in February 2018 compared to 82,209 in February 2017, recording an increase of 23.4%, on the basis of the results of the Passengers Survey, published on Monday 19 March by the Statistical Service of Cyprus. 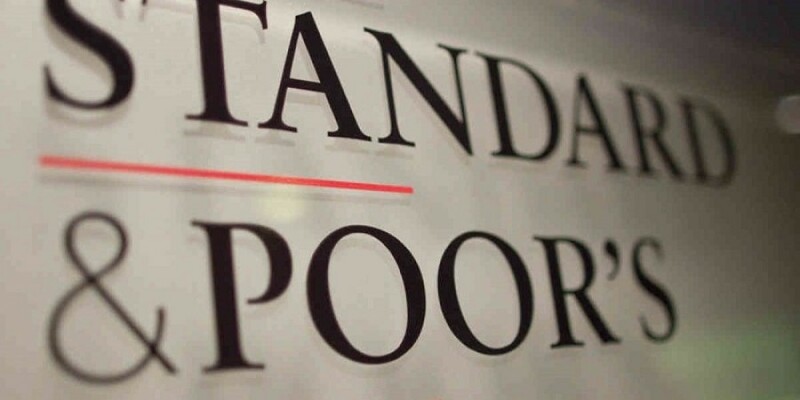 Standard & Poor’s has affirmed their 'BB+/B’ long-term and short-term foreign and local currency sovereign credit ratings on Cyprus, while noting that the outlook is positive. 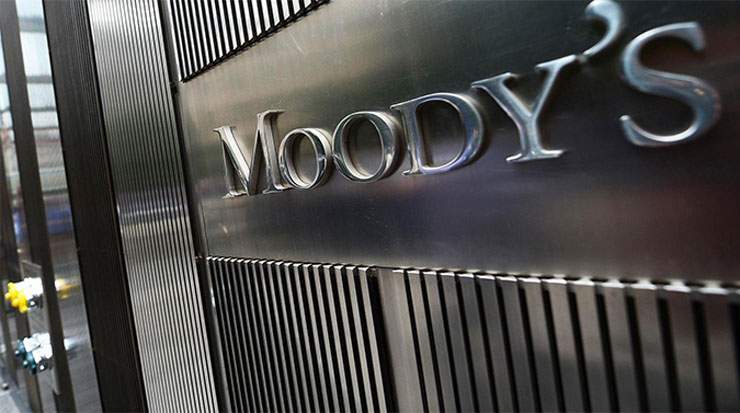 Moody’s Investors Service said that Cyprus’ economy will continue to expand at a fast pace which in turn is likely to help borrowers’ repayment capacity and support the value of assets and new lending, helping banks improve their performance and reduce their non-performing loans stock. The number of company registrations, an indicator of the performance of the business services sector, rose in February 25 per cent to 1,207 compared to the respective month of 2017, the Department of the Registrar of Companies and Official Receiver said. On the basis of the results of the Passenger Survey, revenue from tourism reached €55.8 mn in December 2017 compared to €50.9 mn in the corresponding month of the previous year, recording an increase of 9.6%. 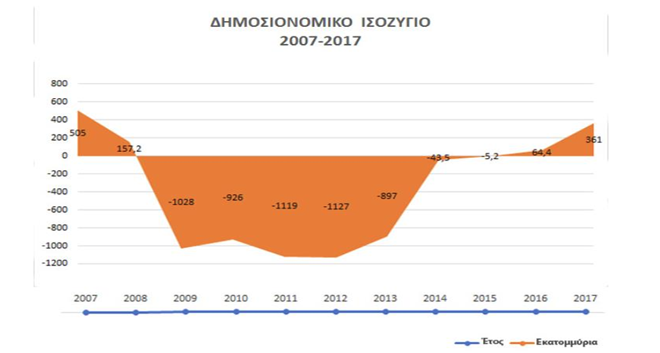 Cyprus registered in 2017 a budget surplus of €360.7 million amounting to 1.9% of GDP, marking the highest surplus in the last decade. 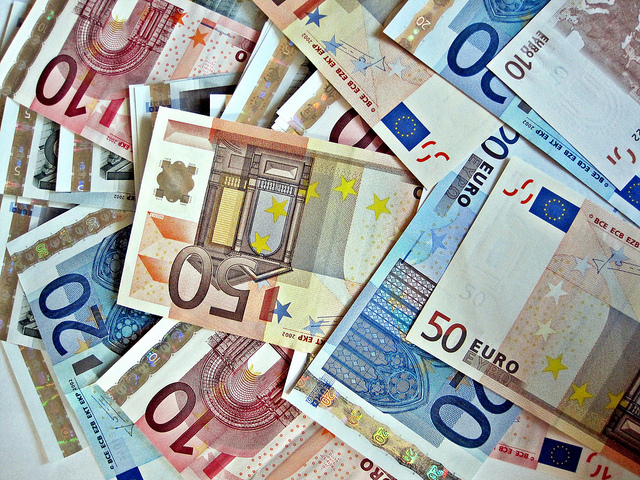 This is the highest surplus since 2007 when the surplus amounted to €505. 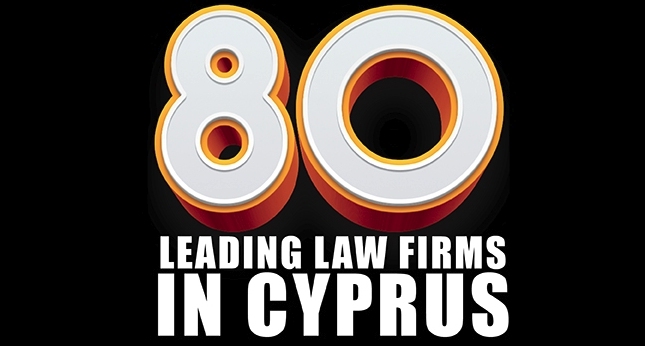 A constructive use of the Cyprus Treaties’ Network has rendered considerable advantages to businesses and individuals who have chosen to establish legal entities in Cyprus. 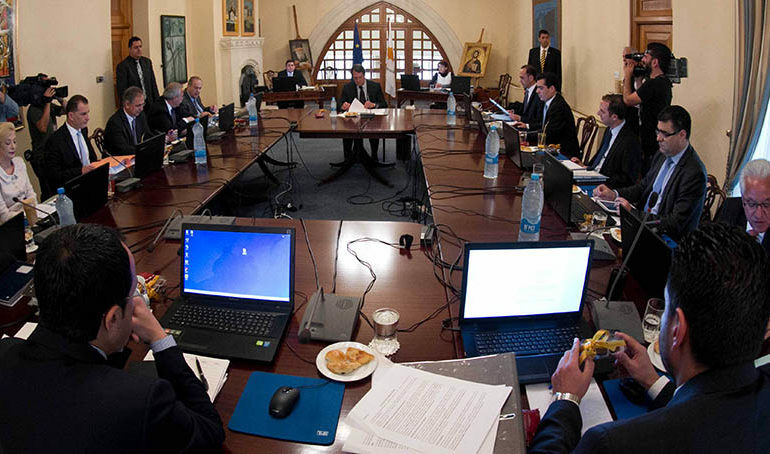 President Nicos Anastasiades announced on Tuesday the composition of his new government. He added seven fresh faces, including three women. 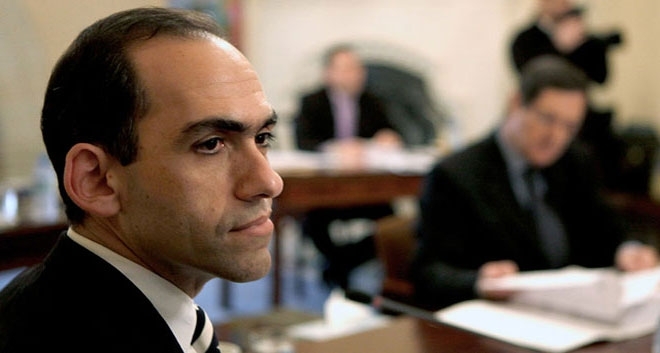 The President appointed Government Spokesman Nicos Christodoulides as head of the Foreign Ministry and kept Finance Minister Harris Georgiades in the same post. 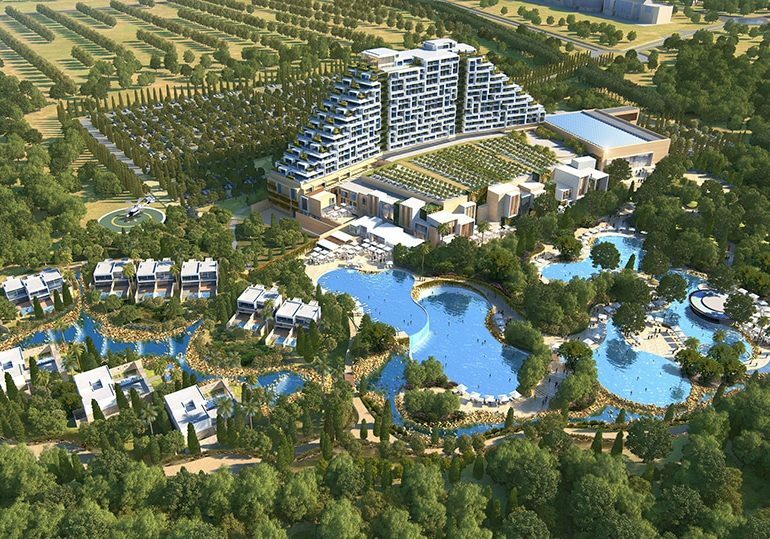 The Integrated Resorts Cyprus Consortium launched on Monday the official website of the City of DreamsMediterranean casino resort, which is expected to be up and running in 2021. The cabinet is set to approve in its next meeting the opening of an embassy of Saudi Arabia in Cyprus, it was reported on Monday. Italy’s energy giant Eni said that it made a lean gas discovery off the coast of Cyprus after drilling an exploratory well at Calypso, the target of exploration in block 6 of the island’s exclusive economic zone (EEZ). 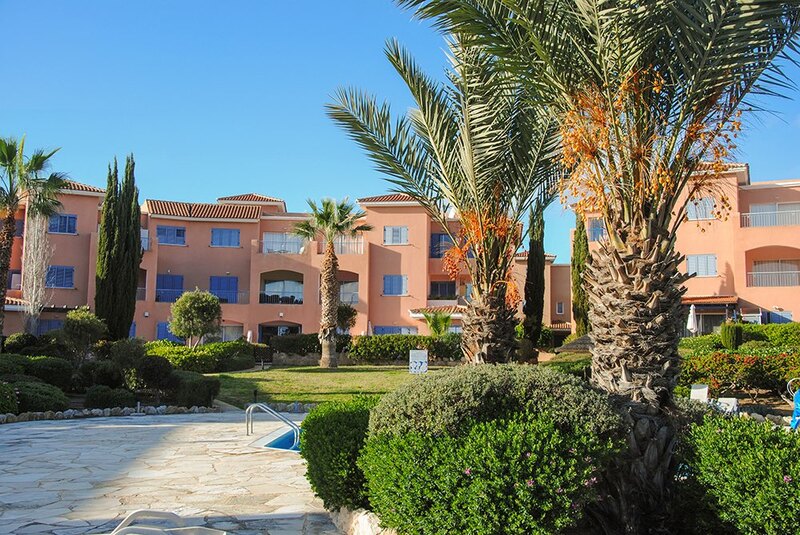 THE DEPARTMENT of Lands and Surveys reports that the number of property sales contracts deposited at Land Registry offices across Cyprus in January 2018 rose 64 per cent compared to January 2017. 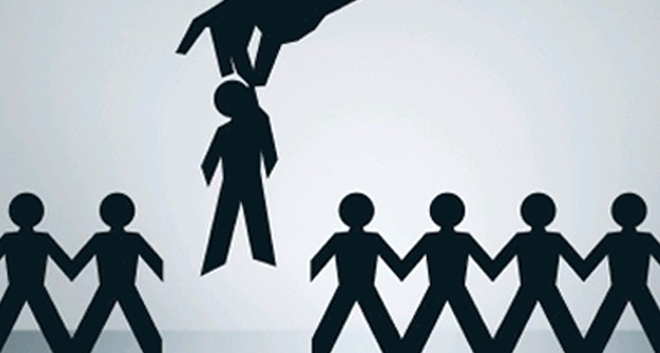 Cyprus is widely recognised as a centre of excellence as regards the provision of professional services. With an abundance of highly-skilled and experienced multilingual professionals, the island offers a full range of modern, advanced professional services at competitive rates. 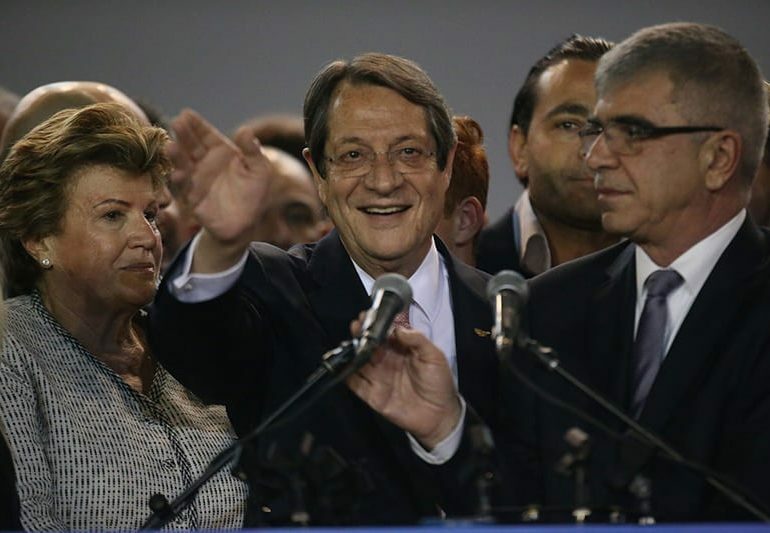 Everyone must work together as of tomorrow to tackle all the problems plaguing the country, President Nicos Anastasiades said on Sunday after being re-elected for a second term. 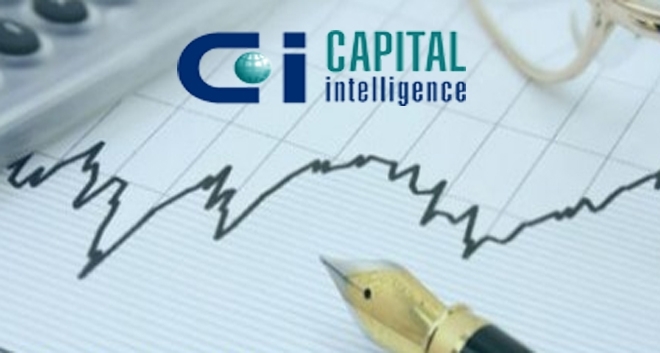 Economic sentiment in Cyprus strengthened as the Economic Sentiment Indicator (ESI-CypERC) increased in January 2018 by 3.3 points compared with December 2017. 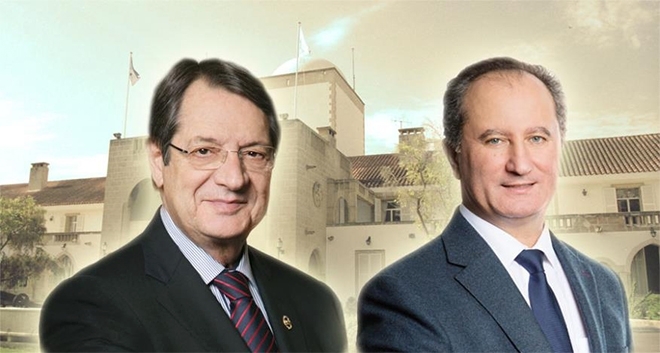 Incumbent President Nicos Anastasiades and independent presidential hopeful Stavros Malas will lead the race next Sunday in the runoff election for the eighth president of the Republic of Cyprus. Residential property sales increased in 2017 for a fourth year in a row and prices have also been rising making the outlook for 2018 one of the most positive for years. Property sales in Cyprus rose 24 per cent during 2017 according to official statistics published by the Department of Lands and Surveys. This follows an annual rise of 43 per cent in 2016, 9 per cent in 2015 and 20 per cent in 2014. 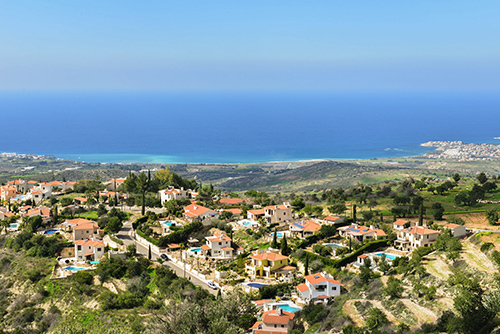 RECENT changes to property taxes in Cyprus include the imposition of VAT on the sale of undeveloped building land intended for the construction of building(s) and changes to the VAT payable on the acquisition/construction of a property to be used as the purchaser’s primary and permanent residence. 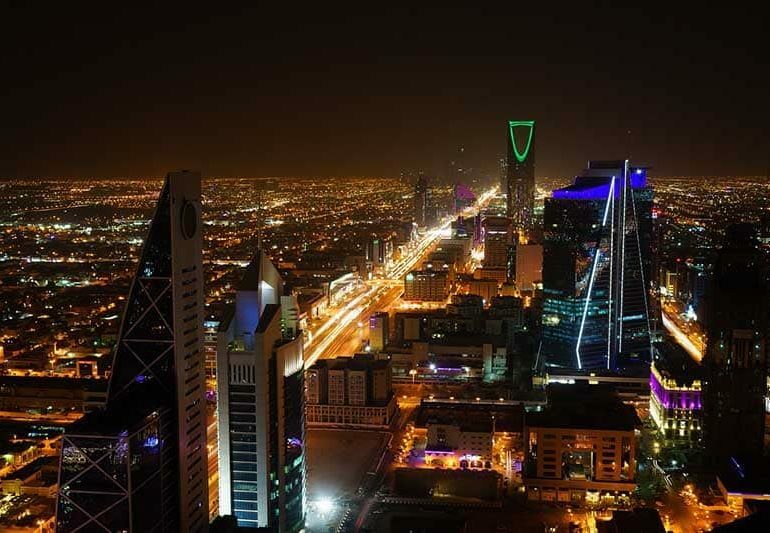 The Ministry of Finance has announced that Cyprus has signed a double tax agreement with Saudi Arabia with respect to taxes on income and for the prevention of tax evasion. 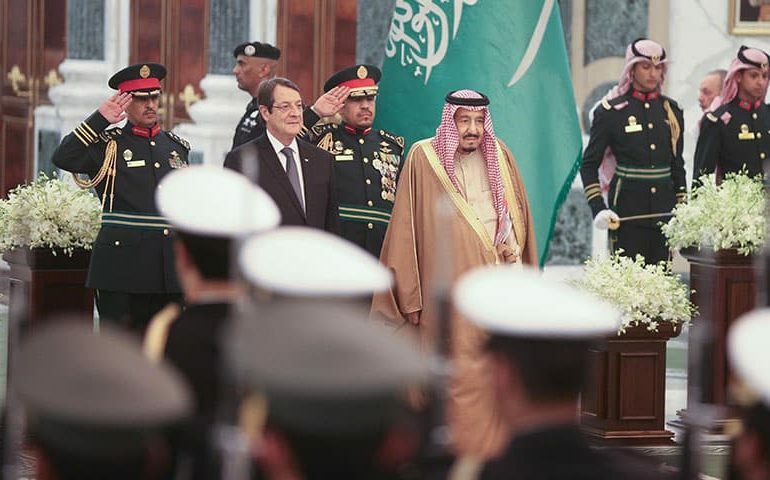 Cyprus President Nicos Anastasiades praised the productive meeting he had with the King of Saudi Arabia Salman bin Abdulaziz al Saud on January 3 in Riyadh. Energy Minister Yiorgos Lakkotrypis said on Thursday he is prepared for all possible outcomes of the island’s oil and gas exploratory programme, which includes four test drillings in the exclusive economic zone (EEZ) next year. The number of tourist arrivals in November rose 17 per cent to 144,676 compared to the respective month of 2016 as all major markets performed strongly, the statistical service said. 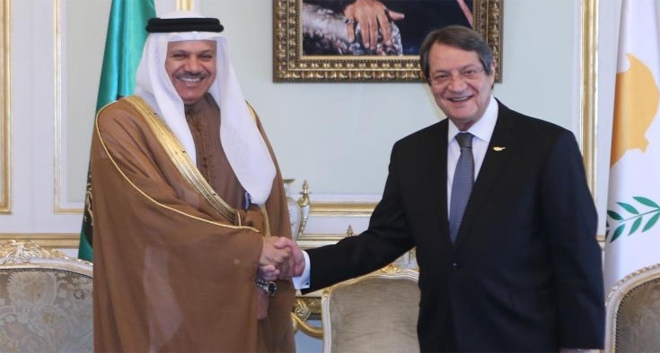 President of the Republic of Cyprus, Nicos Anastasiades, will be in Saudi Arabia on the January 2, to pay the first visit by a Cypriot President to the country. 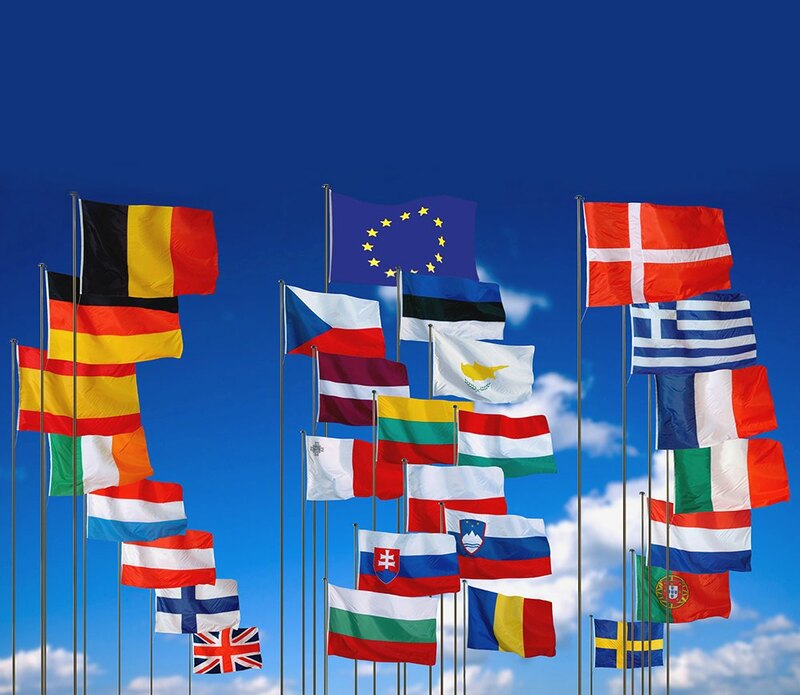 Seasonally adjusted GDP raised by 0.6% in both the euro area (EA19) and the EU28 during the third quarter of 2017, and by 0.9% in Cyprus compared with the previous quarter, according to an estimate published by Eurostat, the statistical office of the European Union. 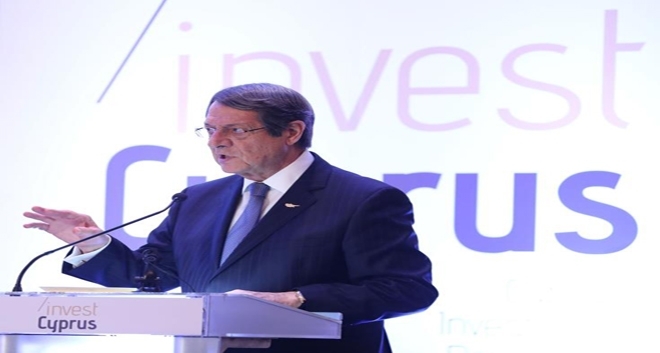 President of the Republic Nicos Anastasiades has said that the government is promoting a new investment law to boost investments in the country. 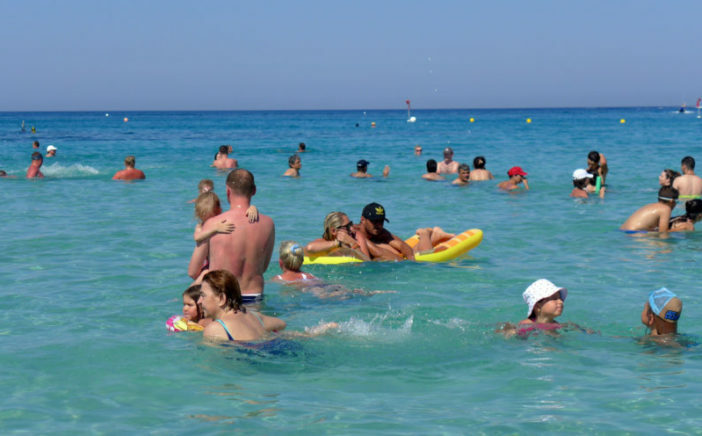 Tourist arrivals in 2017 will exceed 3.6 million, Cyprus Tourism Organization (CTO) President Angelos Loizou has said, stressing that the performance of the tourism sector has again created a demand for additional beds in the tourist industry. Finance Minister Harris Georgiades said the Cypriot economy will expand 4 per cent this year, up from a previous forecast of 3.5 per cent, and will continue growing an average 3 per cent over the next three-year period. Last month was the best October ever in terms of tourist arrivals which rose 14 per cent compared to the same month of 2016 to 406,870, the statistical service said. The economy of Cyprus grew by 3.9% in the third quarter of the year, Finance Minister Harris Georgiades announced on Tuesday 14 November. 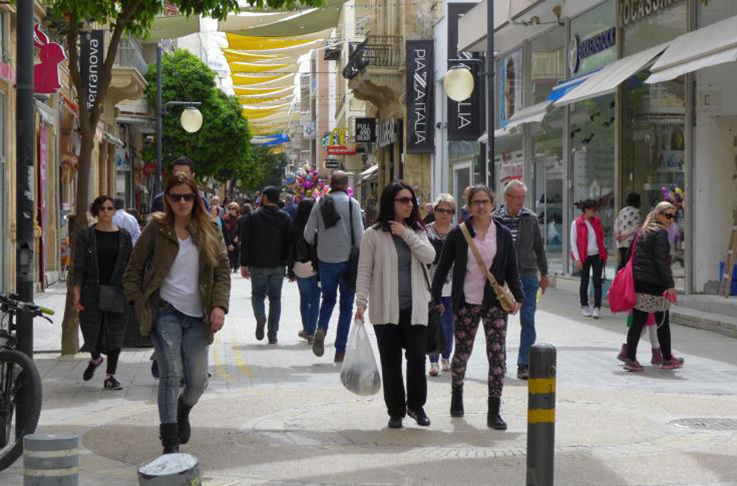 The survey, presented today in Nicosia, reported that the sunny weather, the sea, the tranquillity and attractiveness of the environment, the local hospitality and the services offered are the main reasons why foreigners choose Cyprus for their holidays. The Minister of Energy, Commerce, Industry and Tourism Yiorgos Lakkotrypis presented the benefits of Cyprus as an investment destination during a business event organised in London on Tuesday 7 November evening to coincide with his presence in the city for this year’s World Travel Market, the Cyprus News Agency reports. THE NUMBER of property sales during October rose 18 per cent compared to October 2016 according to official statistics published by the Department of Lands and Surveys earlier today. The government does not directly receive any cash from the citizenship-through-investment scheme, the finance minister said on Monday. 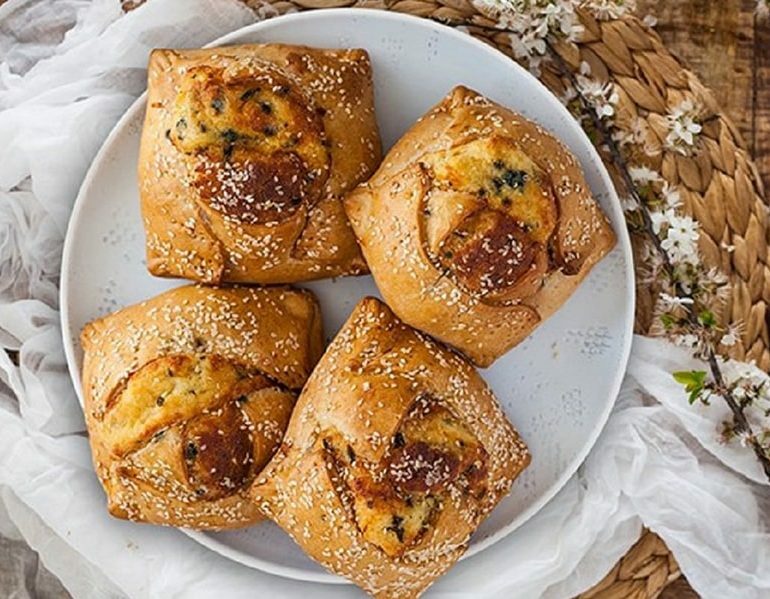 Sixty of Russia’s top entrepreneurs have cleared a space in their packed diaries for a dinner in Moscow tomorrow evening where President Anastasiades will brief them on investment opportunities in Cyprus. Euro area annual inflation was 1.5% in September 2017, stable compared with August 2017. In September 2016 the rate was 0.4%, according to Eurostat, the statistical office of the European Union. 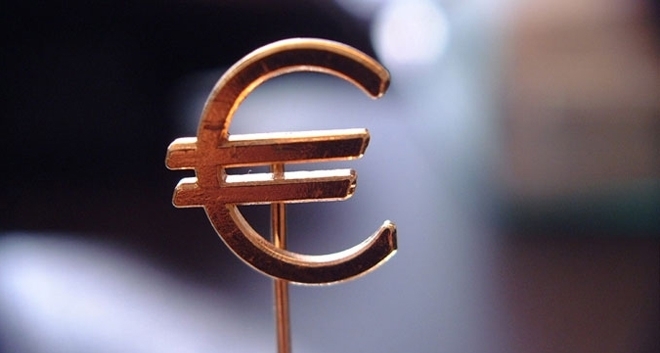 Finance Minister Harris Georgiades has described the conclusions of the latest European Commission and European Central Bank review of the Cyprus economy as the most positive ones since 2013. 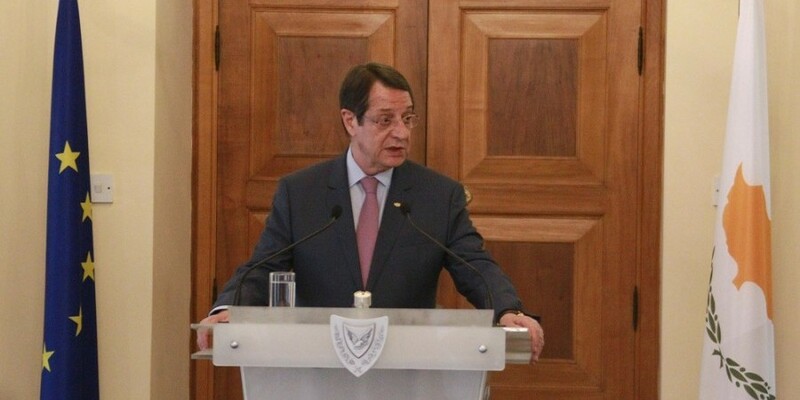 President of the Republic of Cyprus Nicos Anastasiades praised on Wednesday 27 September the principled stance of Beijing vis-à-vis settlement efforts on the island, aiming to turn Cyprus into a “normal state”. Troika representatives (IMF, European Commission, ECB), in the framework of the third post monitoring mission in Cyprus, met on Thursday 28 September with the Cyprus Land and Building Developers Association (LBDA). 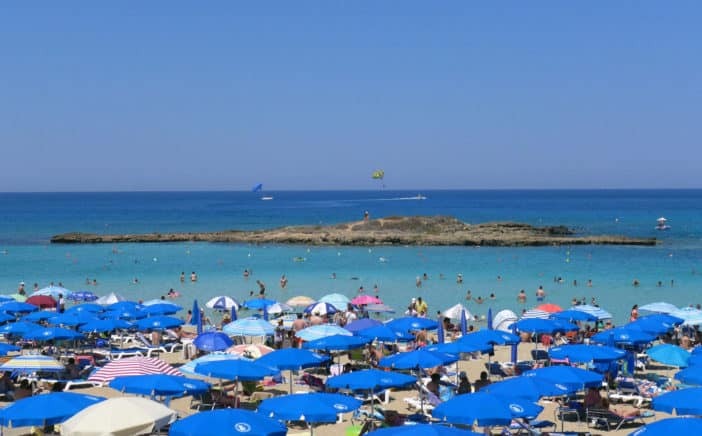 The Cyprus Tourism Organisation (CTO) said on Tuesday 26 September, that tourist arrivals are projected to exceed 3.6 million, breaking a new all-time record, following a record-breaking 2016 tourist season. 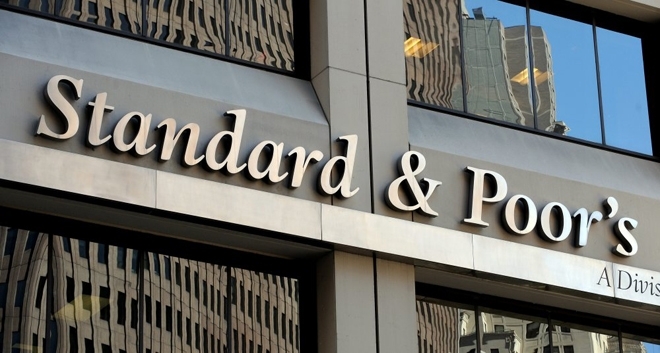 Finance Minister Harris Georgiades welcomed on Saturday the latest rating by Standard & Poor’s (S&P) that placed the sovereign credit rating outlook of Cyprus from stable to positive. Finance Minister Harris Georgiades has said that he is satisfied with the state of the economy, noting that the growth rate in 2017 would reach 3.5%. The number of property sales in Cyprus during August rose 27 per cent compared to August 2016 according to official statistics published by the Department of Lands and Surveys earlier today. 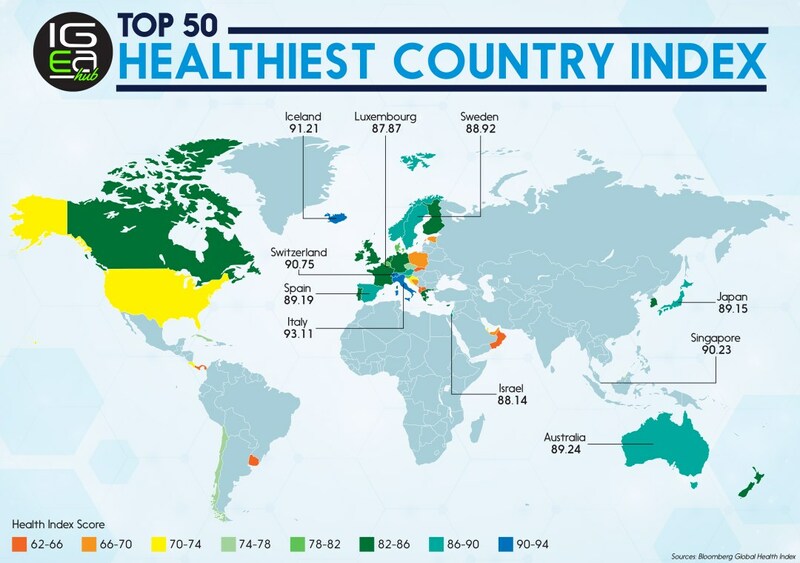 This year Bloomberg published the ranking of the 50 healthiest countries in the world and results are quite surprising. A social mobility report by Eurofound, the EU Agency for the improvement of living and working conditions, shows that Greece, Cyprus, Finland and Poland have changed the most, having seen massive mobility out of agriculture towards manufacturing and services over the last generation or so. 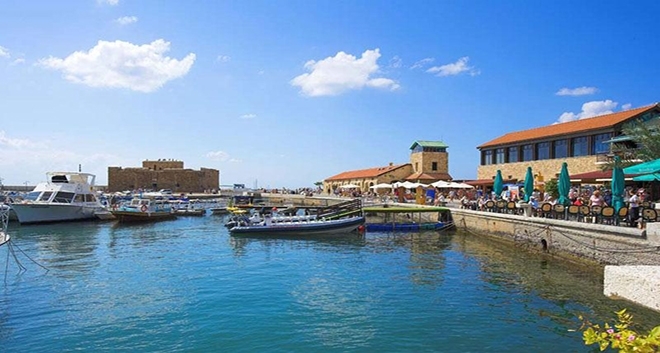 The record-high tourist arrivals, which rose an annual 15 per cent over the past 7-month period edging 2 million is a credit positive for Cypriot lenders, Moody’s Investors Service said. 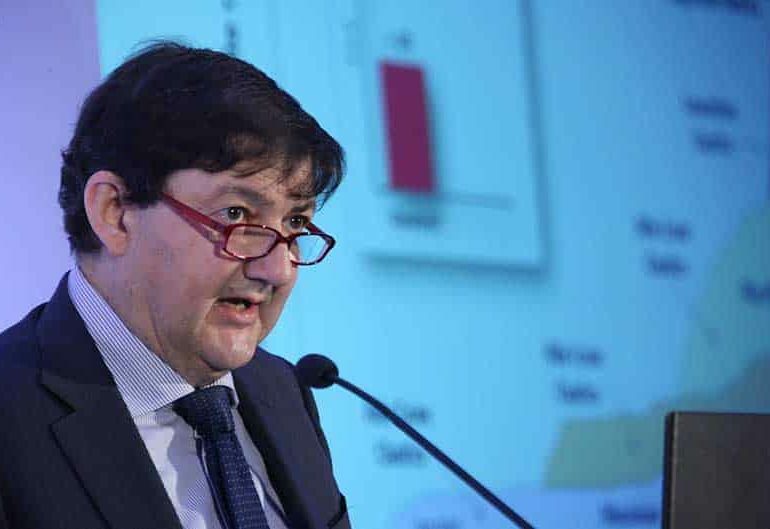 Cyprus’ public finances are completely within the target set and are under control, Minister of Finance Haris Georgiades said after Saturday’s Cabinet meeting, at the presidential retreat in Troodos, where he presented the financial report for the first half of 2017. 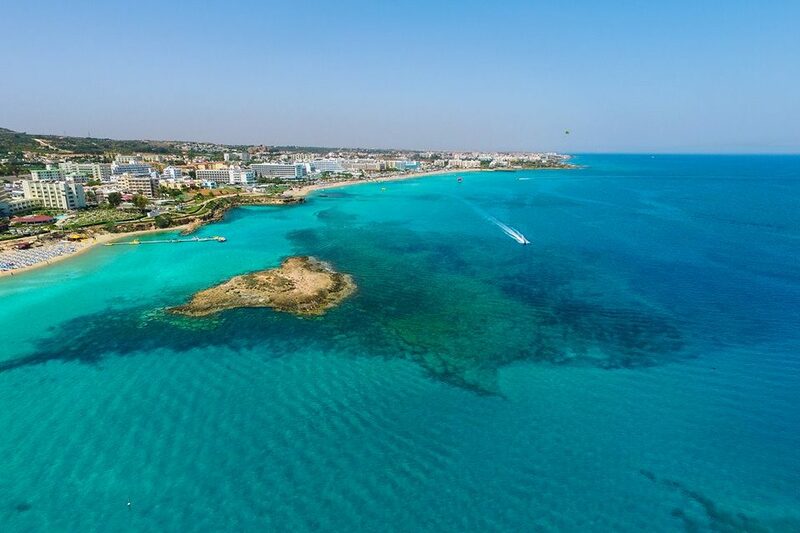 Cyprus is the seventh most popular European country for Britons looking to relocate or buy a second home, according to property website Rightmove. Finance Minister Harris Georgiades says the 3.5% growth in the GDP results reflect “the economy’s strong growth” and notes in a written statement that for yet another quarter, growth is detected in all productive sectors. Public finances remain “under control”, he adds. 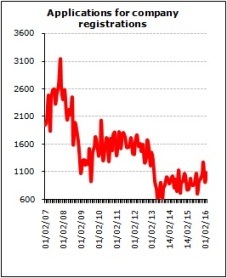 The number of applications to register new companies rose in July this year to the same level as in February 2013, prior to the “haircut” on deposits, according to figures from the Registrar of Companies and Official Receiver. 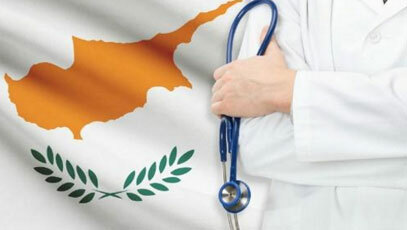 Cyprus ranked 18th out of 163 countries, scoring 89.17 out of 100, on the Bloomberg Global Health Index published this March. 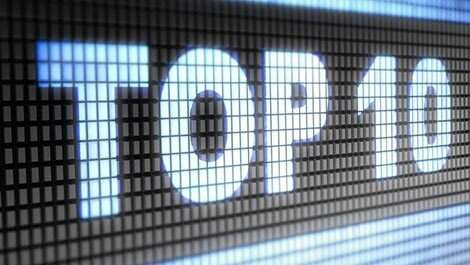 According to Bloomberg, Cyprus and Singapore, which scored 94.11 and ranked 4th, were the only two non-OECD countries to make it into the top 20. 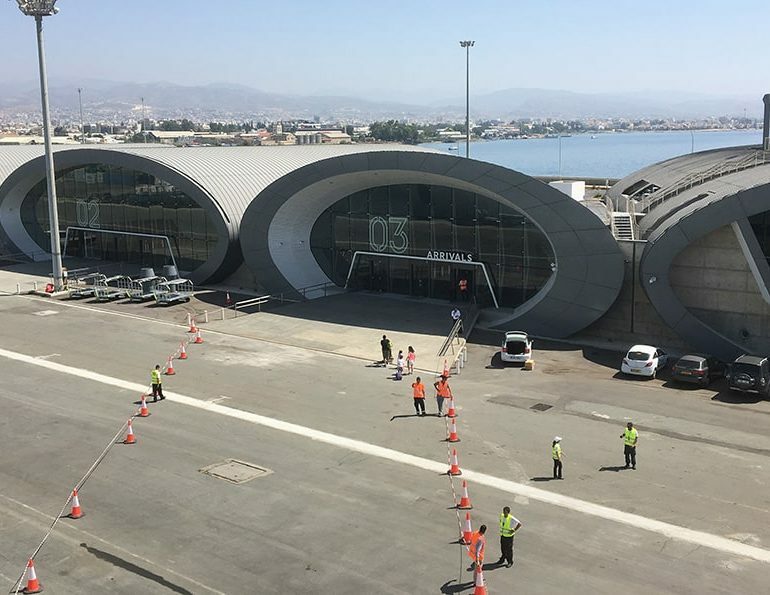 The number of passengers using the airports at Larnaca and Paphos has already soared to 5.5 million so far this year, while Hermes Airports estimates air traffic will break the 10 million-passenger barrier before the end of 2017. 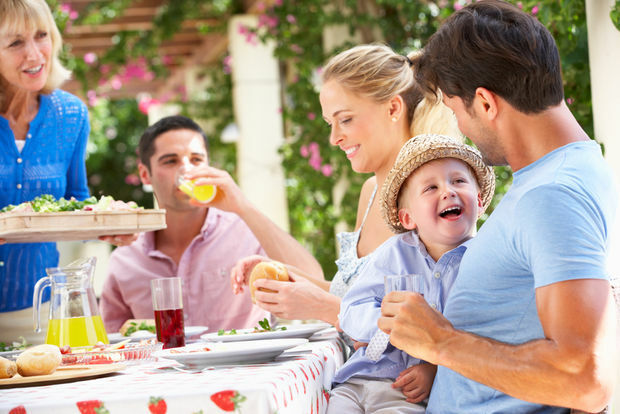 Looking for sunny places to live with lots to do? The weather seems to play a crucial role in choice of destination: almost seven out of ten (67%) say the climate in their new home was a factor to consider before moving abroad. 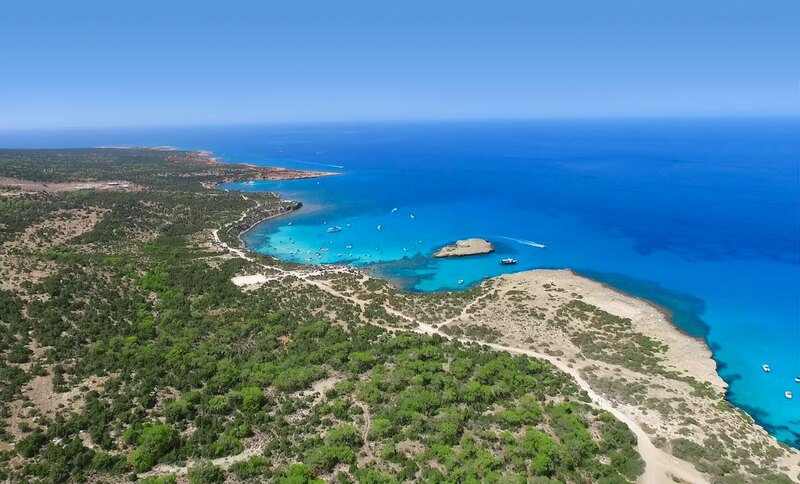 According to the Association of Cyprus Travel Agents (ACTA) Chairman Dinos Kakouras, reservations until October are pretty good and it is important to extend the tourist season well into the winter months and secure reservations for the rest of the year. 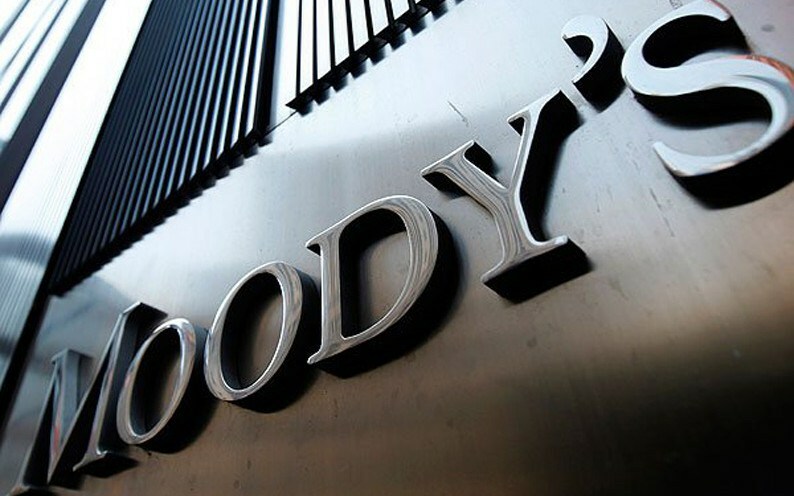 Moody’s Investors Service on Friday upgraded Cyprus’s credit rating a notch from B1 to Ba3 which is still three grades into the speculative area, citing the economy’s resilience and a fiscal overperformance. Cyprus government posted a €62.5 million fiscal surplus in the first half of 2017 compared with a deficit of €42.4 million in the respective period of 2016, the Finance Ministry said on Monday, July 31. 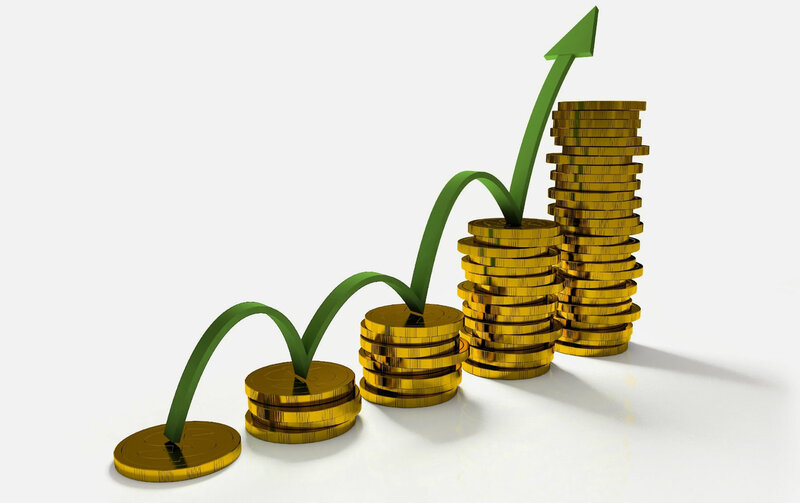 There appears to be increasing interest for Cyprus alternative investments. Real estate demand from wealthy buyers is active, ranging from the acquisition of top quality houses to office buildings (as an investment – for income). 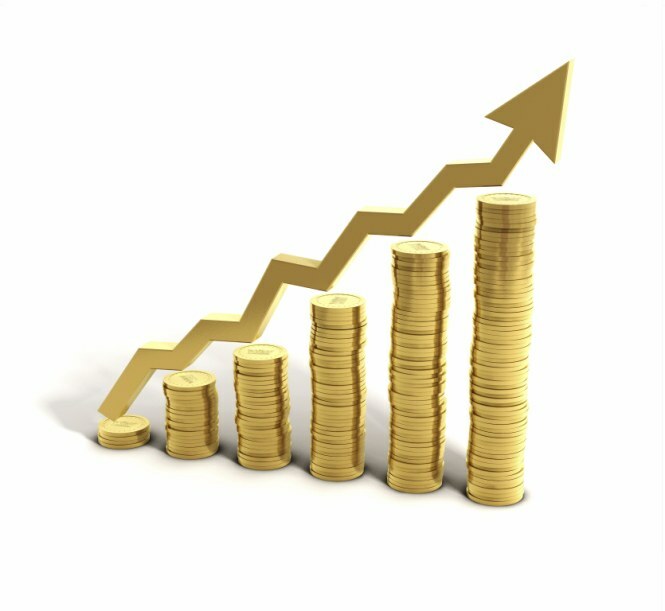 The expansion of real economic activity in Cyprus is expected to continue at robust rates in 2017 and 2018, according to the Economic Research Centre of the University of Cyprus. 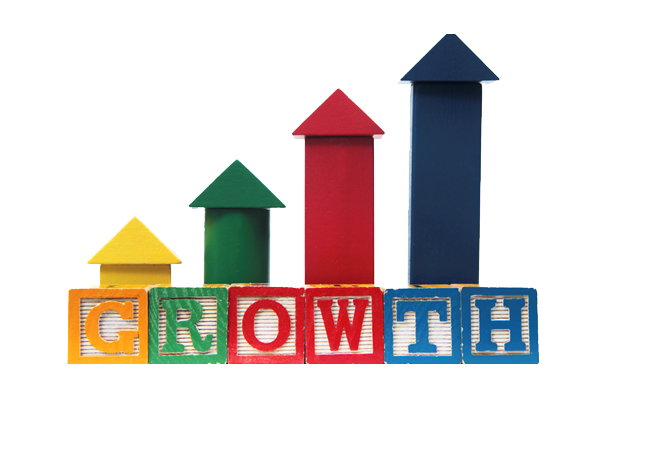 In 2017, real GDP is projected to grow by 3.0%. 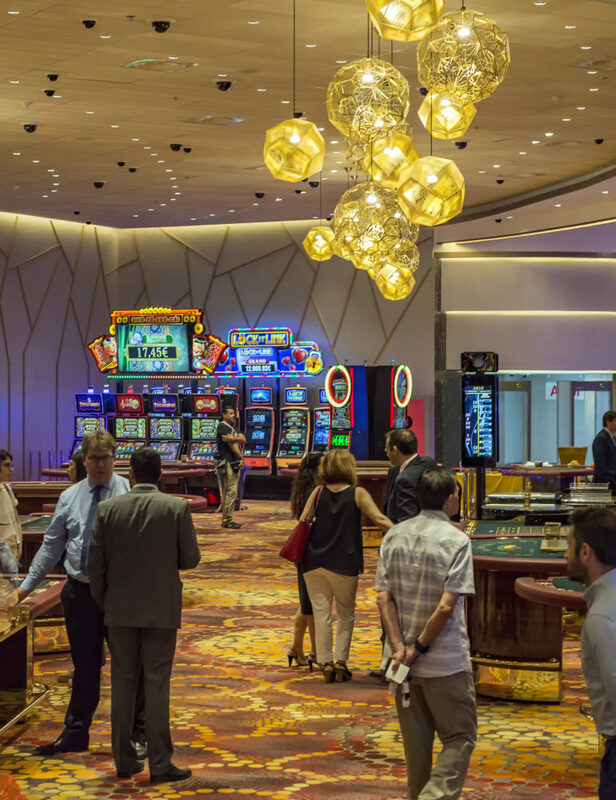 The Melco International Developments and CNS consortium responsible for bringing the first casino resort to Cyprus have finalised their choices for the establishment of the temporary casino in Limassol and the four satellite casinos around the island. 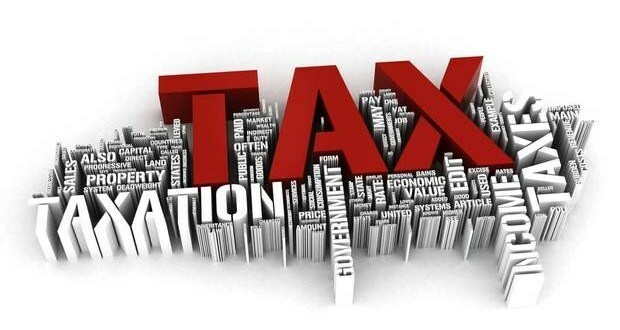 As of January 1st, 2017, the Cyprus Income Tax Law is amended with regards to the definition of “resident of the Republic” for individuals. The amendment shall also have effect on other tax laws, to the extent where such laws refer to Cyprus tax resident individuals as these are defined in the Cyprus Income Tax Law. The number of tourist arrivals rose by 14% last month to 472,450 visitors, which is the highest number of tourists ever recorded during June. 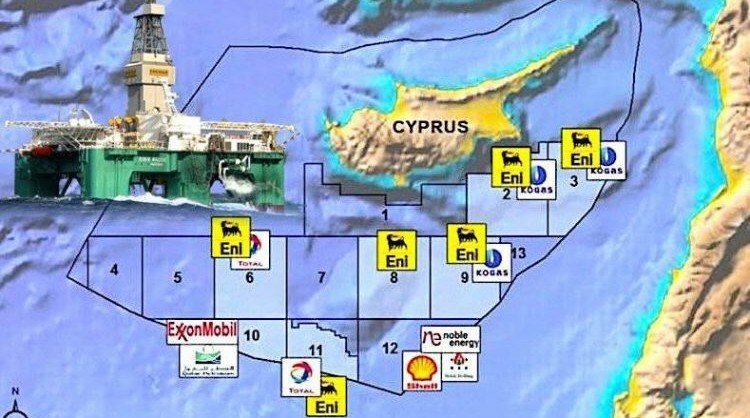 The drilling ship “West Capella”, is in position since dawn Wednesday ahead of drilling in Block 11 of the Cyprus Exclusive Economic Zone that will take place by French Total in consortium with Italian Eni which have acquire last March 50% participating interest of Block 11. 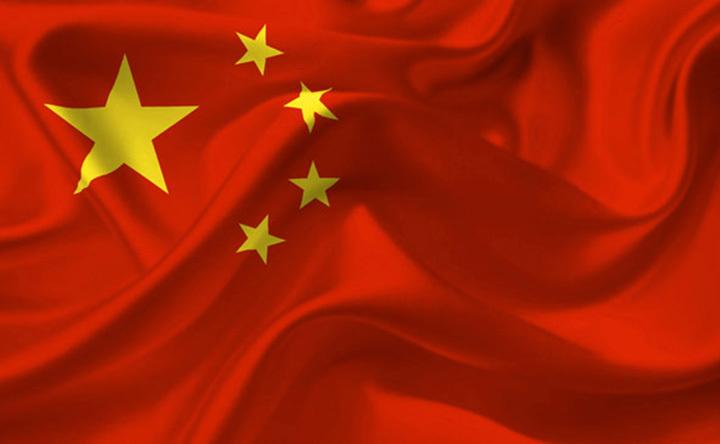 “CYhere” is understood to be preparing to launch a modern and user-friendly application for smartphones, tablets and computers in order to promote Cyprus as an attractive investment, tourism and educational destination in China. 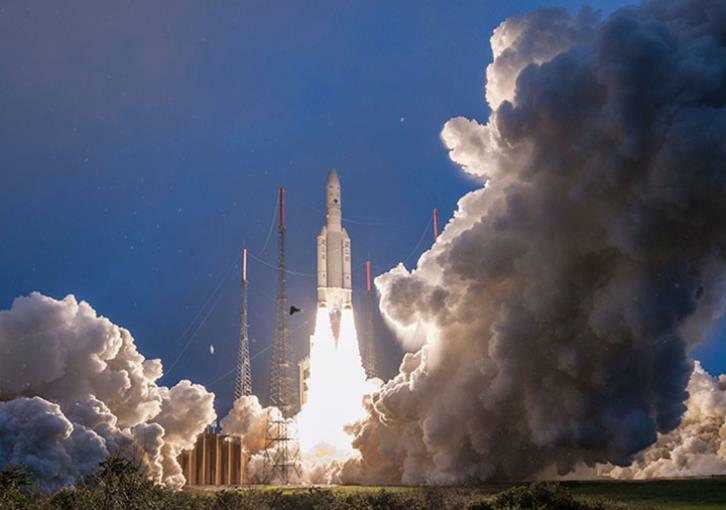 The new application is ready and will be available to the public before the end of July. 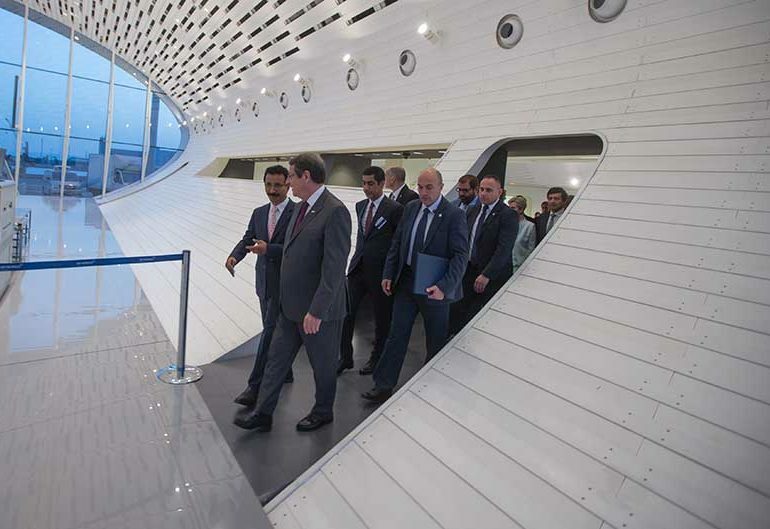 A new modern terminal designed to accommodate the largest operating cruise vessels has opened its gates for the first time, operators DP World said. 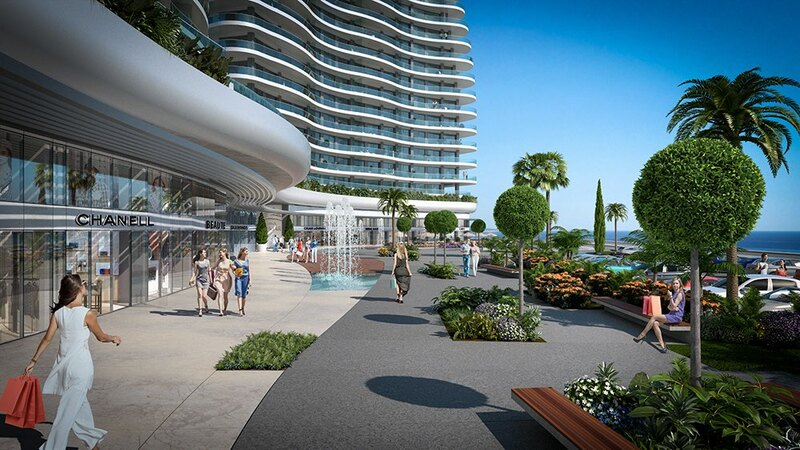 The integrated casino resort planed in Limassol is expected to contribute to the Cypriot economy around €800 mln or 4% of GDP during its second year of operation, in 2022. 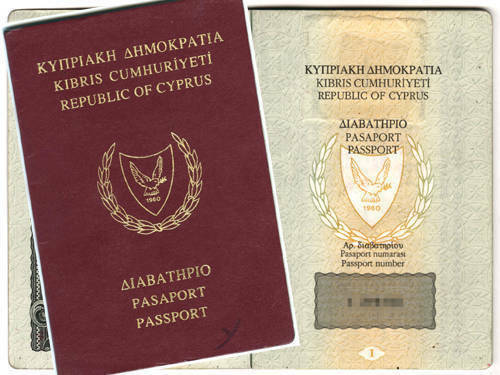 The Cypriot passport has scored a passport rank of 12 worldwide, in the list of the Global Passport Power Rank by the Power Index 2017. Germany and Singapore came first with a visa-free score of 159, while Sweden and South Korea came second with a visa-free score of 158. 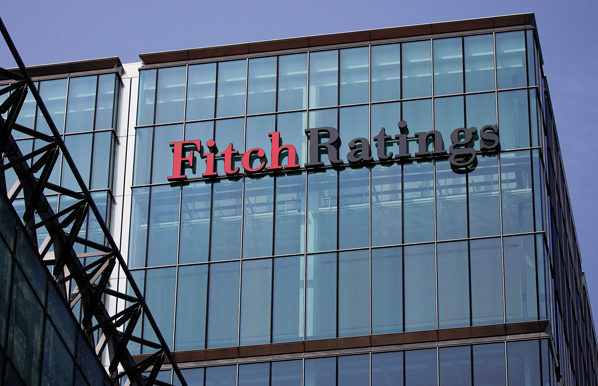 Cyprus’ €850m bond issue reduces refinancing risks and demonstrates the sovereign`s improved financing flexibility, Fitch Ratings said, although some factors continue to weigh on the island’s sovereign credit profile. 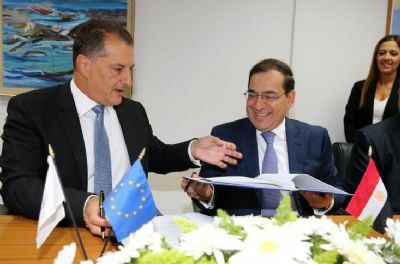 The Agreement for the establishment of an integrated casino resort in Cyprus was signed during a special ceremony held yesterday in the presence of the Minister of Tourism, Commerce, Industry and Energy, Yiorgos Lakkotrypis. 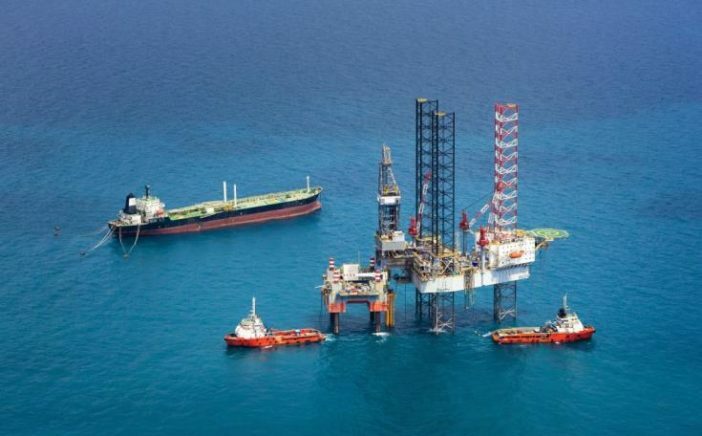 Cyprus on Sunday issued a maritime advisory for a natural gas drill from July to October in a step opposed by Turkey, which challenges the divided island’s jurisdiction to search for hydrocarbons. 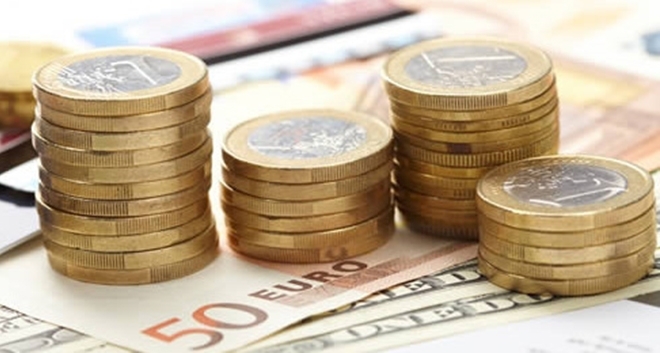 Demand from investors for Cyprus’ new 7-year bond issued last Tuesday, June 20 had been the highest since the country’s return to the international bond markets three years ago. 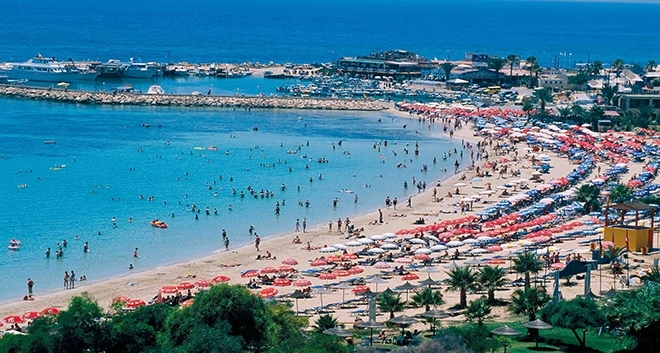 Tourist arrivals to Cyprus were up by 14.7% in May, recording a historic high for the month. “On the basis of the results of the Passengers Survey, arrivals of tourists reached 418.732 in May 2017 compared to 364,943 in May 2016, recording an increase of 14.7%,” a Statistical Service press release published by the Press and Information Office reads. 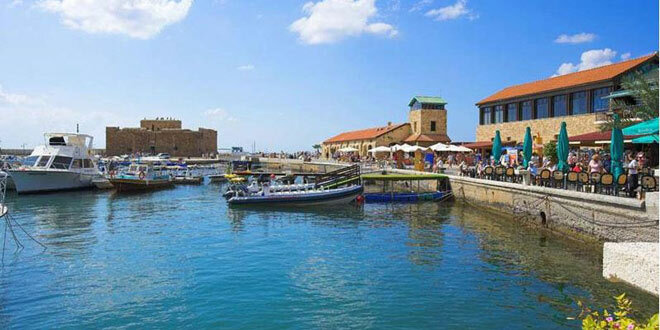 Discussions on a national strategy for tourism will commence in July, with an ambitious plan to have Cyprus an all year tourist destination, attracting over six million visitors annually by 2030, President Nicos Anastasiades said on Monday. 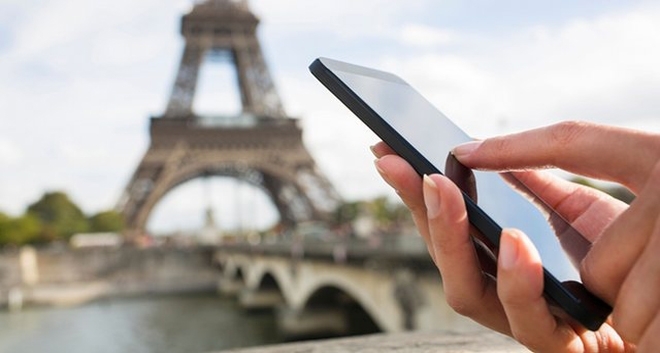 Roaming charges for mobile phones across the European Union and the European Economic Area (EEA) were abolished as of June 15, with Cypriot consumers expected to benefit – depending on where they happen to be and how they use their device. The new double tax agreement between Cyprus and Luxembourg was recently published on the Luxembourg tax administration's website. 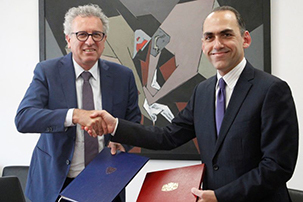 The agreement – the first such agreement to be signed by the two countries – closely follows the latest Organisation for Economic Cooperation and Development (OECD) Model Tax Convention for the Avoidance of Double Taxation on Income and on Capital. 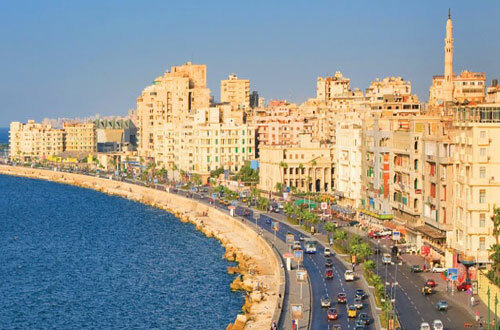 Egypt proceeded with forming its part of the Cyprus-Egypt Business Association, after the country’s Trade Minister, Tarek Kadeel, issued a relevant ministerial decree. 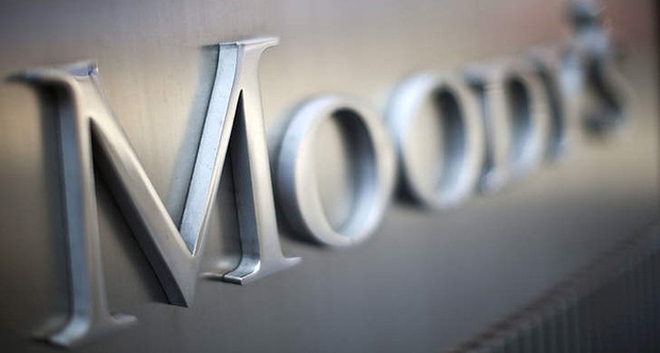 Moody’s Investors Service said that the 3.3 per cent annual growth rate of the first quarter announced last Tuesday is a credit positive for Cypriot banks, as it strengthens borrowers’ capacity to repay restructured distressed debt. On the basis of the results of the Passengers Survey, arrivals of tourists reached 286.331 in April 2017 compared to 225.575 in April 2016, recording an increase of 26,9%. April 2017 had the highest volume of tourist arrivals ever recorded in Cyprus during the specific month. 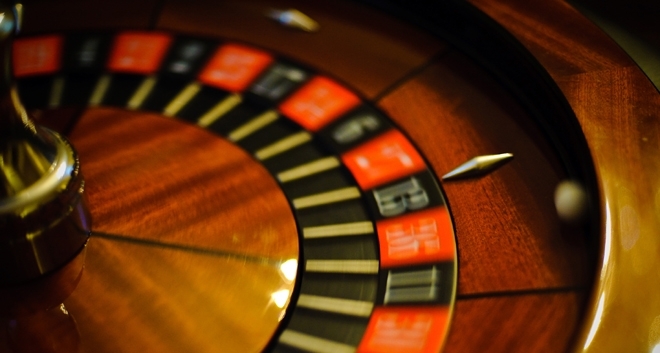 The cabinet on Thursday rubber-stamped the casino licence deal with the only bidder, Melco Hard Rock consortium. “With today’s decision, the council of ministers has completed an ambitious endeavour that started about three years ago,” Commerce and Energy Minister Yiorgos Lakkotrypis said. Cyprus economy expanded by 3.3% year on year on seasonally adjusted data, marking the highest quarterly growth since the financial crisis of 2013, according to a flash estimate released today by Cystat, Cyprus’s statistical service. 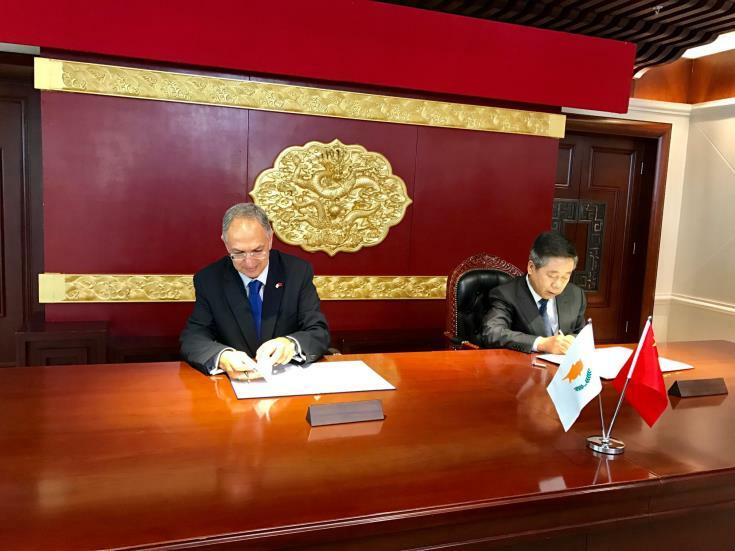 Cyprus and China have signed an agreement on the mutual recognition of university titles, it was announced on Sunday. Education Minister Costas Kadis and the Education Minister of the People’s Republic of China Chen Baosheng singed on Sunday in Beijing the Agreement for the Mutual Recognition of Higher Education Titles. 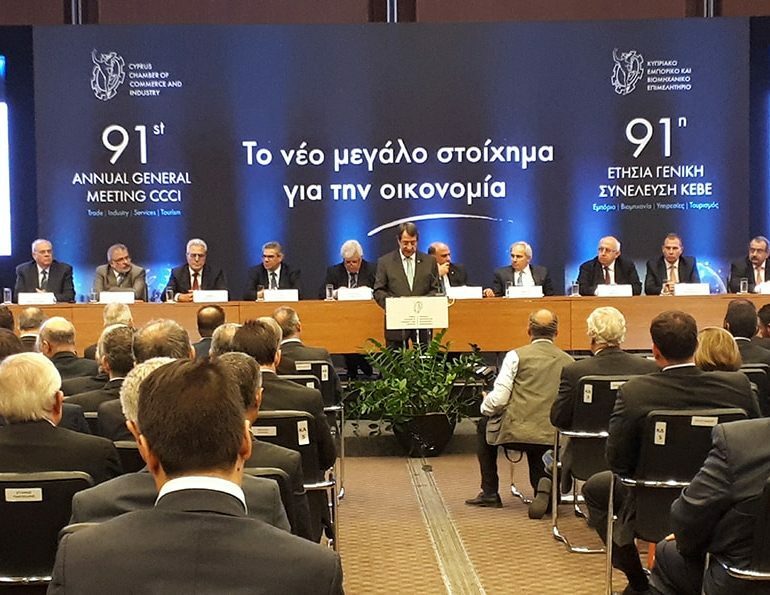 Foreign investors heaped praise on Cyprus during a special session focused on the country at the European Bank of Reconstruction and Development (EBRD) annual meeting on Thursday. 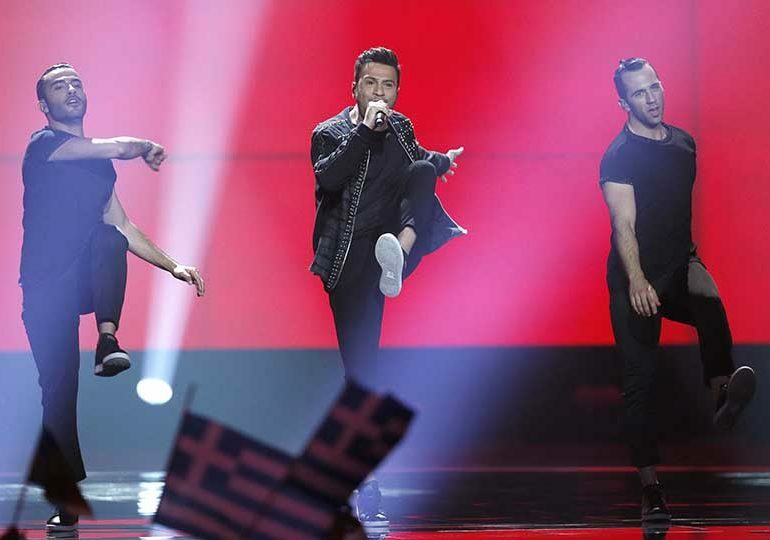 Cypriot performer Hovig on Tuesday night secured his place in the Eurovision Song Contest final after claiming the ninth slot. Ten countries out of 18 made it through from the first semi final, held in Kiev, Ukraine. 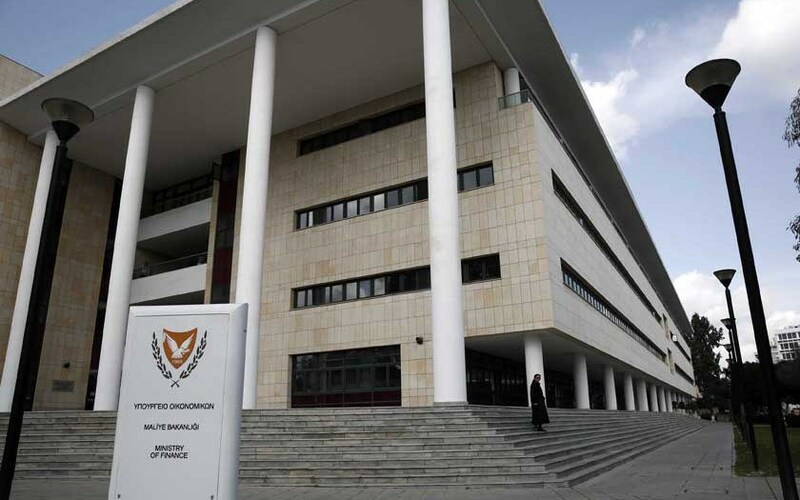 The Economics Research Centre of the University of Cyprus projects that the expansion of real economic activity in Cyprus is expected to continue in 2017 at slightly faster rates vis-à-vis those registered in 2016. 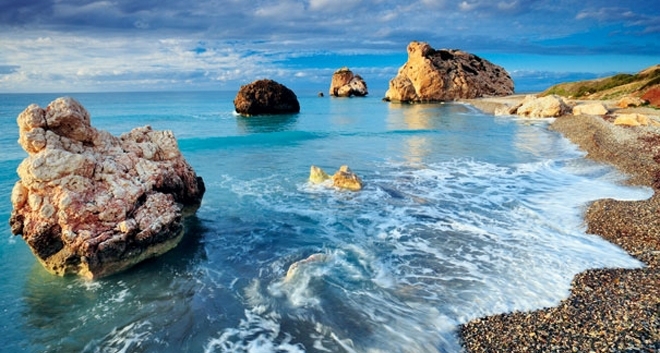 Cyprus has recorded the highest increase in tourism arrivals in the Mediterranean while being the second cheapest Mediterranean tourist destination after Turkey. 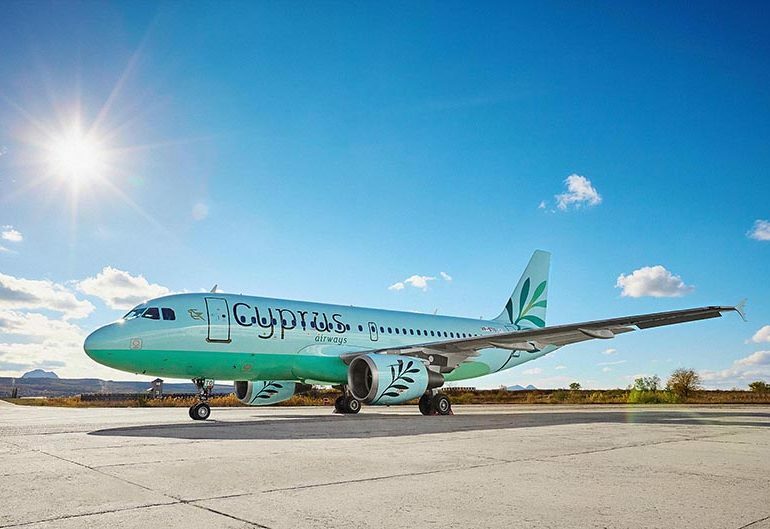 Cyprus Airways just announced the first three destinations that will be included in its flight schedule for the first phase of its launch, to begin in June 2017. 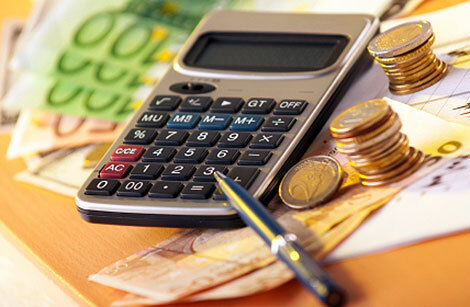 Preliminary data on the General Government accounts for 2016 showed that the annual public sector balance registered a surplus of €64,4 mn, that corresponds to 0,4% of GDP, the Statistical Service of Cyprus announced on Monday. President Nicos Anastasiades leaves on Monday evening for India on a four-day state visit, heading a delegation of officials and businesspeople. 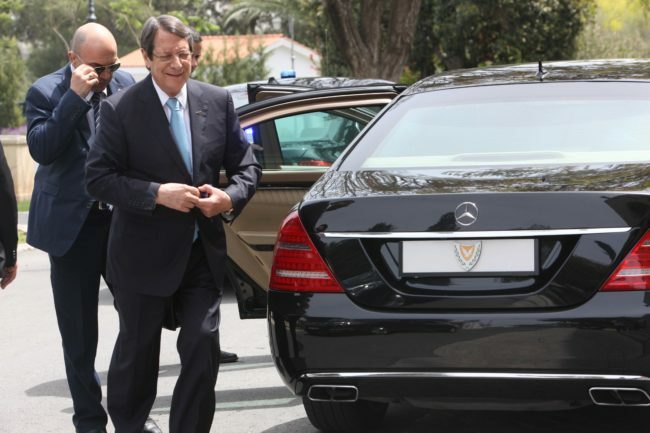 Anastasiades, who will be accompanied by the ministers of finance, energy, transport, agriculture, and the government spokesman, will arrive in Mumba on the morning of 25 April. 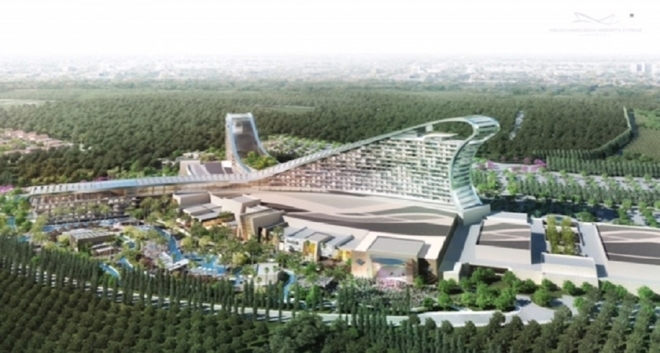 Melco-Hard Rock Resorts, the consortium tasked with building the Republic of Cyprus’ first grand casino in 2020, are expected to sign the contracts for the construction of the multimillion euro project towards the end of April. On the basis of the results of the Passengers Survey, arrivals of tourists reached 140,873 in March 2017 compared to 137,013 in March 2016, recording an increase of 2.8%. March 2017 had the highest volume of tourist arrivals ever recorded in Cyprus during the specific month. 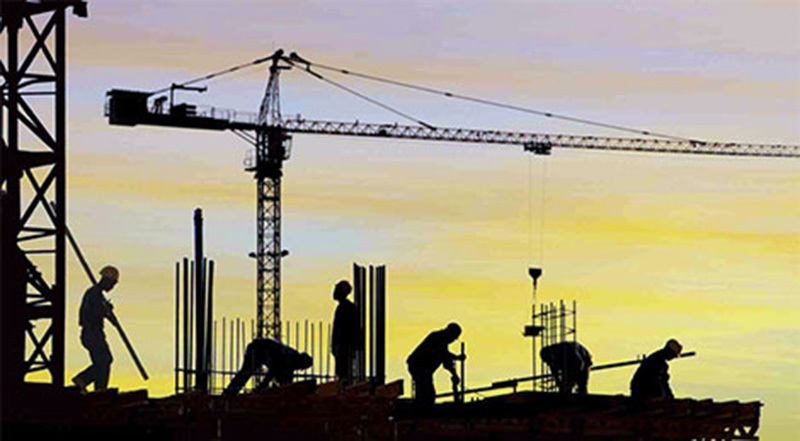 Chinese investors have contributed to a large extent to the revival of the construction sector in Cyprus following its collapse after the 2013 economic crisis. 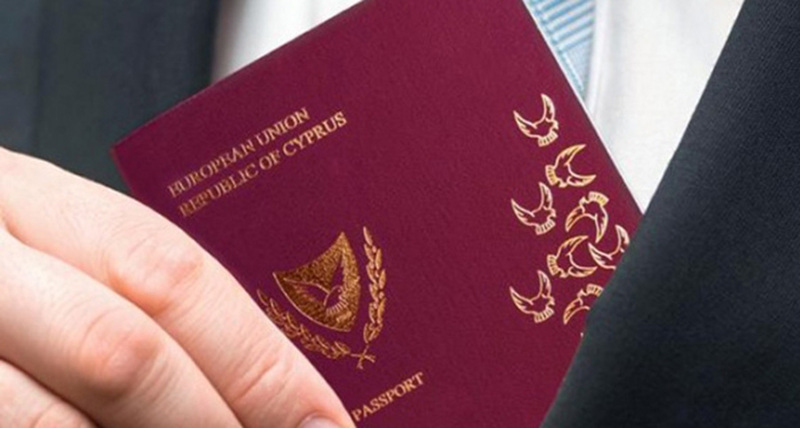 In view of excellent, traditionally historic relations between India and Cyprus and the desire of both countries to promote tourism, people to people contacts and explore further opportunities, the Government of India has decided with immediate effect to extend eVisa to Cypriot passport holders for travel to India for tourism purposes. The data of Rosstat and tourist offices indicate that Thailand was the most popular destination among tourists from Russia in 2016. 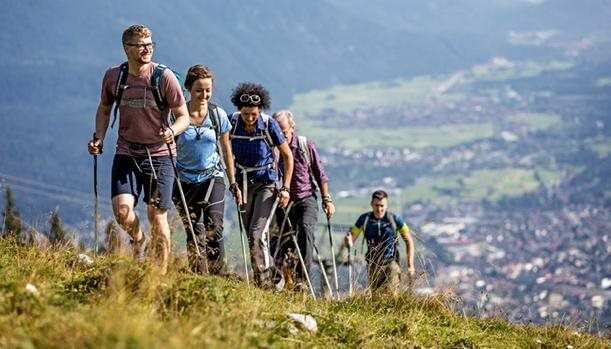 About 866.6 thousand tourists travelled to this country, 28% more than in the previous year, according to the Association of Russian Tour Operators (ATOR). 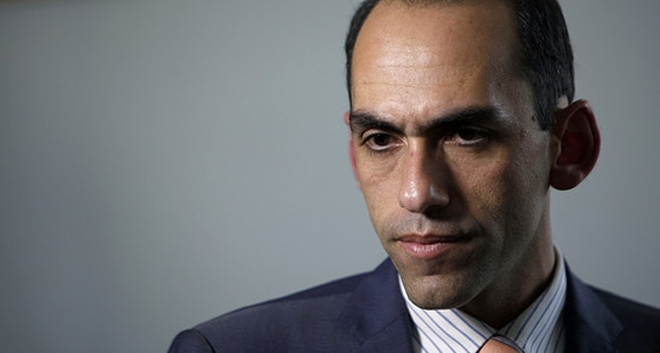 Friday's, March 17, upgrade by Standard and Poor`s confirms the Cypriot economy`s growth prospects as well as the stable and sustainable fiscal path, Minister of Finance Harris Georgiades has told Cyprus News Agency, reaffirming the government`s commitment to a balanced budget policy. 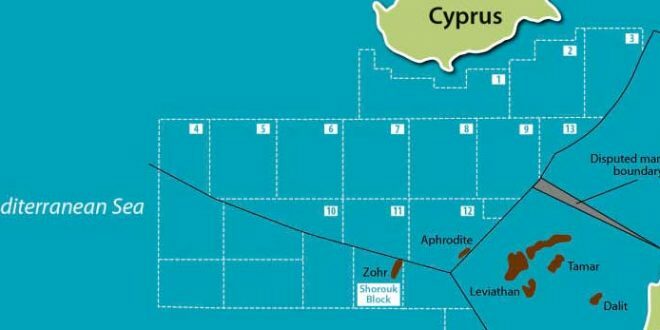 Cyprus is set to sign on April 5 and 6 contracts with the selected bidders of the third licensing round for explorations in blocks 6, 8 and 10 of its Exclusive Economic Zone, Energy Minister Yiorgos Lakkotrypis has announced. 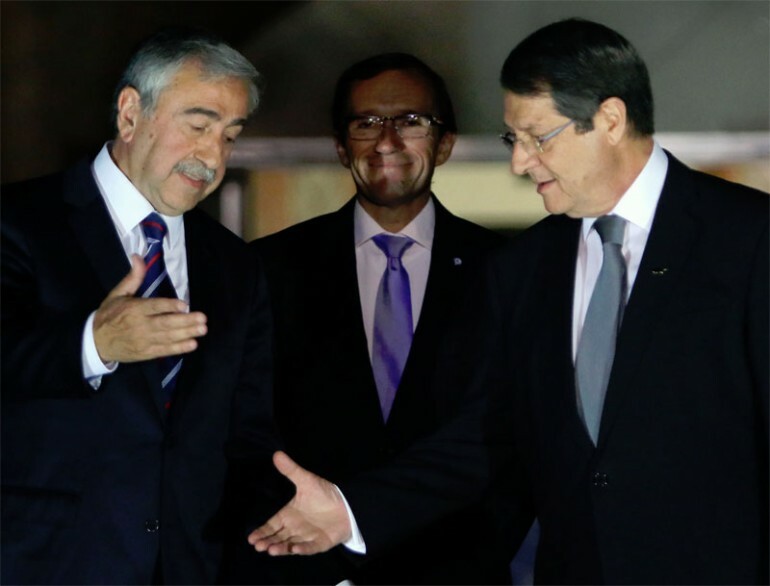 Over the last three years the Cyprus economy has made important steps in the right direction. 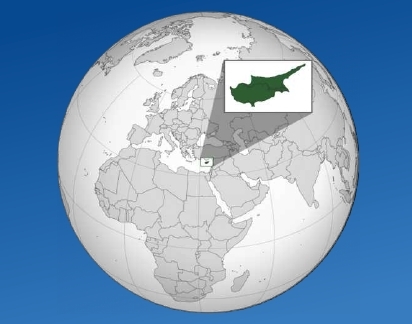 Cyprus has exited the economic adjustment programme, while it is no accident that a positive growth rate has been recorded for eight consecutive quarters, following a prolonged recession. Cyprus ranked 19th out of 195 countries for its high level of political rights and civil liberties in 2016, higher than France and the US, which came in at 27th and 28th place respectively. Cyprus and Egypt signed on Friday, March 3, a series of agreements and memorandums that further enhance their bilateral ties, with the two sides stressing that they consider each other as strategic partners. 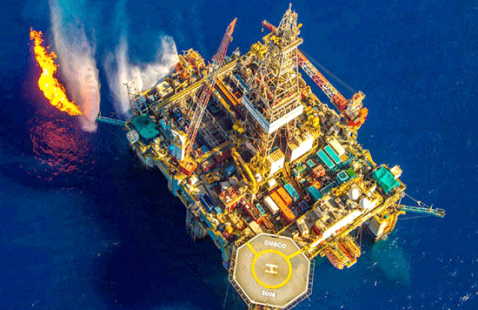 Cyprus will have a clear picture of its subsea natural resources by the end of next year during which four or five drills are expected according to Energy Minister Yiorgos Lakkotrypis. 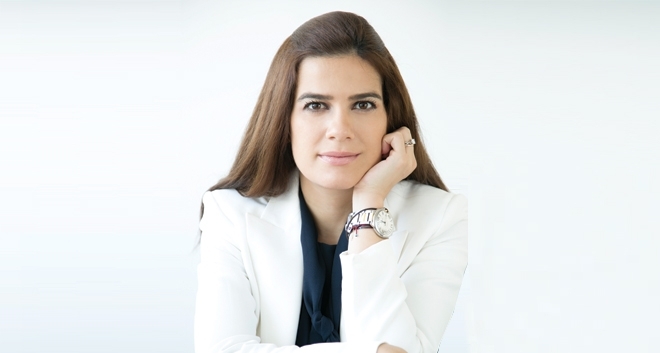 Cyprus offers a unique basket of advantages to foreign investors utilizing Cyprus as a base for conducting their business activities worldwide. Minister of Energy Yiorgos Lakkotrypis met on January 13 with companies / consortia that have been selected to negotiate with Cyprus Government under the 3rd licensing round for offshore hydrocarbons exploration in Blocks 6, 8, and 10 in the Exclusive Economic Zone (EEZ) of Cyprus. 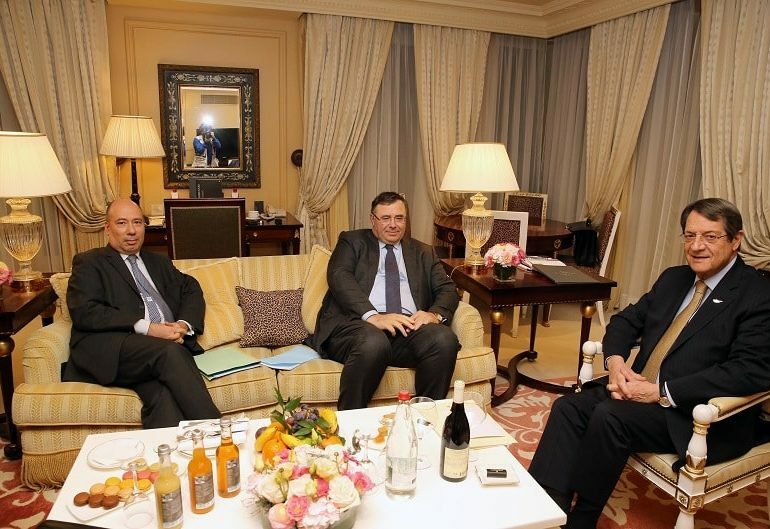 France’s Total is preparing to drill for gas off Cyprus, close to ENI’s huge Zohr discovery off the Egyptian coast which in 2015 renewed interest among oil majors for exploration in the Mediterranean. Successful was ultimately the outcome that was raised with the intention of Russia to tax profits from properties even if they belonged to a company that was registered in another country. 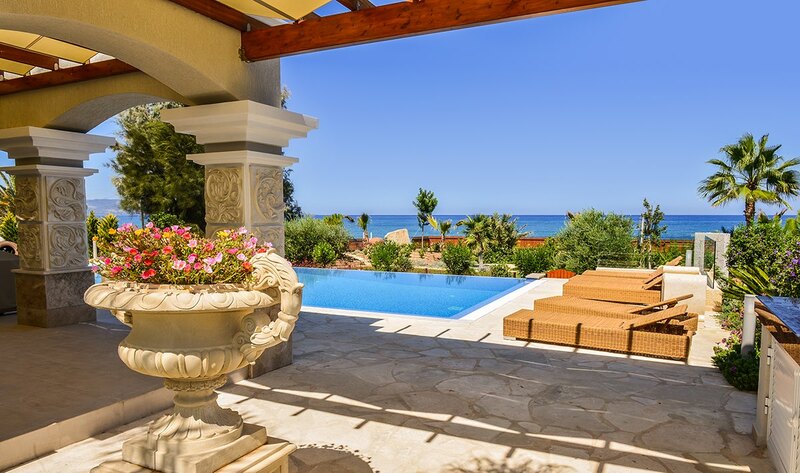 Growing interest in Cyprus property Cyprus is back in the top 10 of the November edition of the property portal TheMoveChannel.com’s Top of the Props chart, which records the most searched for overseas destinations to buy property. 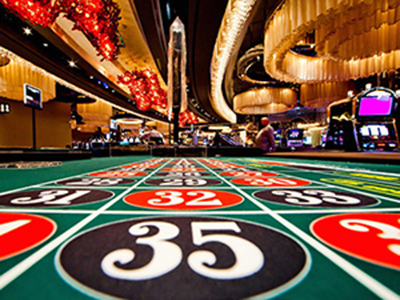 Cyprus casino will be the largest in Europe, Minister of Tourism, Commerce, Industry and Energy, Yiorgos Lakkotrypis said on Friday. 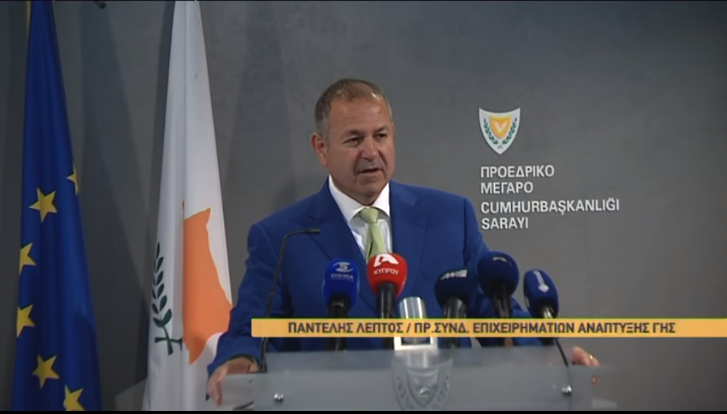 Replying to questions by journalists, Lakkotrypis pointed out that the multi-thematic casino resort to be built in Cyprus will be the biggest in Europe both as regards the number of tables and game consoles. CYPRUS and India on Friday signed a double taxation and fiscal evasion agreement, paving the way for the island’s removal from the Asian country’s black list. Cyprus’s economy expanded an annual 2.9 per cent in the third quarter of the year after growing 2.8 per cent in the second quarter, the statistical service said citing a provisional estimate. 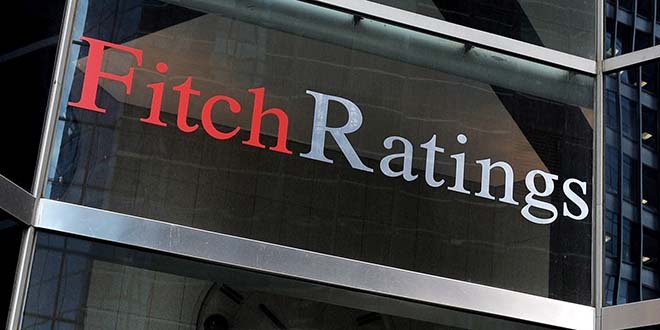 Fitch ratings house has upgraded the long-term prospects of Cyprus, rating the country’s economy one grade higher at BB- from B+. 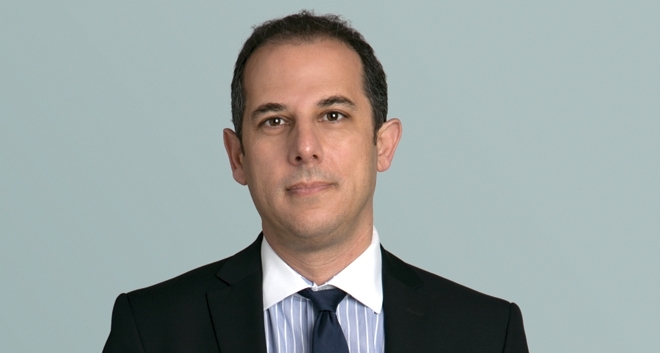 Tourism minister George Lakkotrypis has expressed cautious optimism about 2017 being an even better year for Cyprus in terms of attracting tourists to the island, following meetings with travel industry professionals during world Travel Market in London. 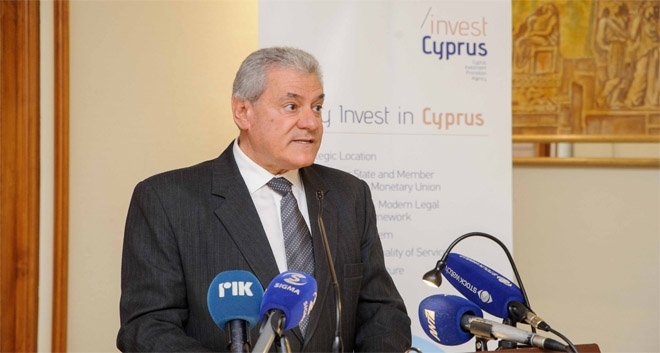 Transport Minister Marios Demetriades is paying a visit to Hong Kong and Shanghai on the occasion of the “Investment Opportunities in Cyprus” seminars, the Cyprus News Agency reports. During his visits the Minister will meet companies based in Hong Kong and Shanghai to promote Cyprus as an important shipping centre. Finance minister Harris Georgiades said that Cyprus’s economy may expand at a rate of up to 3 per cent this year, after growing a revised 1.7 per cent in 2015, and may continue to grow at a rate ranging between 2.5 per cent and 3 per cent in the medium-term, the Cyprus News Agency reported on Monday. 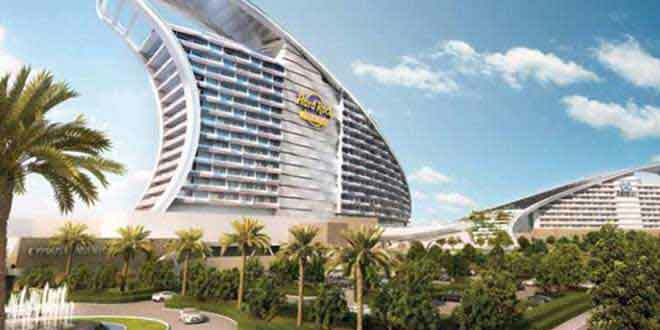 Cyprus is set to have its first casinos by July next year if Melco-Hard Rock is awarded the casino contract. 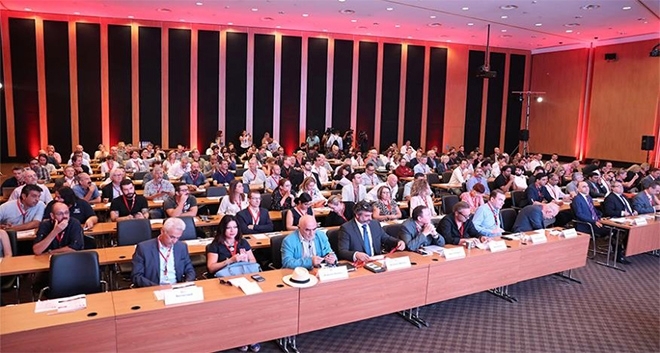 The news was announced on Wednesday during Melco-Hard Rock’s presentation of their proposal to the relevant state coordinating committee at the International Conference Centre in Nicosia. 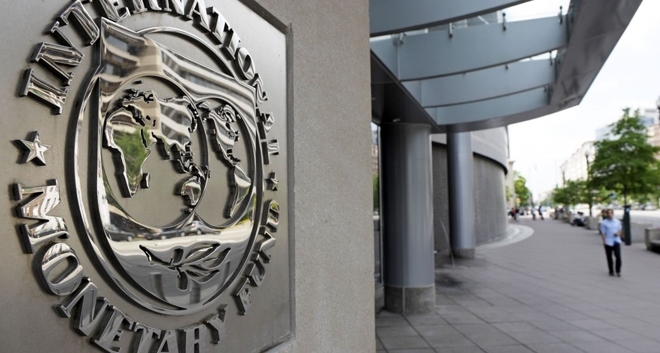 The International Monetary Fund (IMF) said that Cyprus’s economy which exited a prolonged recession last year when it grew 1.5 per cent will see its growth rate slow down from 2.8 per cent this year to 2.2 per cent in 2017. A total of 72 crews from nine countries are on the entry list for Cyprus Rally 2016. The event will take place from October 7-9 and will again, host two regional FIA championship rounds. 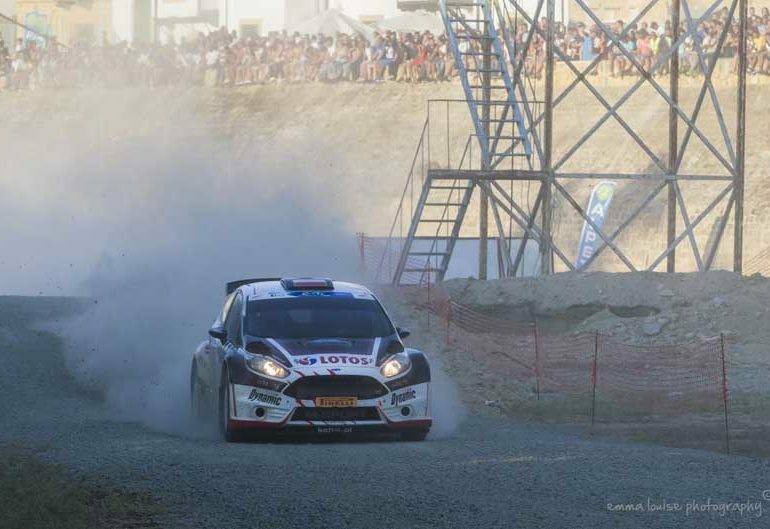 One will be the tenth and final round of the European Rally Championship and the other will be the fifth round of the Middle East Rally Championship. 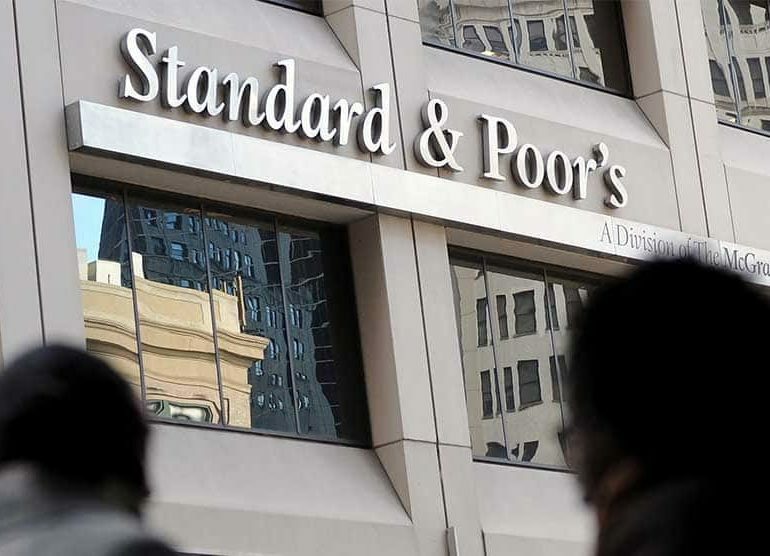 S&P Raises Cyprus Rating to ‘BB’ Standard & Poor’s has upgraded its assessment of Cyprus by one notch to BB, with the rating agency saying the outlook was ‘positive’. 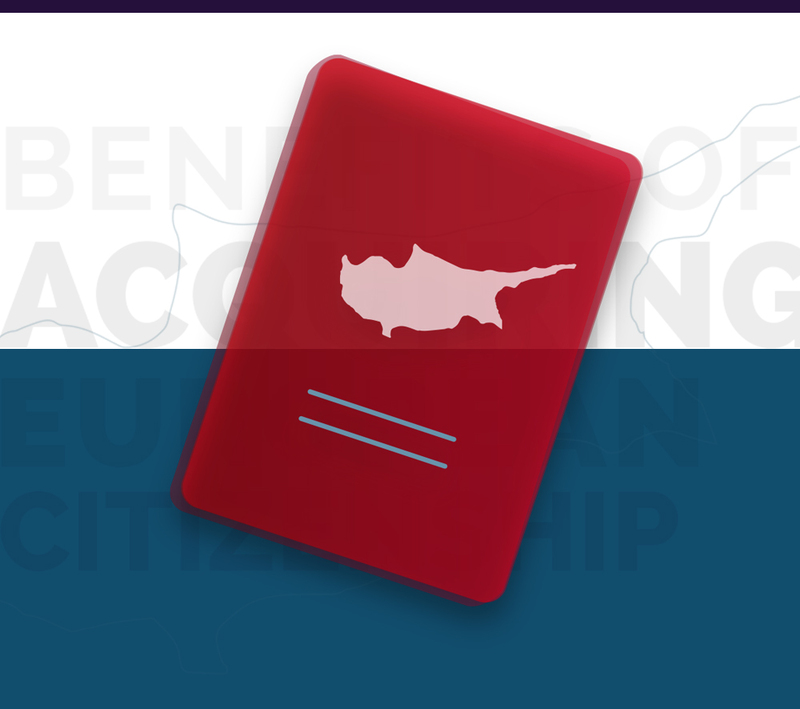 The Cyprus Government has approved a revised scheme for granting Cypriot citizenship to non-european entrepreneurs and investors. 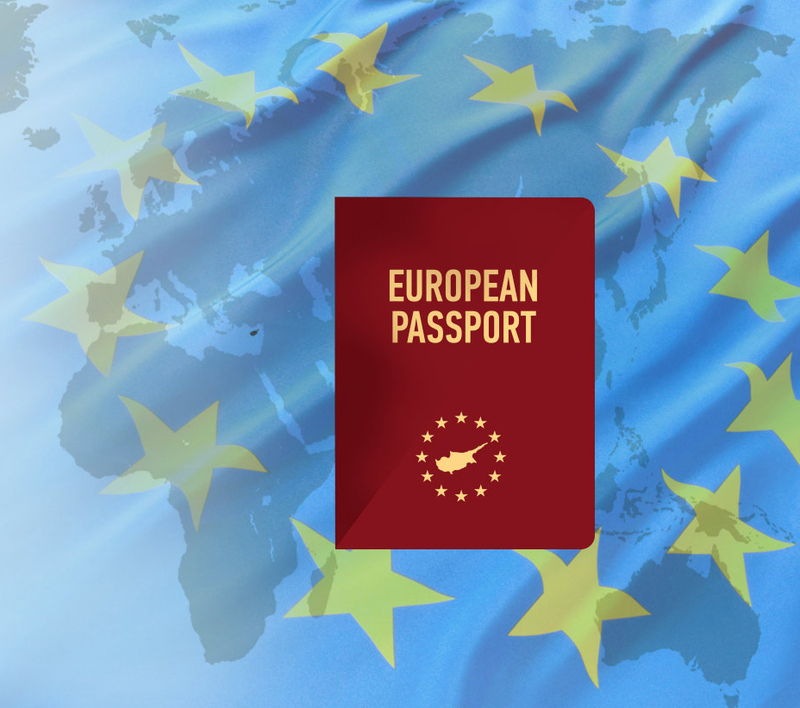 Today, acquiring a second citizenship offers the opportunity to create wealth across borders, to limit visa restrictions when travelling and it opens county borders for individuals, which is not always available when using the passport of the country you were born in. This infographic by Leptos Estates the Leading Property Developers in Cyprus shows the benefits investors have when acquiring European - Cyprus citizenship. 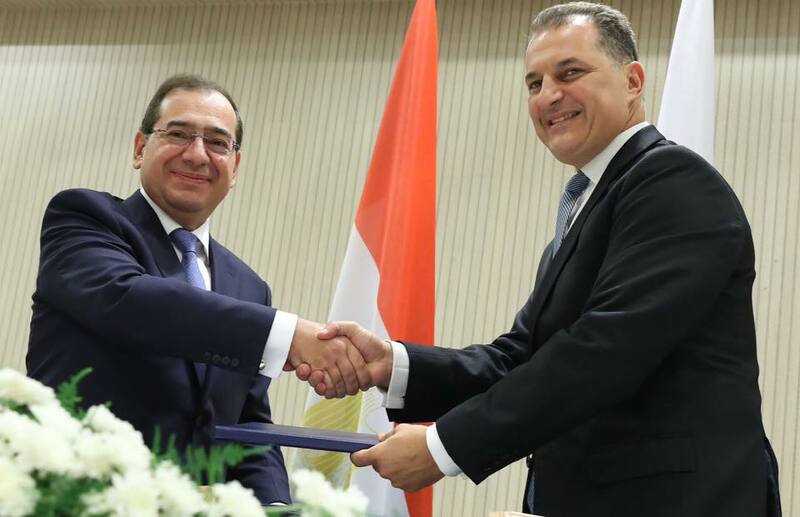 Cyprus and Egypt signed an agreement on Wednesday creating the legal framework for energy companies to go ahead with their own commercial talks on the transport of natural gas from Cyprus to Egypt via a sub-sea pipeline. 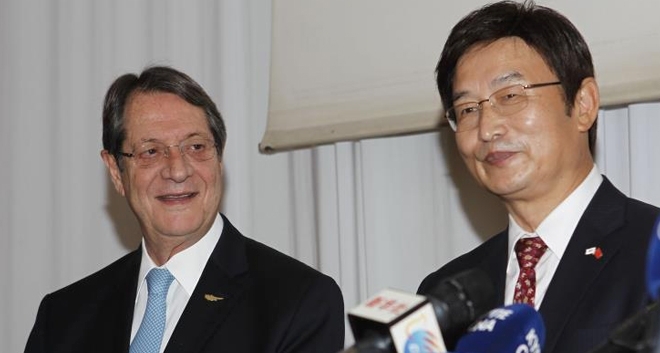 President Nicos Anastasiades on Tuesday received the credentials of two new ambassadors to Cyprus – from China and from Jordan which appoints a resident head of diplomatic mission in Nicosia for the first time. Jordan supports the efforts to achieve a peaceful and lasting solution to the Cyprus question, based on the implementation of all relevant UN resolutions, the country`s first Ambassador Mohamad Sharari El-Bakhit El-Fayez has said on Tuesday. 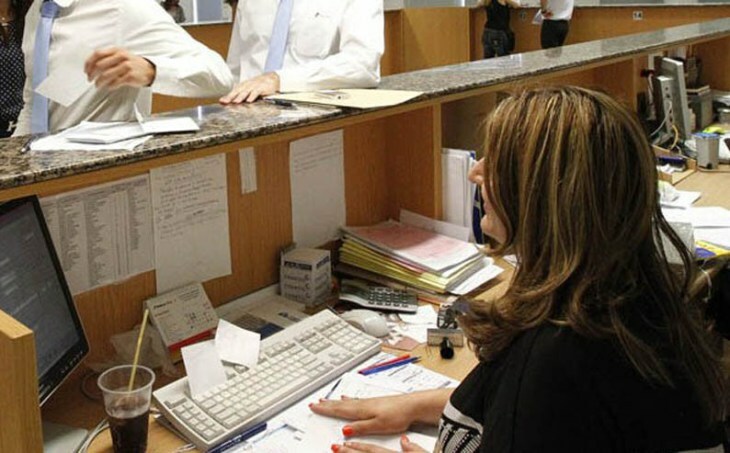 Travellers from Jordan can now apply for visas to Cyprus at the new Cyprus Visa Application Centre launched in the city of Amman. With Cyprus emerging as a preferred outbound destination, applicants will find this centre, located in the heart of the city, an easily accessible and convenient option. 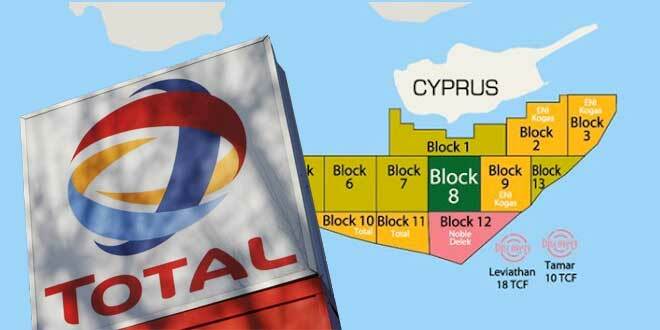 Energy giants ENI and Total have reportedly defied threats from Turkey and joined forces to go after Block 6 in Cyprus’ Exclusive Economic Zone (EEZ), according to media reports on Saturday. The plenary of the House of Representatives voted on July 14, 2016 to reduce immovable property tax between 72.5% and 75% for 2016 and to abolish it from 2017 onward, Cyprus News Agency reports. 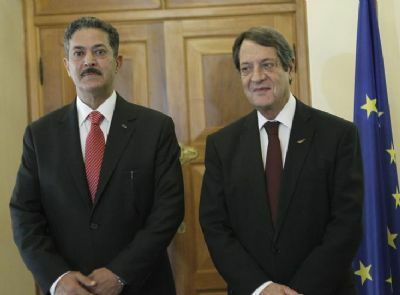 President Nicos Anastasiades expressed his appreciation to the Emirati Authorities for their principled stance on the Cyprus problem, as well as for the steadfast support they have provided Cyprus over the years and in particular for their supportive position within the Organization of Islamic Cooperation, the Cyprus News Agency reports. According to a recent worldwide survey of 107 out of 195 countries that generate enough data to run a study about the safest countries in the world, Cyprus proudly holds the 5th place worldwide! Indian authorities will strike Cyprus off the South-Asian country’s blacklist after India and Cyprus successfully renegotiated their agreement for the avoidance of double taxation and prevention of fiscal evasion, the finance ministry said. On June 29 the federation of Arab News Agency reported that HH the Emir of Qatar, Sheikh Tamim bin Hamad Al-Thani issued Emiri Decision No. 29 of 2016, which appoints Sultan Ibrahim Youssef Ibrahim Al-Mahmoud as ambassador extraordinary and plenipotentiary to the Republic of Cyprus. 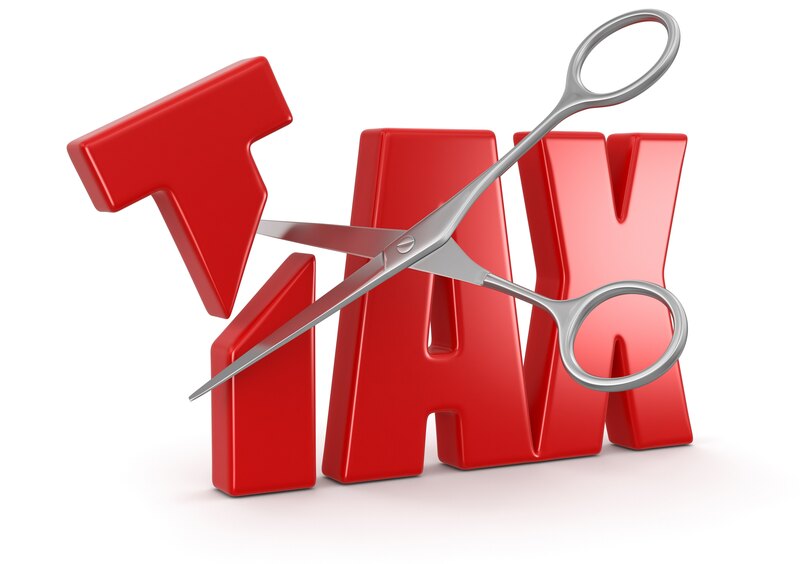 The Minister of Finance, Harris Georgiades, said that another important step towards tax reform was made, in announcing what is essentially a tax cut in property taxes for households and businesses. Applications for registrations of new companies continued to rise for ninth consecutive month in May, according to data from the Department of the Registrar of Companies and Official Receiver. Dr. Julia Georgi, Associate Professor, Head of the Department of Architecture Land and Environmental Sciences of Neapolis University Pafos, presented as Key note speaker her paper entitled “The Garden at Byzantine times: Issues of Restoration" at the International Conference ' USULAR PEMKON KONFERANSLARI held from 23-25 May 2016. 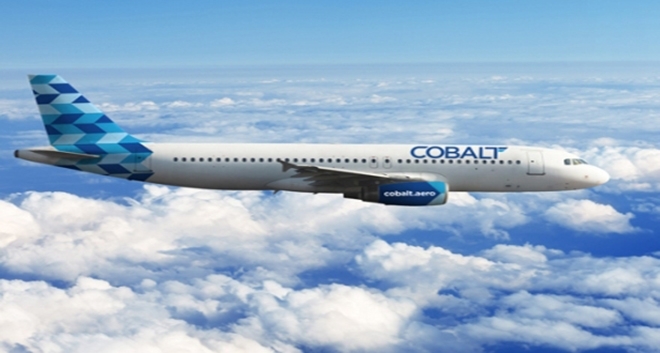 Cobalt is officially Cyprus’ new airline with its Air Operator Certificate issued on Wednesday after successfully completing a test flight from Larnaca to Heraklion, a press release from the low-cost carrier said. Fears of having fewer tourists from Russia can be put to rest for now, as more Russians are set to flock the island this summer leading the way for smaller markets to follow suit. 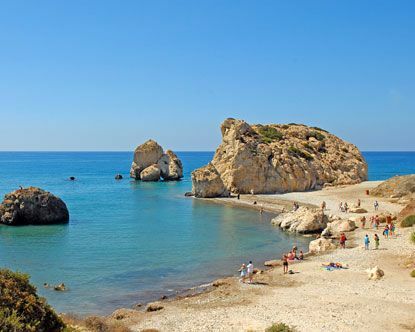 Based on arrivals and summer reservations so far, the Cyprus Tourism Organisation (CTO) has every reason to believe this year could be another great season, InCyprus reports. 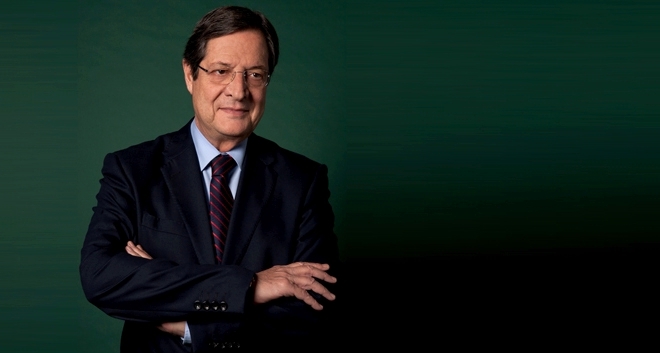 President Nicos Anastasiades said on Tuesday that amid rapid changes both in the social and the economic fields, the energy sector in Cyprus is fundamentally changing with regard to its structure, organisation, and means of exploitation. 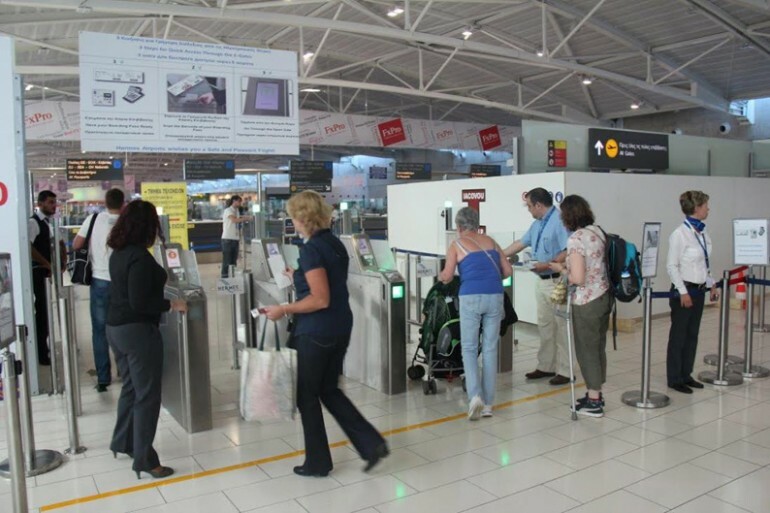 Tourist arrivals in March 2016 reached 173,013 persons, compared to 97,479 in March 2015, recording an increase of 40.6%, according to the latest figures of the Passengers Survey released on April 18, by the Statistical Service of Cyprus. The first plane of new Cypriot airliner Cobalt Air landed at Larnaca Airport on Wednesday afternoon. The Airbus A320-233 – which is currently bare white and without the blue and white patterned colouring and logo of Cobalt – is set to be inspected by the Civil Aviation Authority before it can be given its Air Operating Certificate. 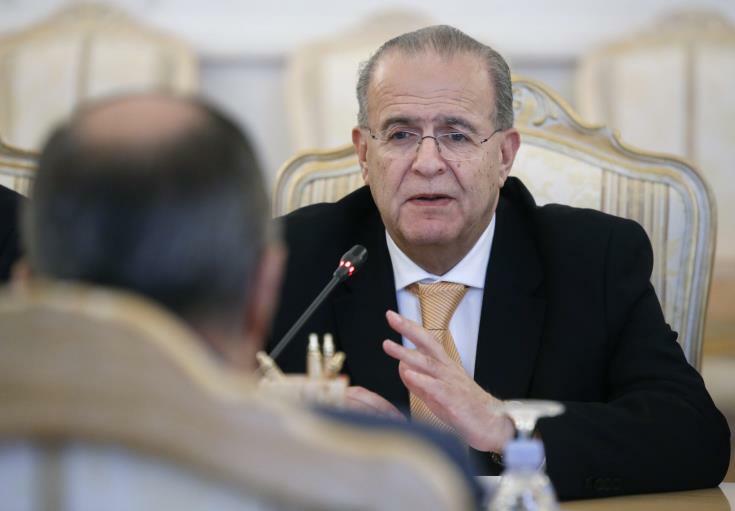 President of the House of Representatives Yiannakis Omirou stressed on April 11 the historic and close relationships between Cyprus and Egypt, noting that they are going through one of the best periods in their history, according to the Cyprus News Agency. 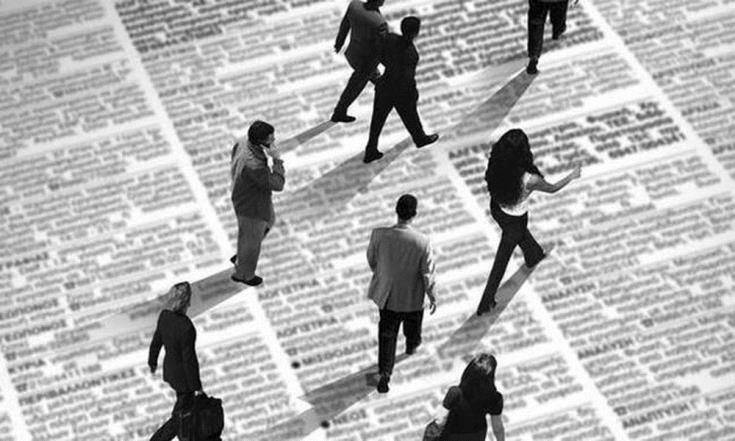 A significant increase in the number of applications for new companies was recorded in March, as reported by the Cyprus News Agency. Cobalt airline is aiming to revolutionise the local travel market by launching low-cost flights between Cyprus and far-flung destinations, including China, the Cyprus Mail reports. 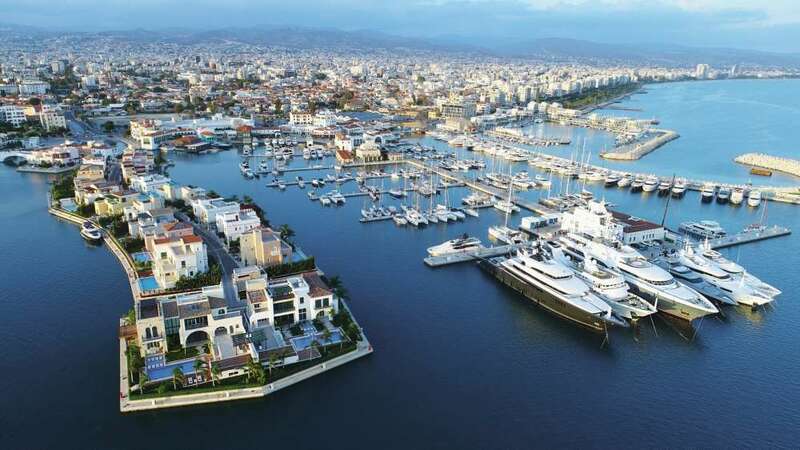 Lobby groups and business associations from Cyprus and India are working to build trade relations between the two countries with an eye to a new double taxation agreement that is being negotiated, according to In-Cyprus. 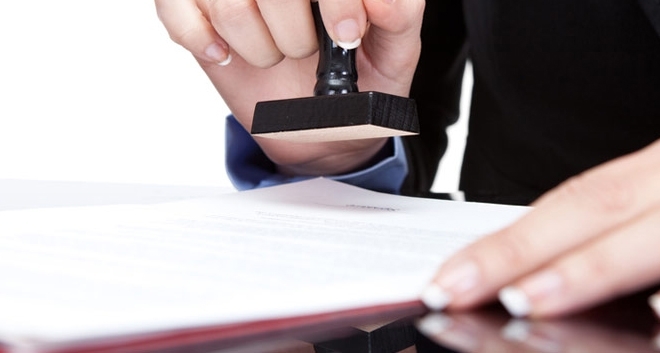 The Cyprus Ministry of Finance will be signing soon new tax treaties with more African and Asian countries. 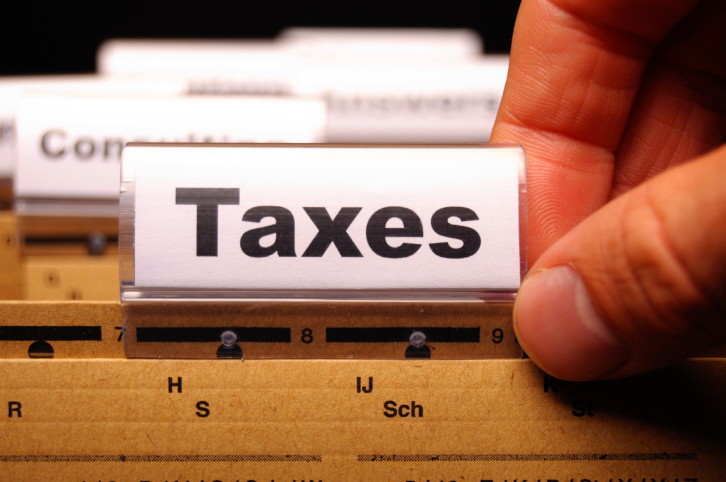 Cyprus is consistently voted as the most attractive European tax regime by major business organizations and tax professionals across Europe. 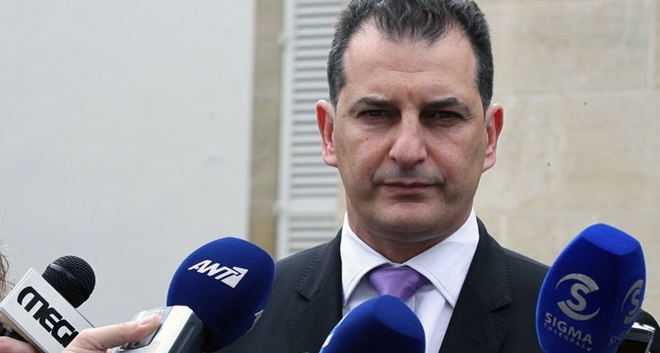 The detection of carbonate layers in the southern part of Cyprus’ Exclusive Economic Zone (EEZ), which could hold pockets of natural gas, was a chief reason behind the government’s decision to launch a third oil and gas licensing round, Energy Minister Giorgos Lakkotrypis has said. Tourist arrivals in Cyprus increased significantly in February, according to data released by the Statistical Service on Thursday. 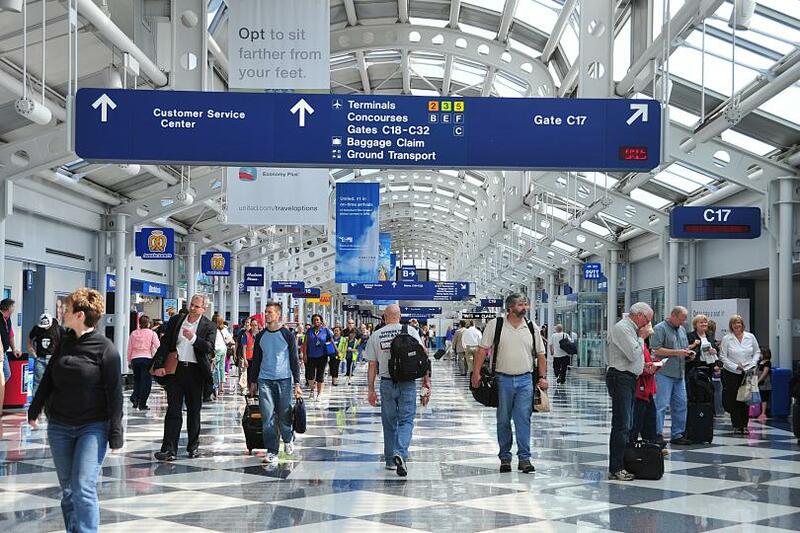 New figures show that arrivals from Russia soared in February. 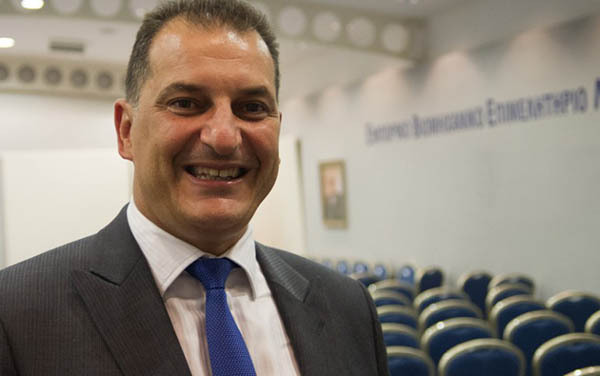 Cobalt air will be flying to 16 cities from Larnaca when it begins operations, while the first of its three Airbuses will arrive within the next few days, chairman Grigoris Diakou has said. 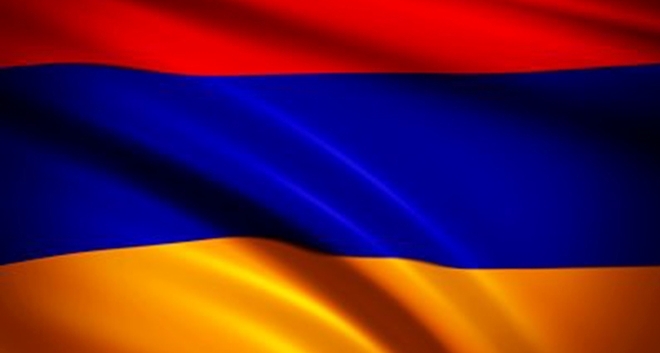 The Presidents of Cyprus and Armenia, Nicos Anastasiades and Serzh Sargsyan, will sign bilateral agreements between the two countries, in the framework of Sargsyan’s two-day official visit to Cyprus, beginning on March 15. 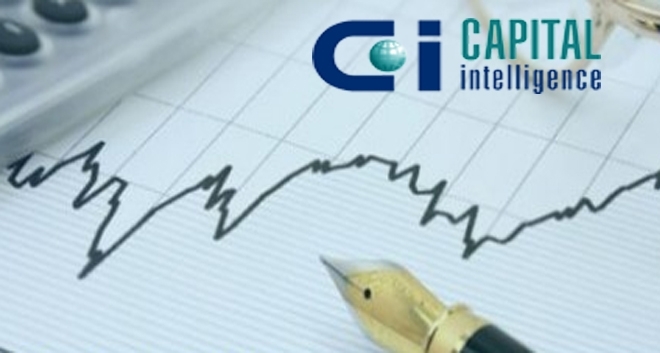 Applications for company registrations recorded a large increase in February 2016, reinforcing expectations for improving conditions in the flow of international business in Cyprus. 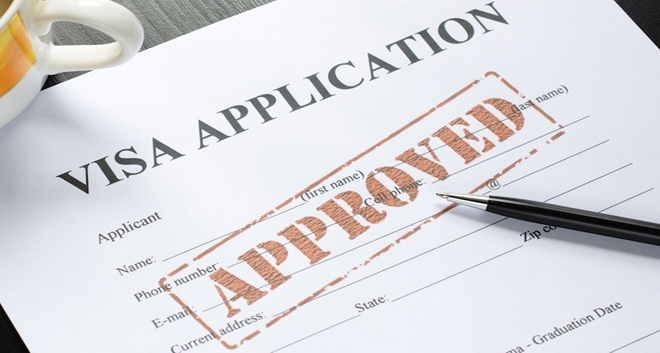 According to new data by the registrar of companies and official receiver, applications for company registrations totaled 1089 from 790 in February 2015. This corresponds to an increase of 27.8%. 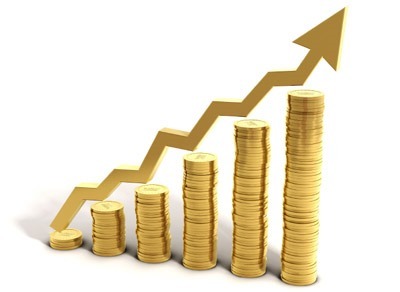 In January the increase was 17.8%. 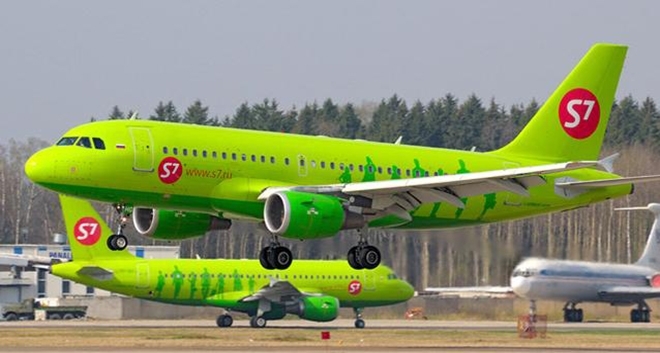 The co-owners of Russian carrier S7 Airlines are set to launch a new airline in Cyprus that will operate routes within Europe, the RBC news website reported Wednesday, citing company shareholder Vladislav Filyov. 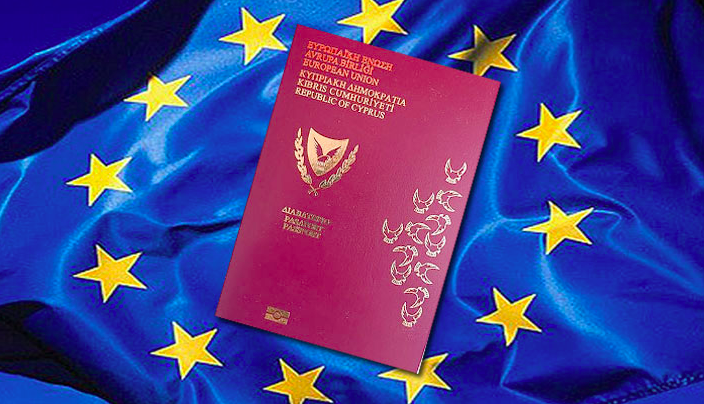 Great Improvements on Cyprus Permanent Residence Permit announced by the Ministry of Interior of Cyprus. The government has announced that it will launch a third oil and gas exploration round in Cyprus’ Exclusive Economic Zone (EEZ). 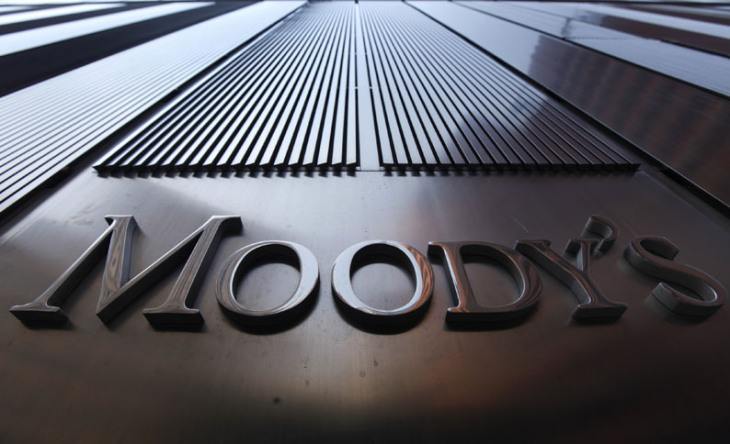 Moody’s Investors Service expects the Cyprus economy to grow 1.5 per cent in 2016 after growing 1.4 per cent in 2015 ,with the government posting a fiscal deficit of 0.5 per cent of economic output in 2016 and a 0.1 per cent surplus next year. 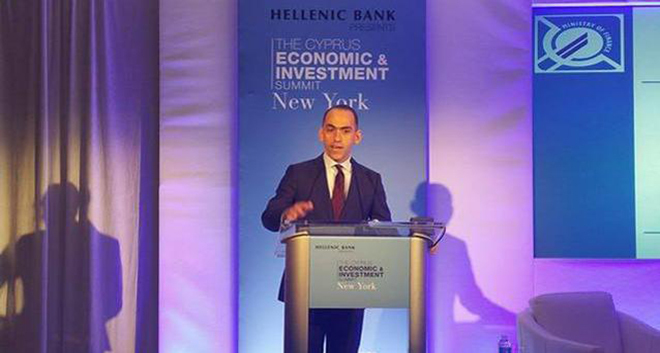 The success story of Cyprus is a success for Cyprus, the Cypriot government and the Cypriot people, a spokesman of the International Monetary Fund (IMF) has told the press. 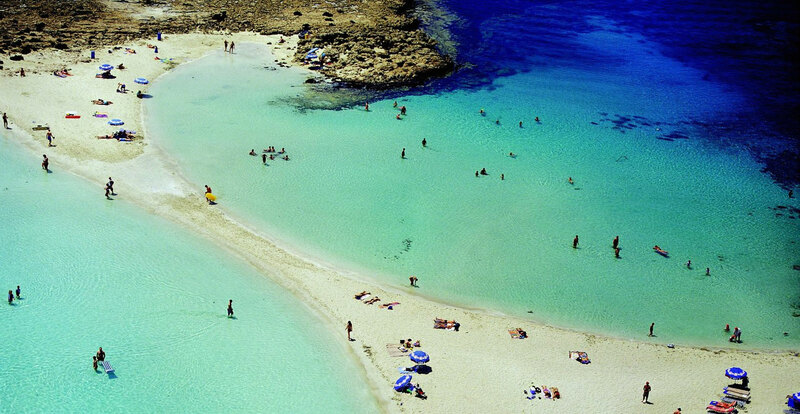 The Cyprus Tourism Organisation (CTO) is aiming for arrivals in 2016 of 2.9 million following last year’s record of 2.7 million, MPs at the House finance committee heard on Monday. 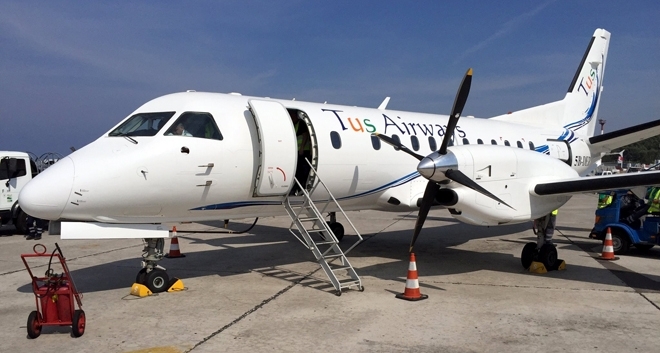 New Cypriot airline Tus Airways – standing for “Τhe Ultimate Schedule” – has officially launched. Property sales recorded an increase for the second year in a row in 2015, but still remain 60% below the 2000 levels. 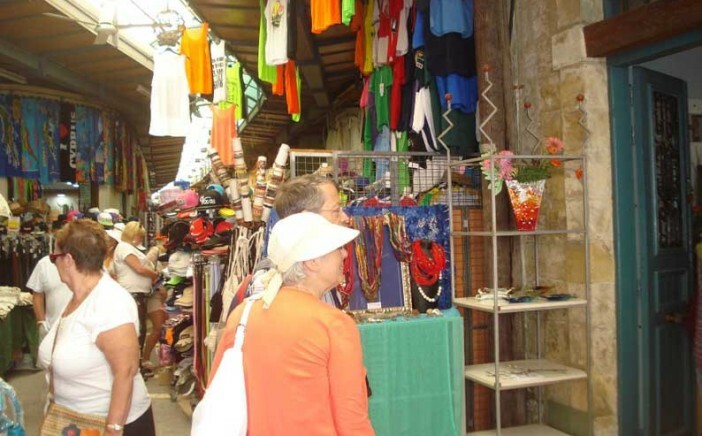 The tourist industry managed to accumulate revenue amounting to almost €2 billion during the period January-October 2015, according to the Statistical Service of Cyprus. 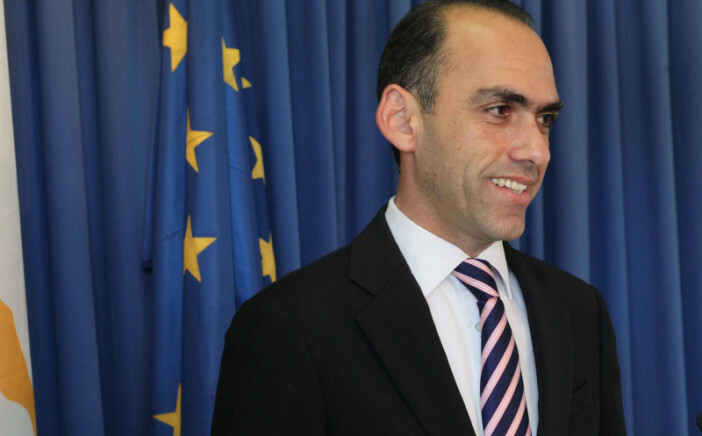 Cyprus’ energy agenda in 2016 will be extensive, Energy Minister Giorgos Lakkotrypis said on Monday. 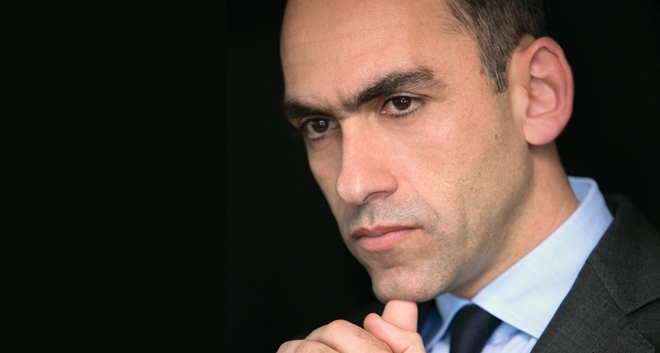 2015 turned out to be a much better year than expected and 2016 is going to be even better, according to Phidias Pilides, President of the Cyprus Chamber of Commerce & Industry (CCCI) in his New Year message. 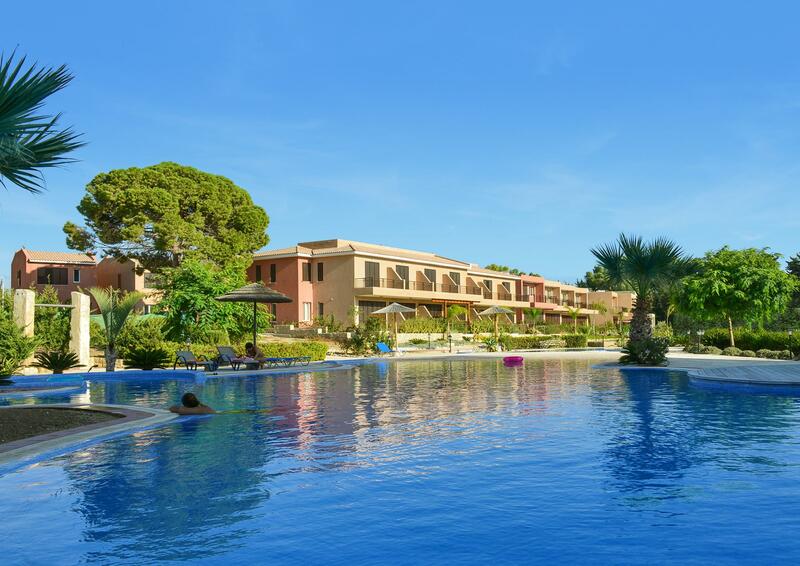 In Cyprus, cheapest of 10 winter sun favourites checked by researchers for New Year getaways, a seven night package to Paphos including evening meals in resort restaurants costs £239 per head. 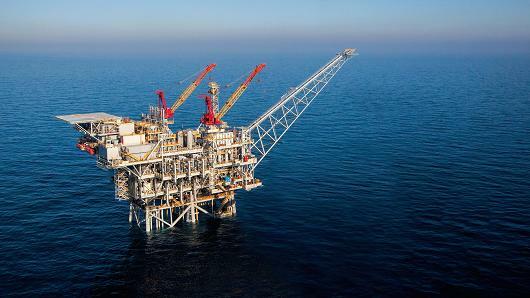 Cyprus, Greece, and Egypt agreed on Wednesday to speed up talks to demarcate sea boundaries in the Eastern Mediterranean as part of efforts to turn the region into an offshore natural gas hub. 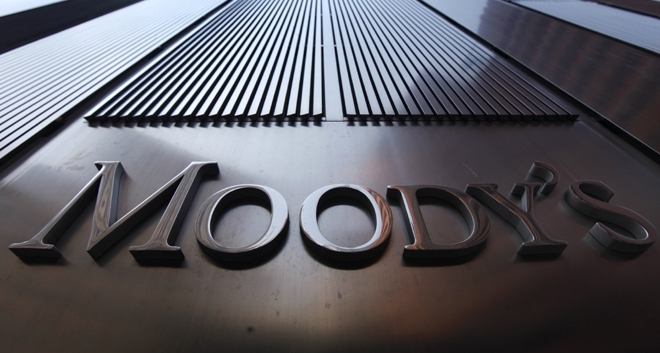 Moody's upgraded Cyprus' government bond rating by two notches to B1 from B3, on November 13. 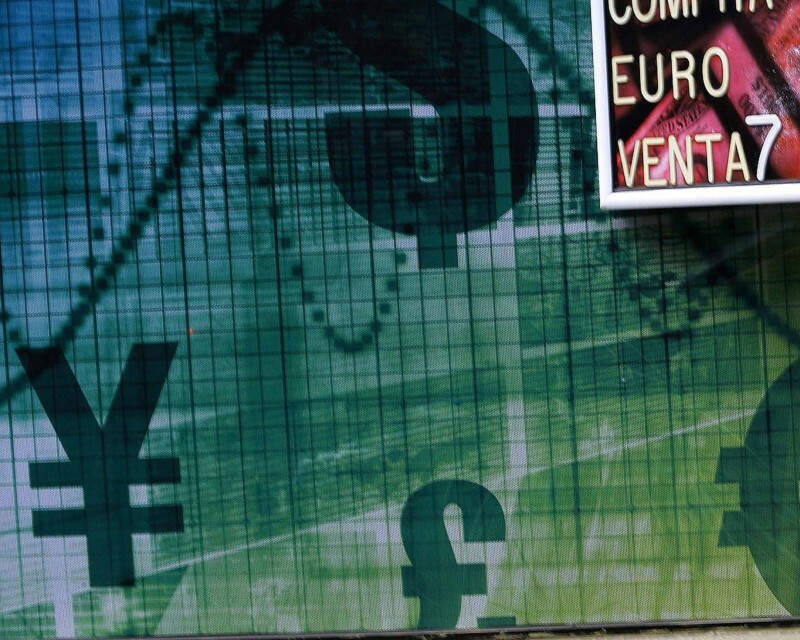 The outlook is stable while Cyprus’ short-term rating was affirmed at Not-Prime. Cypriot President Nicos Anastasiades commended the good ties between his country and Jordan and said his visit to the Kingdom, which is scheduled to start today, will look into means of enhancing them. 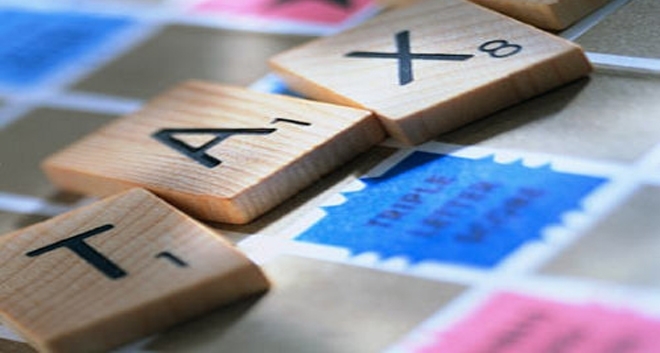 Specifically, exemption from capital gains tax has been introduced for sale of properties that have been or will be acquired between the day the Law was enacted and 31 December 2016. S7 Airlines, a member of the oneworld® global aviation alliance®, adds new countries to its route network by starting flights to Cyprus. 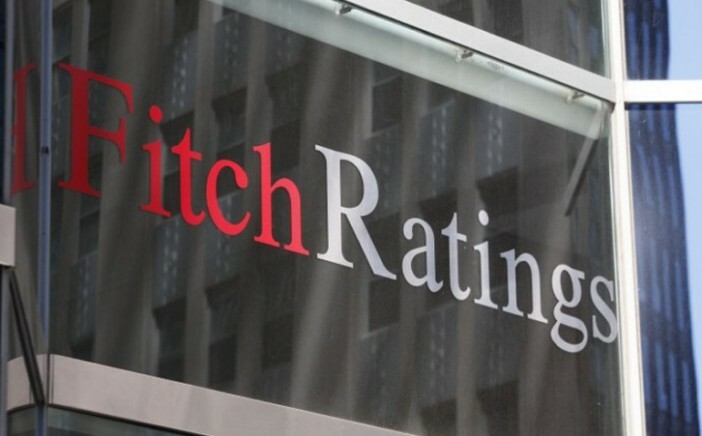 Fitch Ratings upgraded Cyprus’s long-term foreign and local currency issuer default rating by two notches to B+ and placed it on positive outlook citing a fiscal “over-performance,” an expected declining trend of government debt, the implementation of cash-for-reforms programme including the foreclosure law and faster economic recovery. 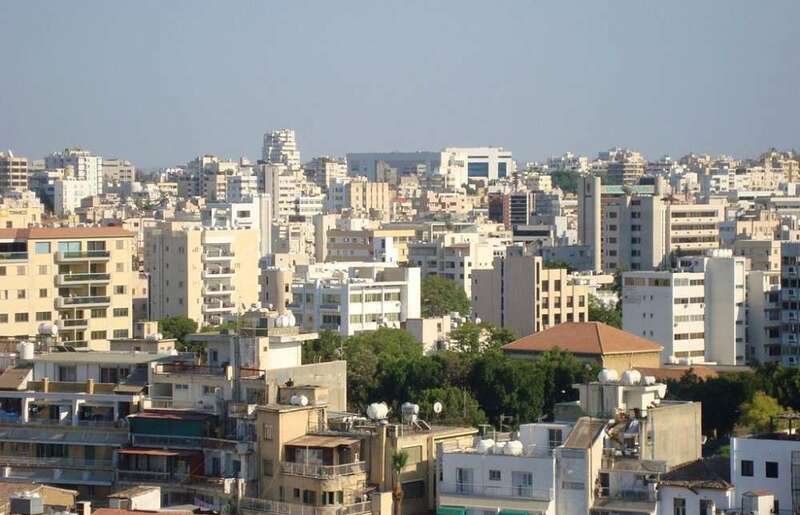 House prices in Cyprus rose during the second quarter of 2015 according to figures published on October 8 by Eurostat, the statistical office of the European Union. President Nicos Anastasiades underlined that a solution to the Cyprus problem will act as a catalyst for the island’s economic development and will benefit several sectors including energy, shipping, tourism and transport.During his stay in Chicago, the President gave a speech entitled “Lessons from the Cypriot crisis and the road to recovery” at the Chicago Council on Global Affairs. 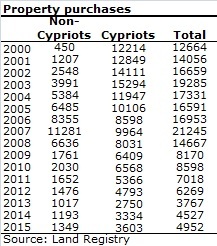 Great Improvements on Cyprus Permanent Residence Permit announced by the Ministry of Interior of Cyprus. 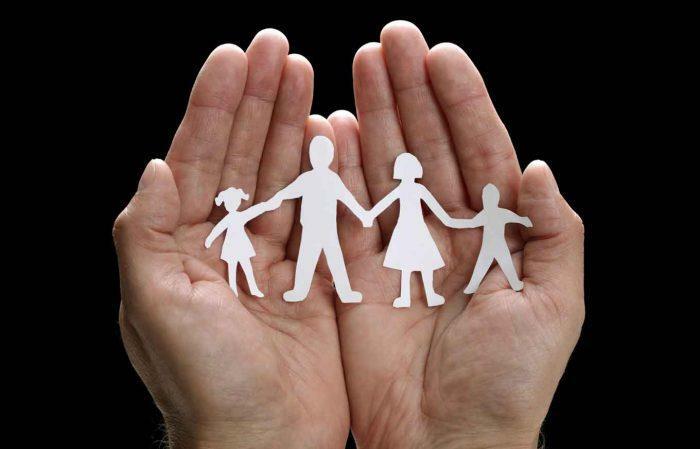 It enables qualified investors to obtain Permanent Resident status in Cyprus. 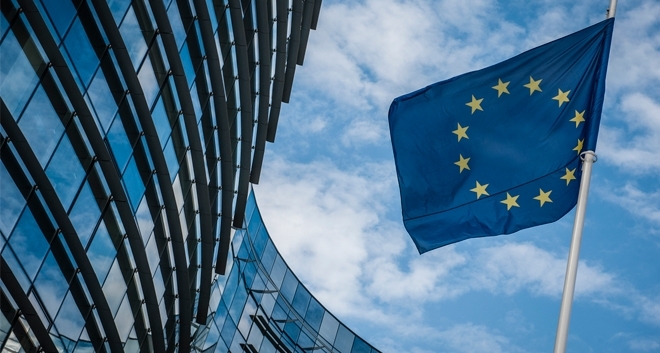 Cyprus' recently revised taxation framework makes it arguably the most attractive citizenship-by-investment program in Europe to offer non-domiciled investors tax free profits. The safest country, according to the ValuePenguin survey, is Switzerland, followed by Singapore, Spain, Japan and Cyprus. The island also tops the list of the safest small countries (those with a population of less than 5 million).The report says of Cyprus: “The Republic of Cyprus made it this high because it bested the aforementioned four cities in two categories: It ranked 21st overall in national police personnel per 100,000 people (with 466), and it ranked 22nd in thefts per 100,000 people (with 111). 1. 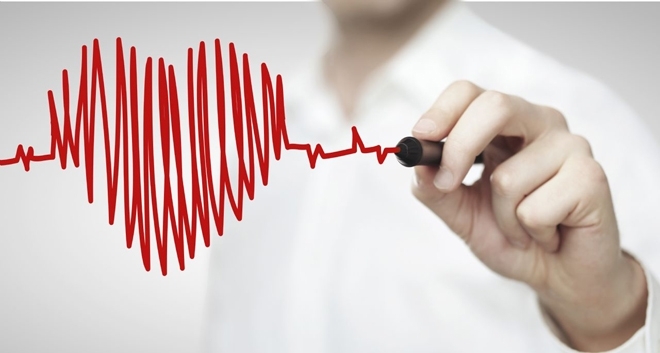 What is the time frame for the examination of an application? Approximately three months. 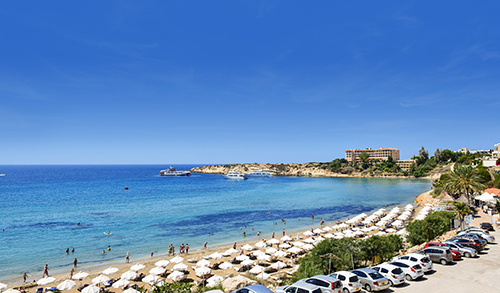 According to Cyprus Tourism Organisation (CTO) Chairman Angelos Loizou, Cyprus has one of the best infrastructures in the hotel industry and ranks first in Europe in 5-star hotels in proportion to its population. 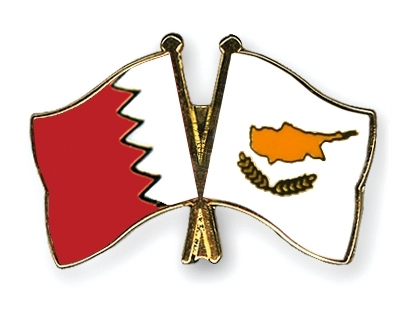 On 4 August 2015, Cyprus signed a tax treaty with Iran for the avoidance of double taxation. Cyprus is the safest country in the EU – based on analysis of data from the EU’s statistical office, Eurostat. You cannot draw this conclusion simply by visiting the Eurostat website, as the statistics are simply given in their absolute form: total number of recorded crimes, total number of violent crimes, robberies and so on. 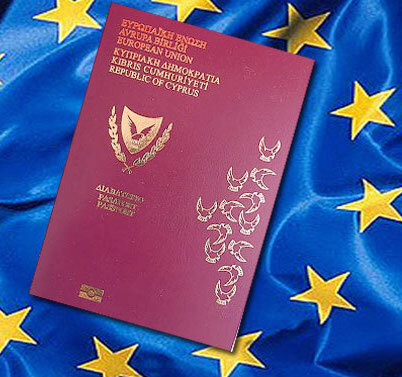 The Ministry of Interior of the Republic of Cyprus issued in May 7,2013 New Revision of the Criteria for granting a Permanent Residence ,Immigration Permit and a new plan for exceptional naturalization of Investors in Cyprus,Cyprus Citizenship . 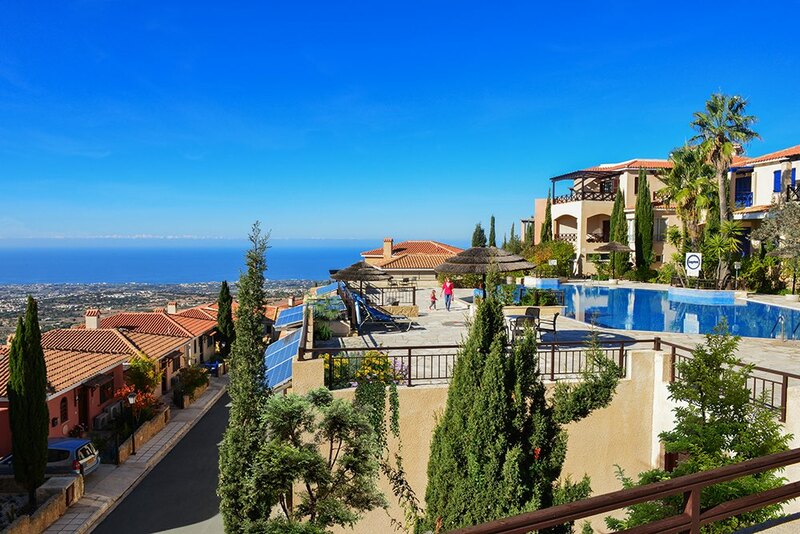 Cyprus is among the six international locations to which South African high net worth individuals have begun to migrate, according to a new international report. Indeed, a new study from LIO Global and New World Wealth has revealed that South Africa has seen a net outflow of 8,000 dollar millionaires over the last fifteen years. 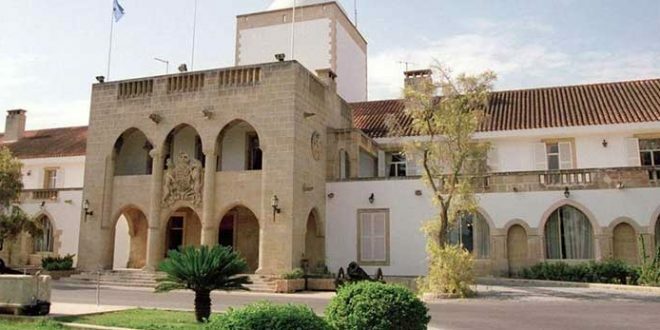 A 50 per cent cut in Property Transfer Fees and other tax incentives have been announced by the Cyprus President in efforts designed to attract high-net-worth foreign investors to the island. PRESIDENT Nicos Anastasiades on Wednesday announced tax incentives, including a 50 per cent cut in property transfer fees, to boost economic activity as Cyprus moves to attract rich foreign nationals. 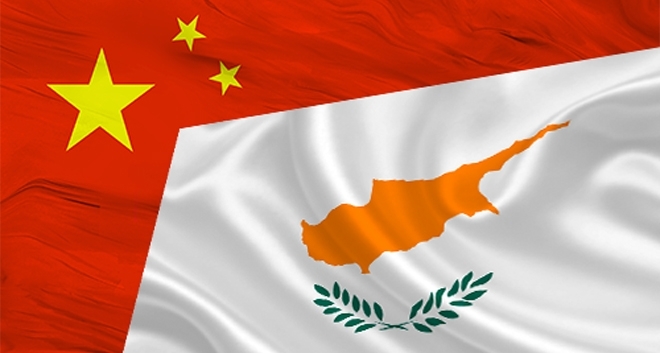 Cyprus may be among the European countries to benefit from a projected surge in Chinese overseas investment, according to a new research. Indeed, a report released by the Mercator Institute for China Studies (MERICS) has revealed that China's overseas investments are set to triple by 2020, turning the country into a driving force in global cross-border investment in the coming decade, as a result of the country’s policy liberalisation and adjustments to its growth model. 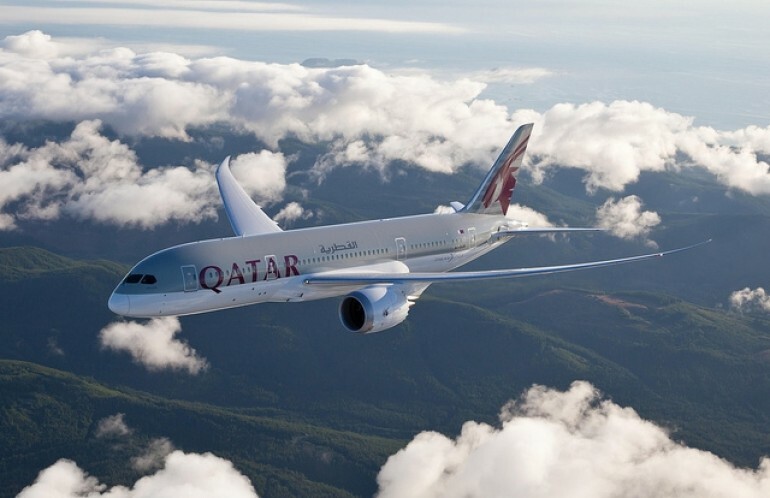 Qatar Airways adds 3 additional frequencies, expanding the Larnaca-Doha services to a seven-day-per-week operation Nicosia, CYPRUS –Qatar Airways, operates a daily direct service from Larnaca Airport to Doha’s Hamad International Airport from 3rd June 2015, to help meet the demand of leisure and business travel. 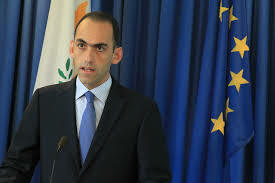 Energy Minister Giorgos Lakkotrypis said natural gas could go to Europe through Turkey, but only if expert studies concur and there is a solution to the Cyprus problem. 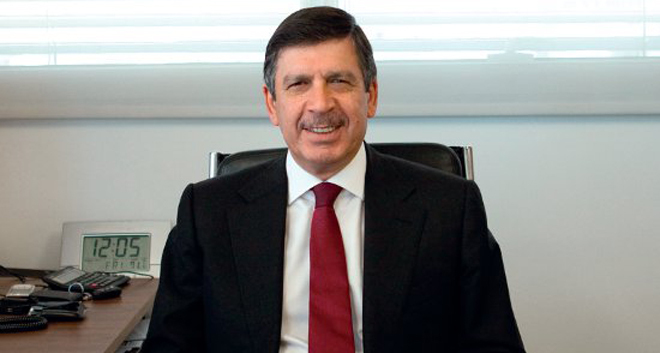 The Minister spoke to Turkish newspaper Milliyet, where he highlighted the huge potential role that Cyprus could play in the Eastern Mediterranean if problems in the region are put to rest. Turkey needs partners and cooperation in the region, said the Minister, adding that Cyprus could become an island of peace and stability. 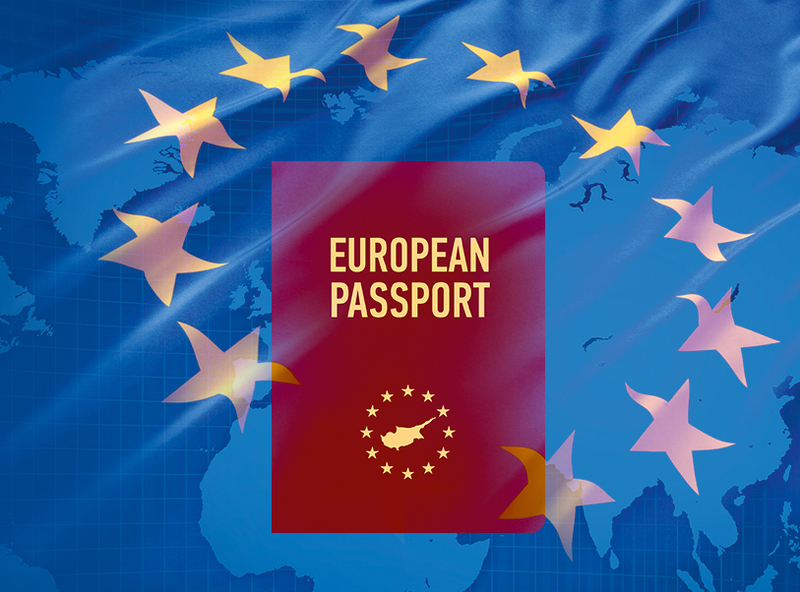 The ‘Citizenship by Investment’ programme, which enables high-net-worth third country nationals to apply for Cypriot citizenship has boosted the Cyprus economy by €2 billion. 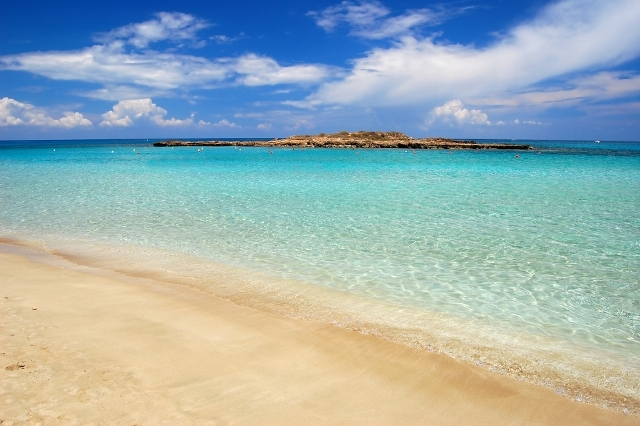 Cyprus’ immaculate beaches have been named the cleanest in Europe for the 10th consecutive year, with a total of 57 local coastlines receiving the Blue Flag certification this year. 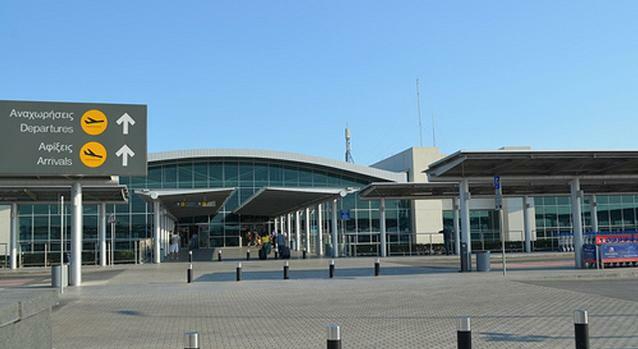 The tourism sector continues to follow its upward trajectory according to relevant data released Friday by the Statistical Service of Cyprus, which has recorded a 13.7% increase in arrivals for the first quarter of 2015, further indication of the successful summer season industry experts have thus far predicted. DESPITE the best efforts of the anti-settlement parties to sow doubts about the prospects of the talks that resume on Friday, the two leaders seem genuinely optimistic. The UN Secretary-General’s Special Representative Espen Barth Eide has also been making many positive sounds but that is his job and the optimism of mediators has always been viewed with a big dose of cynicism. 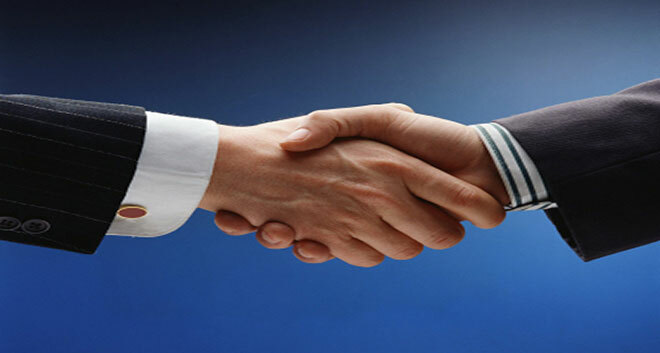 However, when it is expressed by the leaders of the two sides it is guaranteed to create a positive climate. 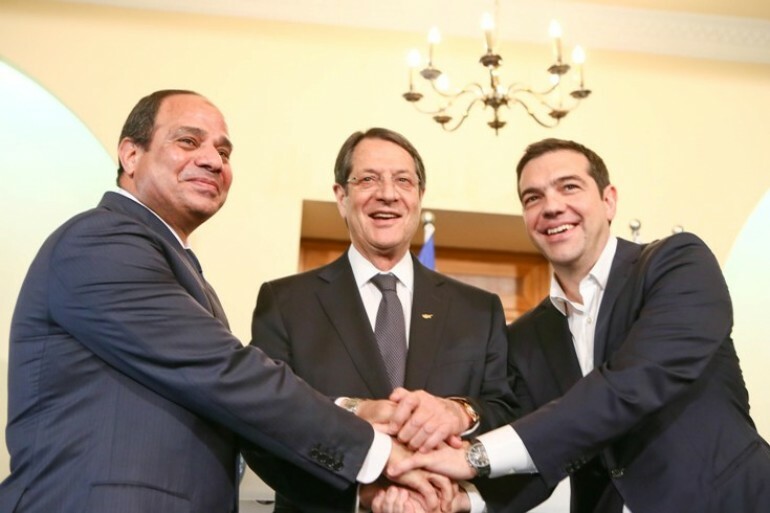 With the adoption of the Declaration of Nicosia the three leaders of Cyprus, Egypt and Greece agreed on Wednesday on further broadening and deepening the relations among their countries in a series of sectors, including the economy, trade, tourism and energy. 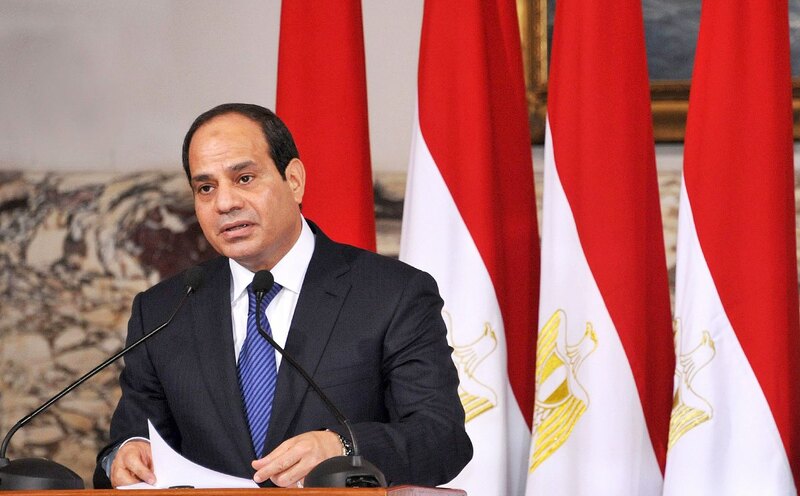 President of Egypt, Abdel Fattah el-Sisi, is set to visit both Cyprus and Spain on an official trip between April 29 and 30. 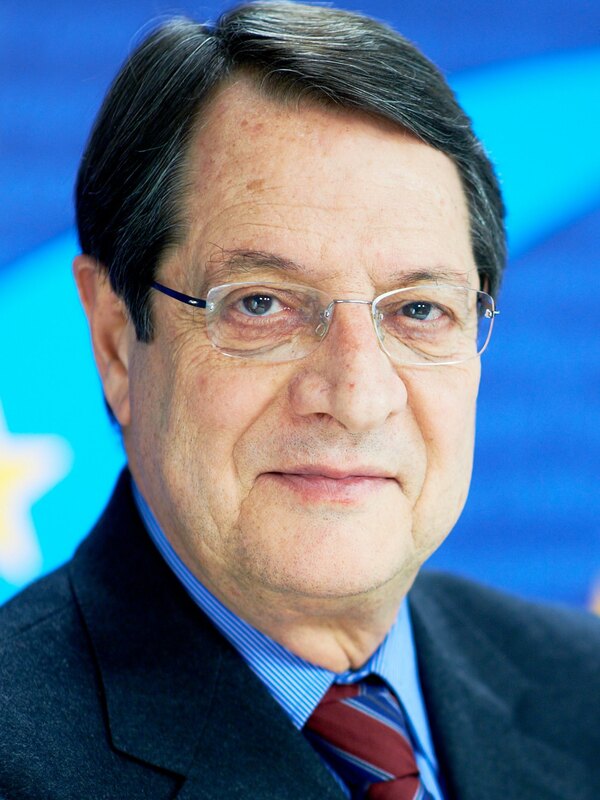 During his visit to Cyprus, he will hold contacts with the President of the Republic of Cyprus, Nicos Anastasiades. Cyprus is lifting all capital restrictions on Monday that were imposed on the island two years ago when the economy reached a melting point and international lenders offered a €10 bln bailout plan, conditional to rebuilding the over-borrowed banking system and reforming the public sector. 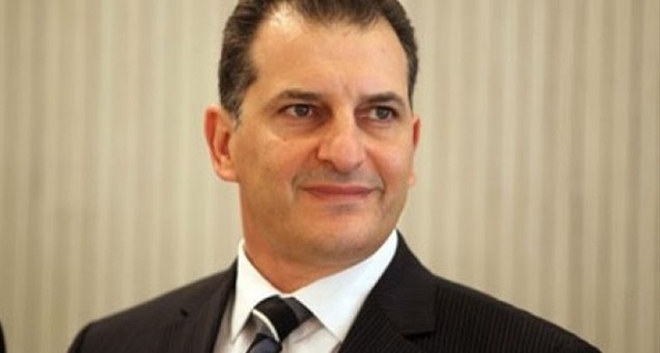 Cyprus has entered the stage of development and commercial exploitation of its hydrocarbon reserves, with Energy Minister Yiorgos Lakkotrypis saying that Noble Energy will submit a development plan for the Aphrodite gasfield that holds a gross reserve of natural gas of 4.5 trillion cubic feet (tcf) and will declare it commercially viable within the next few weeks. 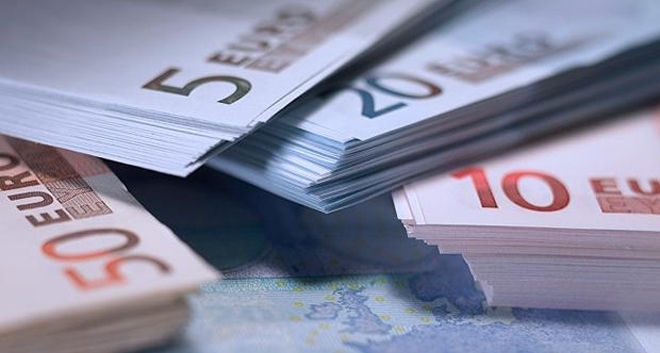 The Cypriot authorities have increased the limit on the transfer of deposits/funds outside the Republic to €1,000,000/month/person/credit institution, up from the previous €50,000/month. 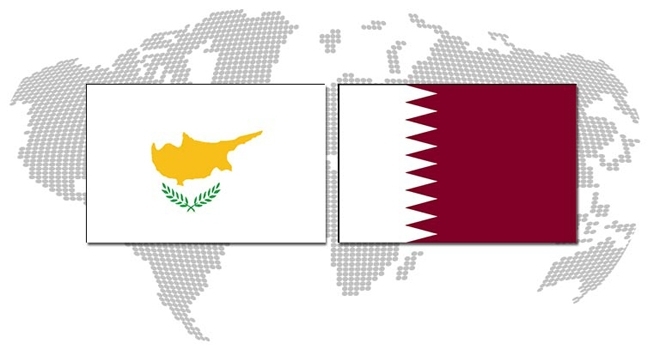 Cyprus and Bahrain have signed a series of cooperation agreements, in the framework of President Nicos Anastasiades’ official visit to the Arab country. 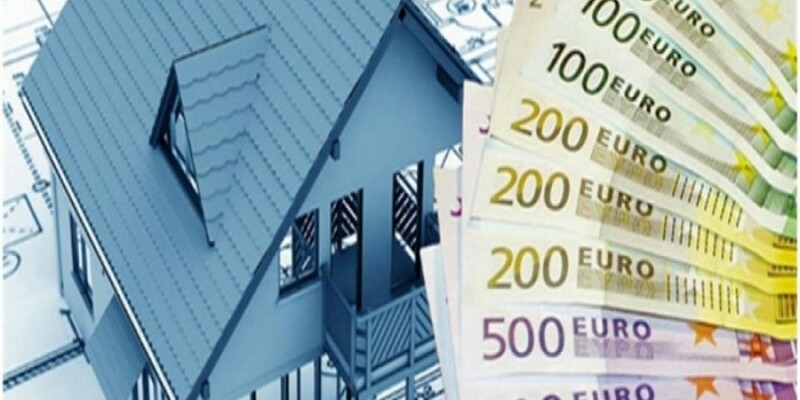 A rising trend in new property deals have brought in about €1 bln in foreign funds in the past two years, defying the negative climate in the market, especially after the Eurogroup decision in March 2013 to impose a €10 bln bailout and austerity programme on Cyprus. 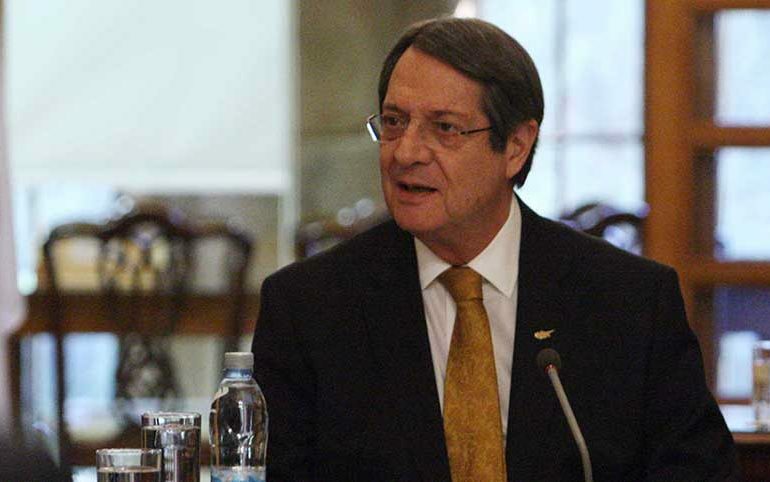 President Nicos Anastasiades departs today for Moscow on an official visit from 24 to 27 February during which he will hold a meeting with his Russian counterpart Vladimir Putin, Prime Minister Dmitry Medvedev and other Russian officials. 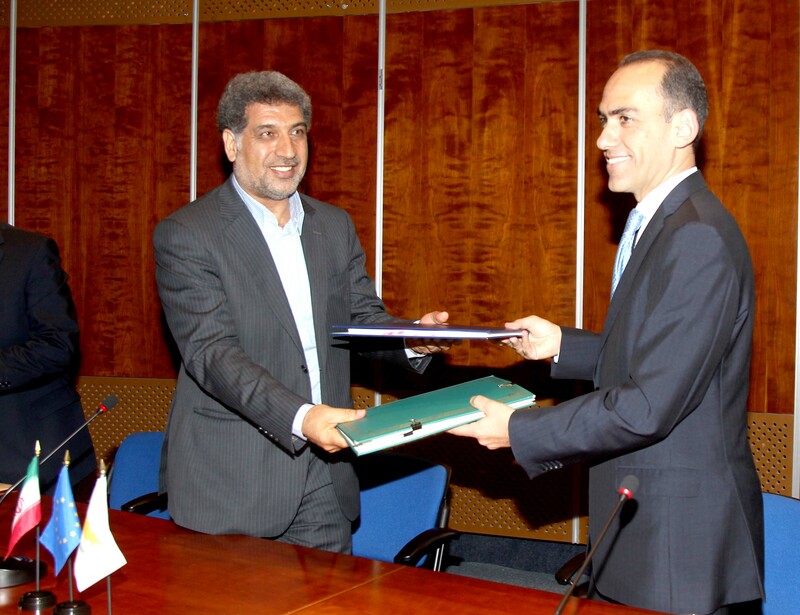 A Memorandum of Cooperation was signed today between the Cyprus Ports Authority and the Port of Alexandria in the presence of Minister of Communication and Works Marios Demetriades and Egyptian Minister of Transport Hany Dahy. 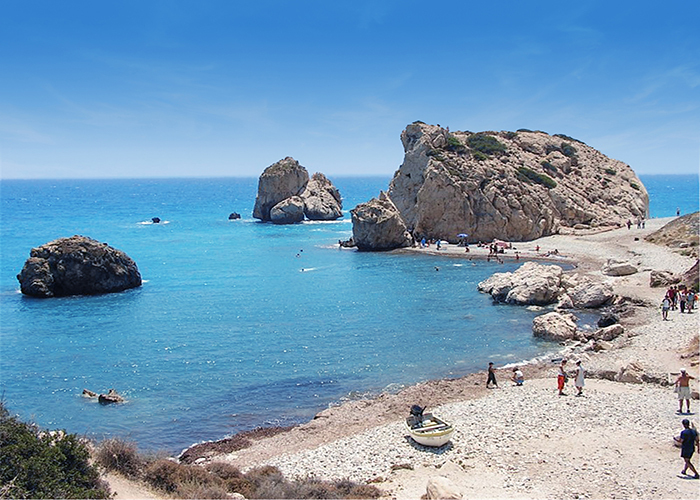 Cyprus recorded the second highest tourist demand from non-residents of the 28 European Union member states in 2014, accounting for 94% of total demand. 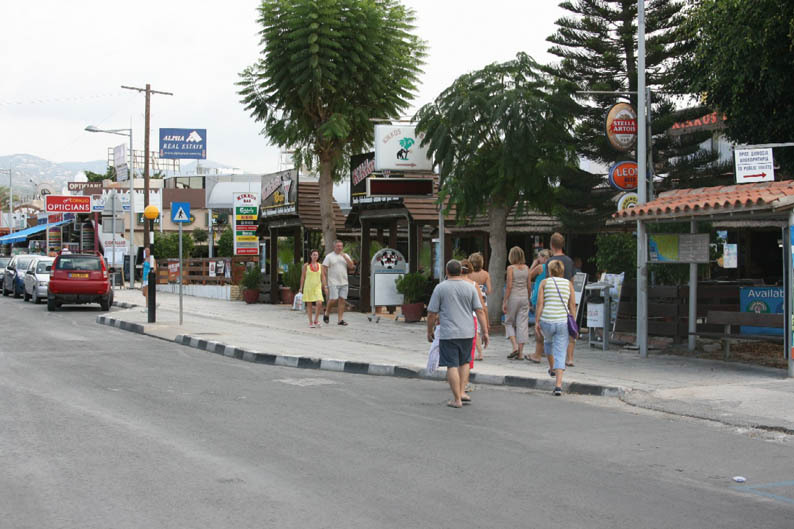 Tourist demand is evaluated by the number of nights spent in local tourist accommodation establishments. 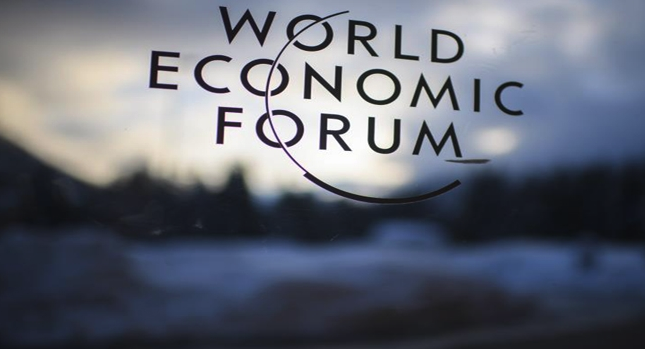 President Nicos Anastasiades is preparing to attend the 45th Annual Meeting of the World Economic Forum in Davos, Switzerland, between January 21 and 24.The latest developments in the Cyprus problem were an additional reason for accepting the invitation, an official announcement explained. 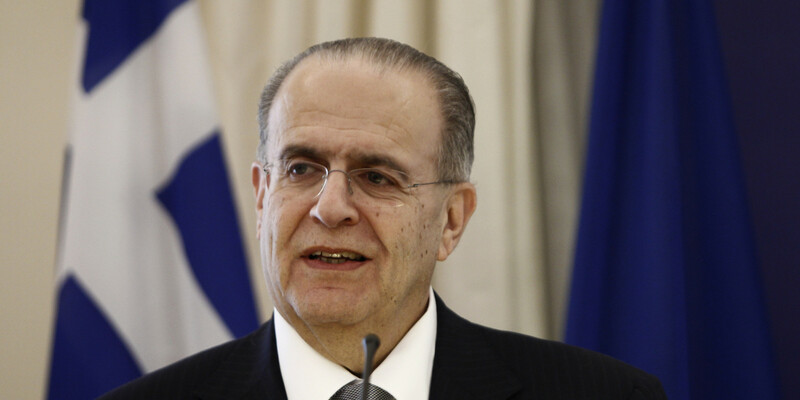 An official visit of the Minister of Foreign Affairs Ioannis Kasoulides to Iran will focus on bilateral relations, the Cyprus issue, regional developments relating to the Islamic State and developments in Iran`s nuclear programme talks. 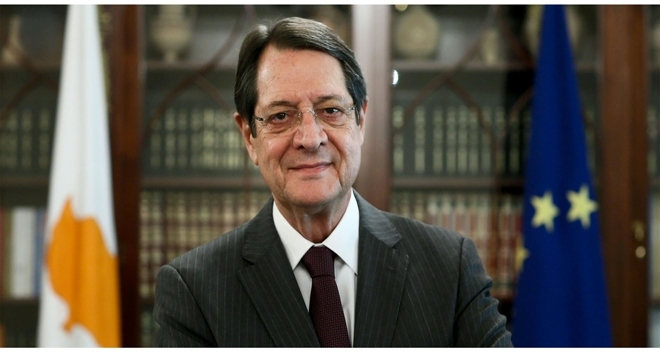 “As we enter the year 2015, Cyprus turns over a new leaf and enters a new era,” the President of the Republic, Nicos Anastasiades, stated in his televised New Year’s message to the people of Cyprus. 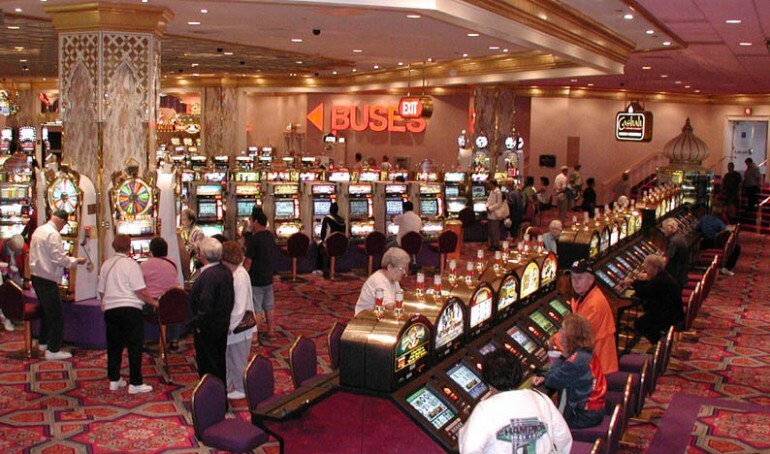 The Council of Ministers has approved a bill that allows for the establishment and operation of casinos in Cyprus.The creation of casinos on the island is viewed by the current government as vital to the development of Cyprus’ tourist product, a stark contrast compared to the previous’ government’s refusal to pursue the notion of introducing legal gambling to the Cyprus community. 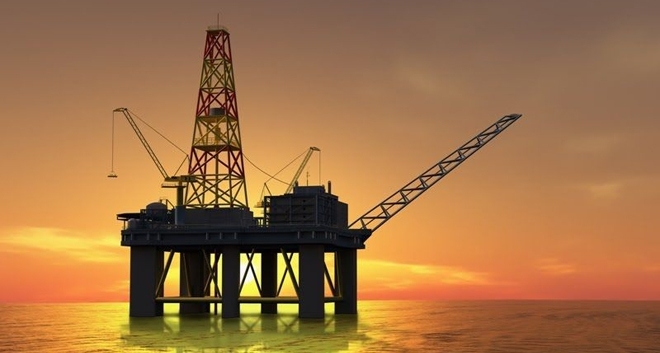 The Energy Ministers of Cyprus, Greece and Egypt agreed on Tuesday to establish a framework for tripartite consultations in order to facilitate dialogue and advance trilateral co-operation among them in the field of hydrocarbons for the benefit of their countries and the wider region. 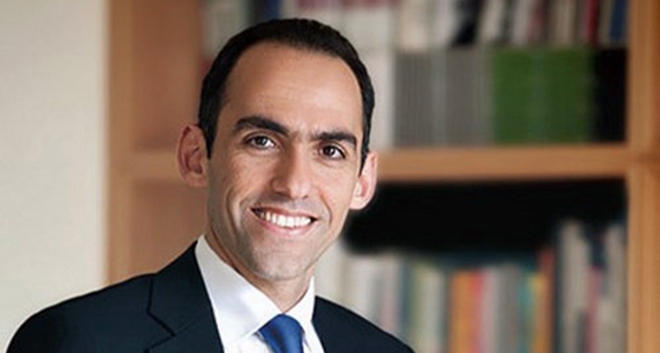 Cyprus’ government bond rating remains constrained, the agency explained, by substantial credit challenges, including a weak economic outlook and the high – and rising – non-performing loans (NPLs) in the banking sector, which generate further negative risks to the government’s balance sheet. The European Bank for Reconstruction and Development, a household name in eastern European privatisations in the earlier part of nearly two decades ago, has a new role to play in Cyprus – helping re-engineer some of the economic sectors that failed to see the sign of the times and did not prepare to the crisis that followed. In response to increased demand from Kuwait, Gulf Air – the national carrier of the Kingdom of Bahrain – has announced the upcoming launch of a twice weekly service between Kuwait City and Larnaca. Cyprus, Greece, and Egypt have all expressed their commitment to work closely and strengthen their cooperation in areas of mutual benefit, following a trilateral meeting the Foreign Ministers (Ioannis Kasoulides, Evangelos Venizelos, and Sameh Shoukry respectively) had in New York, on the sidelines of the UN General Assembly. Prime Minister of Jordan, Abdullah Ensour, has – according to the Jordan News Agency – stressed that Jordan is keen on developing ties with the Cyprus, recognising the island as being an important partner and neighbour, pointing to the recent mutual visits of officials in order to increase bilateral cooperation. Cyprus-Norway double tax treaty enters into force Cyprus extends its Treaty network and offers new investment opportunities On 24 February 2014, a Double Tax Treaty between Cyprus and Norway was signed. 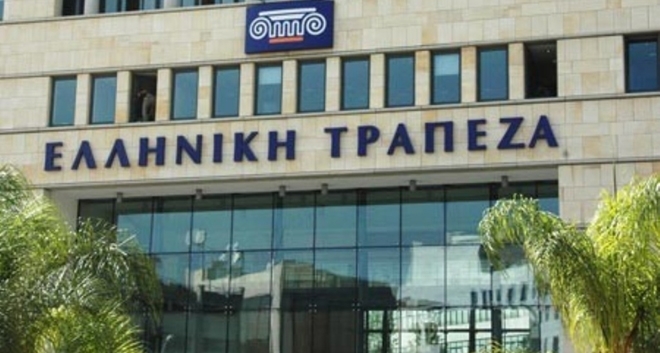 Hellenic Bank, the island’s second biggest lender that was recapitalised earlier this year by private investors, has been named as one of the ‘safest banks’ in more than 100 countries, according to the Global Finance magazine survey to be published in the November issue. Readers of the tourism magazine Travel + Leisure decided that the Greek island is the most beautiful in the world! A very pleasant surprise for the Greek tourism was the 19th poll of readers of Travel + Leisure magazine for the best destinations in the world and for leisure services. 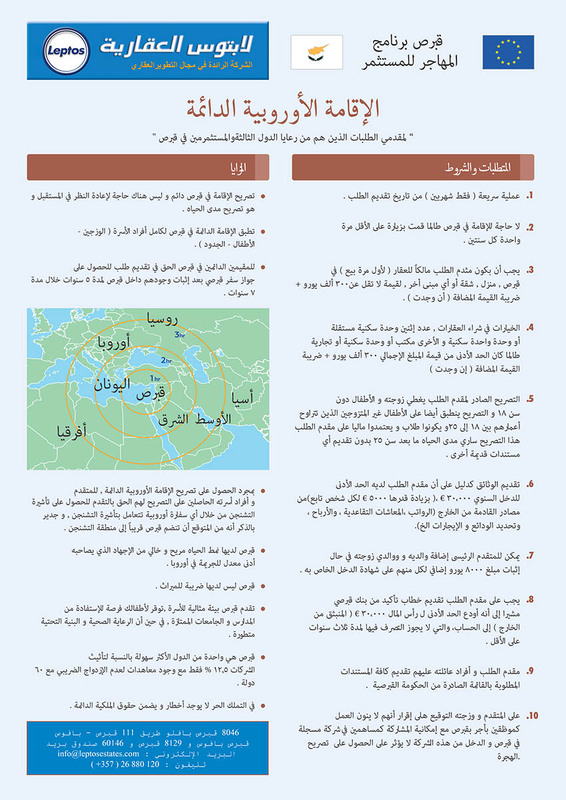 Emirates started a daily service between Dubai and Larnaca and onwards to Malta this week. Mustafa Al Jabri, Emirates’ Manager for Cyprus, said: “From 1st August, Emirates has added three flights a week to its Dubai-Larnaca-Malta-Larnaca-Dubai schedule. President Nicos Anastasiades expressed his total satisfaction for the meetings he had Thursday with new European Commission President Jean-Claude Juncker and President of the European Parliament Martin Schulz, saying that his positions especially on the EU role on the Cyprus issue were well understood. 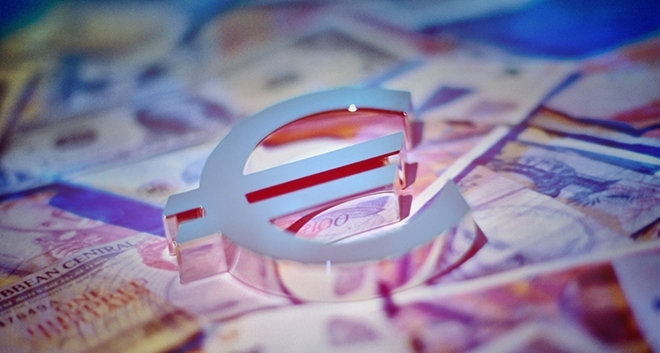 Cyprus made a triumphant return to the markets yesterday, with investors snapping up the five-year bond which offers the highest yield of any comparable euro zone debt. Cyprus Airways announced on Monday the sale of its last Heathrow slot to American Airlines for $31 million, but said that it would continue to serve London through Stansted airport. President of the Republic of Cyprus Nicos Anastasiades met on Sunday in Cairo with the country`s new President, Abdel Fattah el-Sisi, who was sworn-in during a ceremony in the Egyptian capital. The Mediterranean island's tourism industry on Tuesday got a major boost after an EU report said Cyprus is the bloc's best coastal bathing site.Tourism revenues are on the rise in recession-hit Cyprus but the 'excellent' bathing waters news further raised hopes that the sector will ease the economy out of the crisis. Latest developments on the envisaged amendments to the Agreement between Cyprus and India for the Avoidance of Double Taxation and the Prevention of Fiscal Evasion with respect to taxes on income and on capital. US Vice President Joe Biden arrived in Cyprus on Wednesday to discuss the country's reunification efforts and its ability to tap gas deposits, which could turn the east Mediterranean island into a source of stability in a tumultuous region. 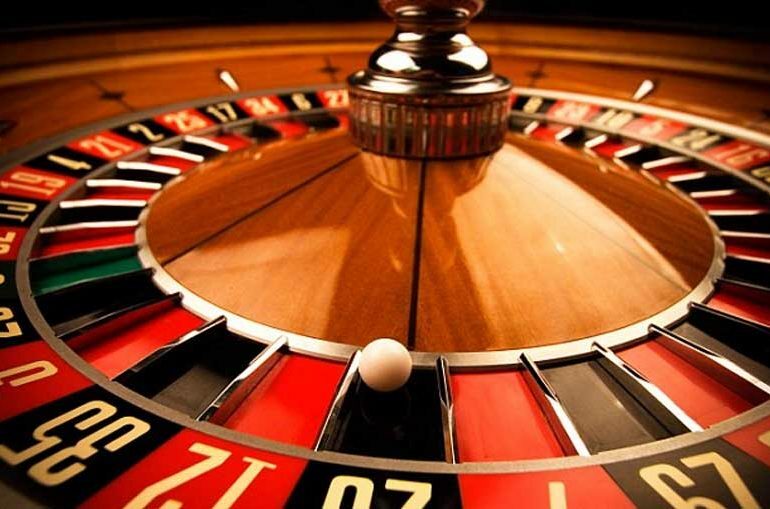 Casino licences should be expected by Spring 2015, the government said on Thursday, as legislation on the matter was scheduled to be ready at the end of the month.“We have completed the policy document and legislation is being prepared at this moment to be submitted to parliament by the end of May,” Tourism Minister Giorgos Lakkotrypis said. 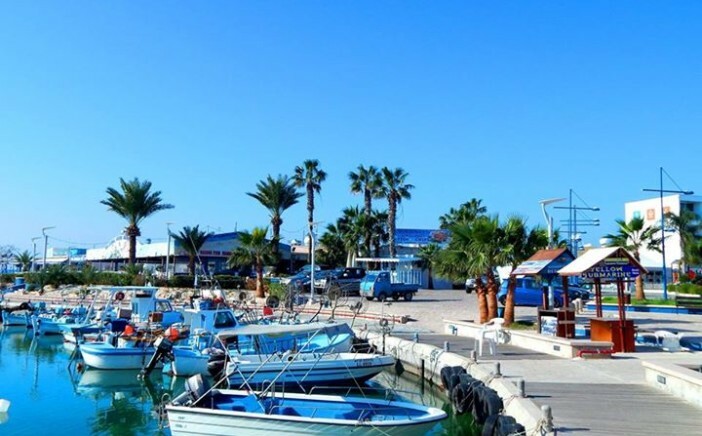 Cyprus expects a tourism boost from Great Britain, by 35% in the summer season and 50% in the winter season of 2015, following a deal between the Cyprus Tourism Organization (CTO) and Britain`s largest tour operator. The Finance Ministry said in a statement Friday that a prohibition on cashing checks as well as caps on domestic transactions and payments that don’t require central bank vetting have been removed.The Ministry of Finance announced new but not complete relaxation in the restrictions on capital movement. 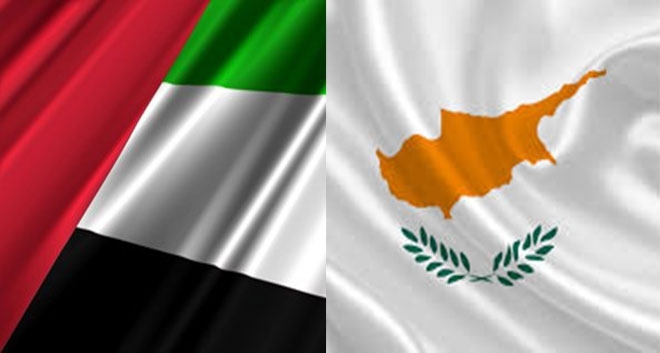 The double tax treaty between Cyprus and the United Arab Emirates has entered into force on 2 April 2013 and became effective as of 1 January 2014. 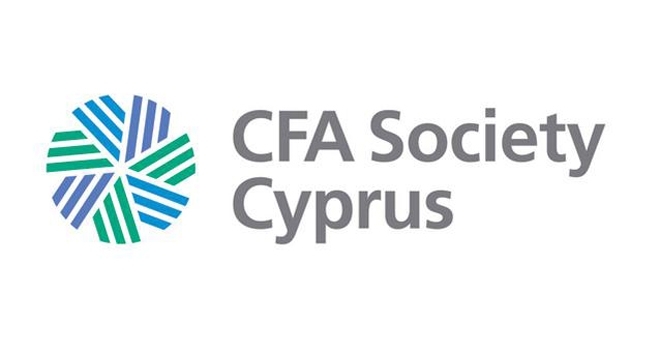 Debt-ridden Cyprus aims to return to international financial markets by March 2016 and an initiated savings bond programme for retail investors will be a ‘small, first step’. 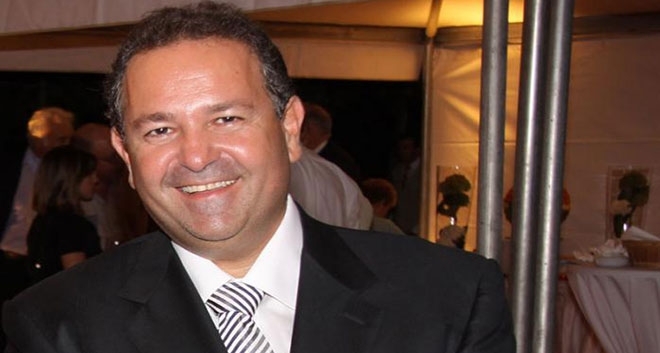 This is what Finance Minister Haris Georgiades told state radio on Tuesday, adding that the return to international markets is a gradual process that starts from home.“These bonds, to be launched in June, will be a credible investment option featuring liquidity, low risk levels and a satisfactory interest rate,” Georgiades said. President Nicos Anastasiades gets his official four-day visit to the United Arab Emirates underway today as he looks to open more investment opportunities for the island’s beleaguered economy.With Cyprus having recently strengthened its relations with United States, the EU and, more crucially, Israel, the head of state’s visit to both Abu Dhabi and then later Dubai is seen by many analysts as a reminder by the Cypriot government that it has not turned its back on the Arab world. 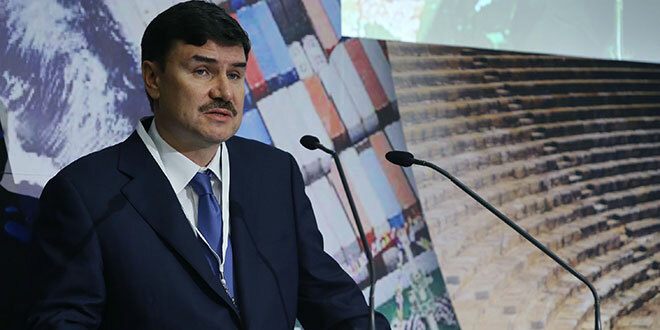 The presence of Leptos Estates at the " International ReEstate Expo” which was held in Novosibirsk of Siberia these days, was marked with great success. The company attended the exhibition with its own stand where its representatives presented the various projects available in Cyprus and Greece, as well as new mixed use development projects planned for the near future in Cyprus and abroad. 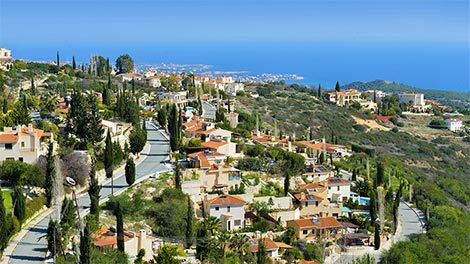 For Brits looking to buy property abroad ,especially for reasons of permanent relocation, Cyprus is the fourth most popular choice of their favourite destinations ,according to a recent real estate survey. 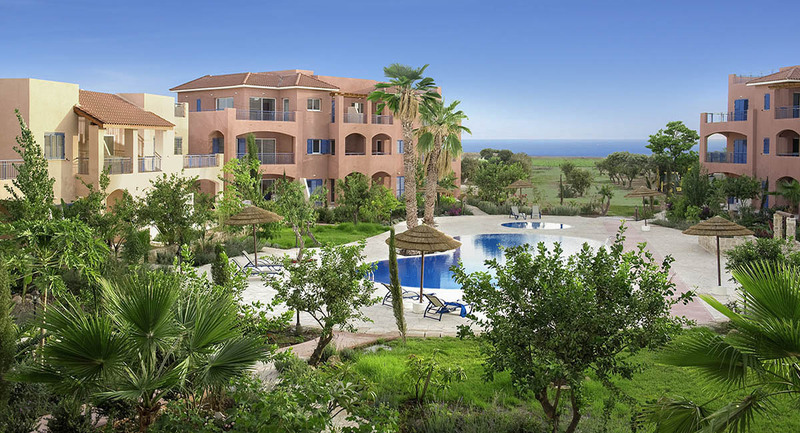 Three casinos are set to operate on the island, under a single investor, members of the Coordinating Committee of Parties and Organisations of Paphos said after a meeting Monday with President of the Republic Nicos Anastasiades. 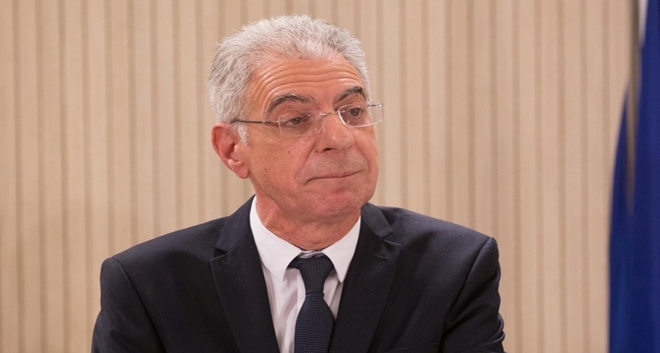 The natural gas liquefaction plant is and remains at the centre of the government`s plans, Minister of Energy, Commerce, Industry and Tourism Giorgos Lakkotrypis has said. In a written statement, Lakkotrypis says the plant was the option chosen to exploit natural gas deposits, after careful examination of all the facts. President Christofias laid the foundation stone at Limni Bay Resort following a ceremonial blessing. 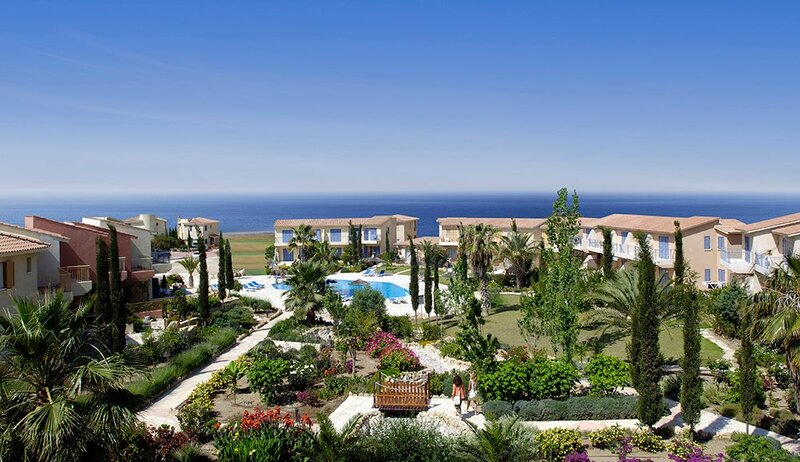 The resort, which is part of Cyprus Limni Resort and Golf Courses, looks to enhance the island’s reputation as a globally recognized destination for golfers, offering a unique Mediterranean experience in a luxurious complex that blend in harmoniously with the natural beauty and culture of Cyprus. Imposition of the reduced rate of 5 per cent on the acquisition and/or construction of residences for use as the primary and permanent place of residence. The reduced rate of 5% applies to contracts that have been concluded from 1 October 2011 onwards provided they relate to the acquisition and/or construction of residences to be used as the primary and permanent place of residence for the next 10 years. 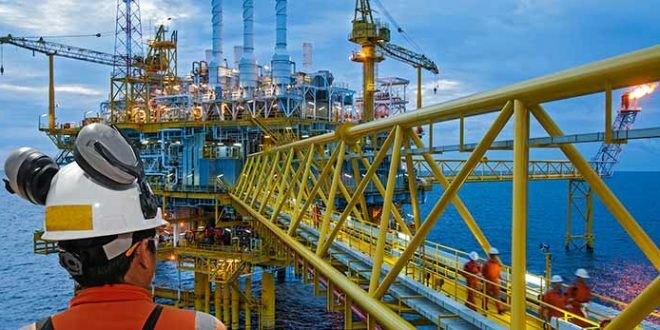 French and Italian energy giants Total and ENI, as well as the Korean Gas company and Gazprom-subsidiary Novatec have been awarded the licenses to explore for oil and gas in Blocks 2,3,9 and 11 in the Cyprus Exclusive Economic Zone. 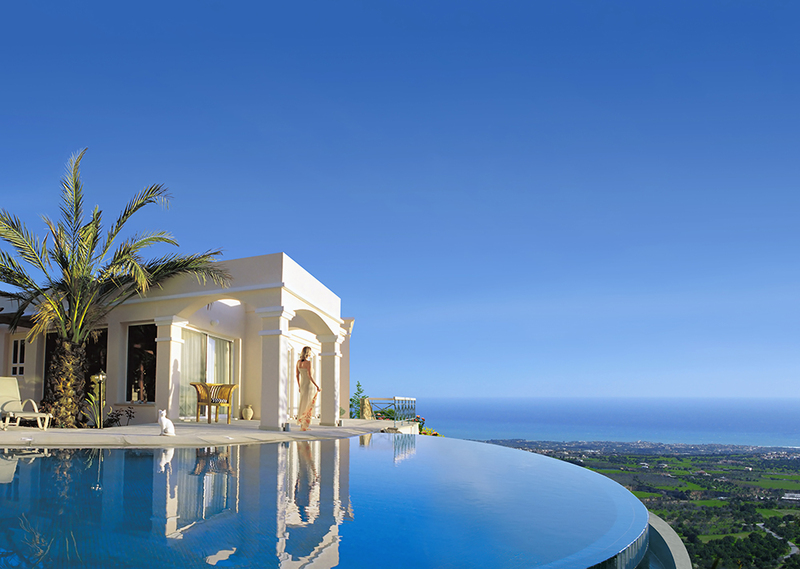 Benefit from our new price Reduction and the Abolishment/Reduction of property transfer fees in Cyprus. 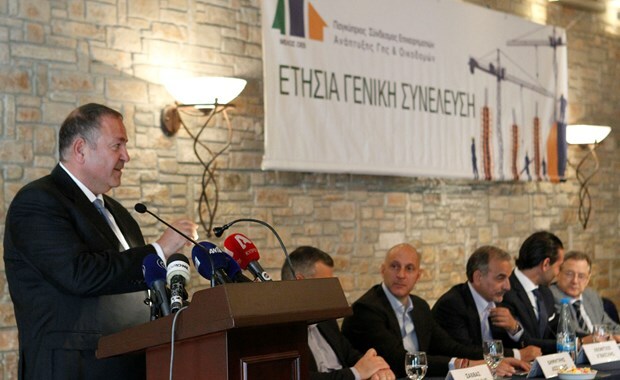 Pantelis M.Leptos who has been elected as the new Chairman of the Land and Building Developers Association of Cyprus is pleased to announce that the Cyprus government has expanded the 5 percent VAT payable on new homes used as primary residences to include non-EU citizens and has extended the Property Transfer Fee reduction/suspension until the end of the year. The pseudo-state in the occupied territories is "illegal state formation" and the purchase of property there to pose serious risks of Russian citizens, warns the Russian Foreign Ministry with a special declaration of Deputy Director of Information and Press Department Zacharova Mary, the agency "Interfax". 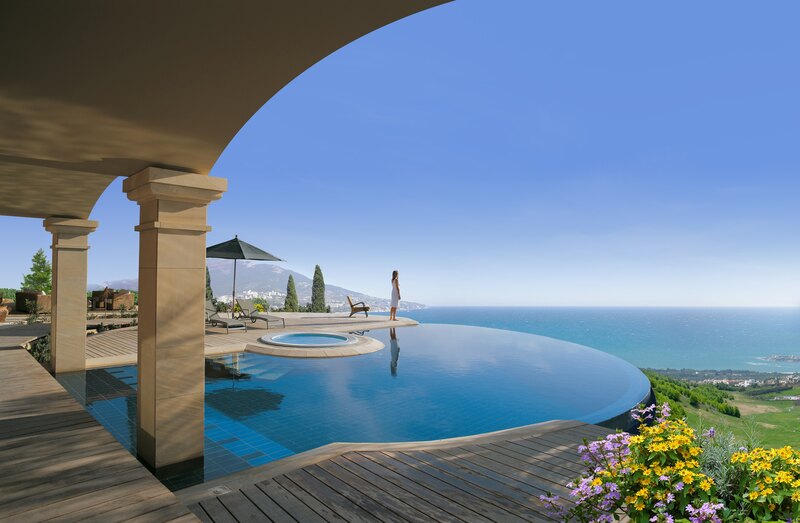 Benefit from our new Price Reduction and the Abolishment/Reduction of Property Tranfer Fees in Cyprus. 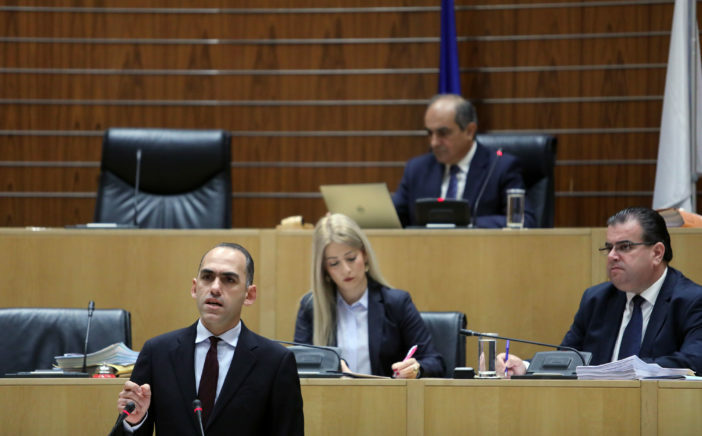 A new amendment regarding a reduction/ abolishment in the immovable property transfer fees has been approved by the Cyprus House of Representatives. 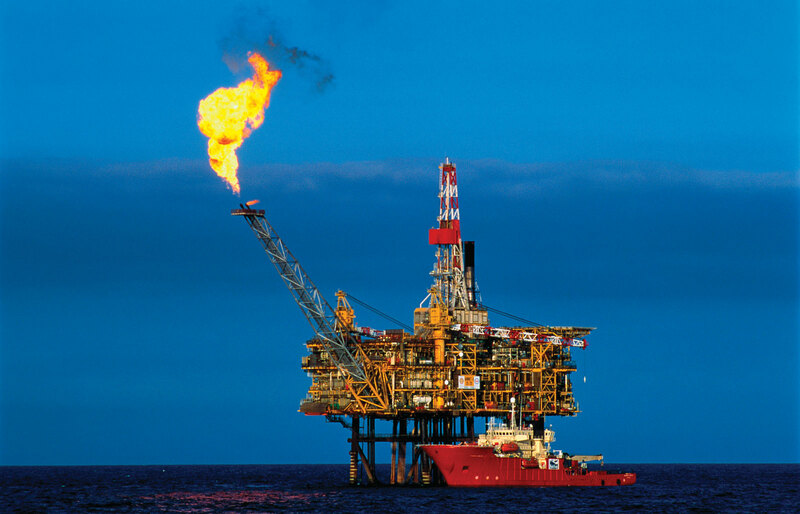 CYPRUS HAS approximately €100 billion worth of natural gas that will satisfy its electricity production needs for 210 years, said Commerce Minister Praxoulla Antoniadou yesterday. 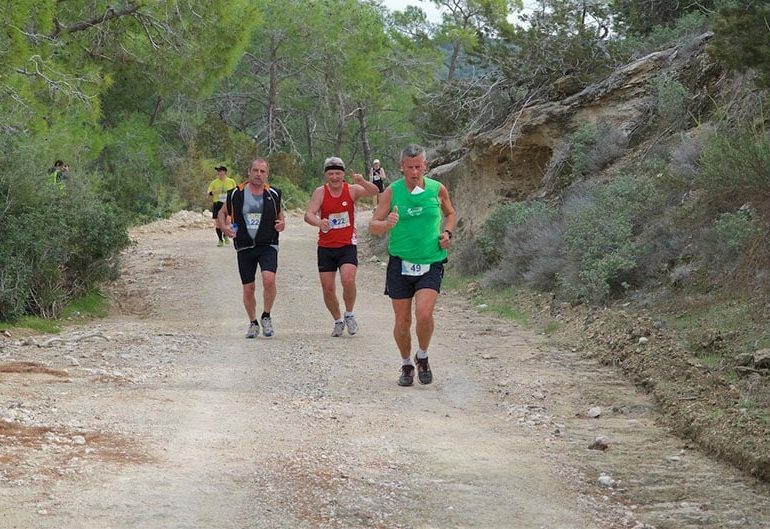 The 7th edition of the 4-Day Challenge is now an unforgettable memory for both the runners and the organizers, and it is with great pleasure that we saw the participation number increasing from last year, coming to 395 participants in total, with runners of various ages and standards as well as 90 supporters escorting the runners, all from various countries such as UK, Netherlands, Germany, Sweden, Slovakia, Ukraine, France, Italy, South Africa, Austria, Norway, Switzerland, USA, and Cyprus. 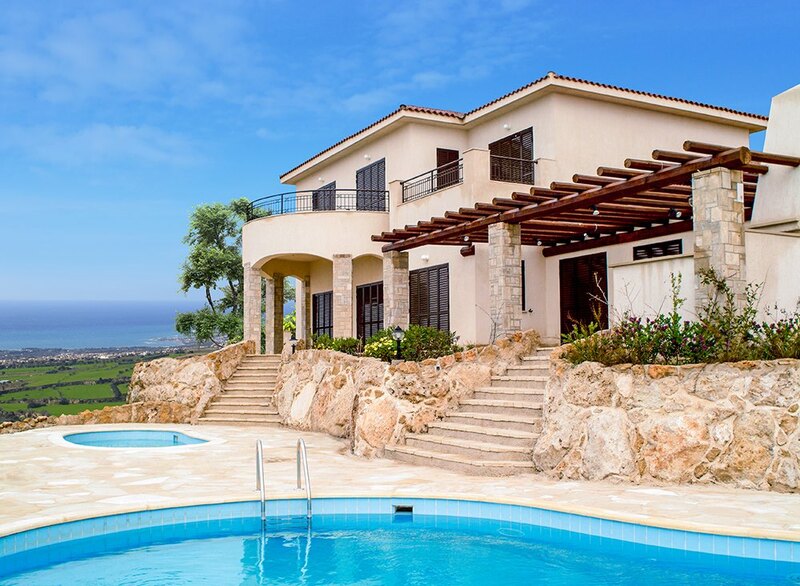 CYPRUS’ popularity as a destination for overseas property investors has increased according to the October ‘Top of the Props’ chart published by themovechannel.com, which looks at the number of on-line enquiries for property in different countries around the world. It is our pleasure to announce that Mr. Demetris Elephteriades, Leptos Group has been officially invited to Cyprus Embassy in Ukraine accompanied with President of Cyprus, Mr. Demetris Christofias to visit the New Premises in Kiev. 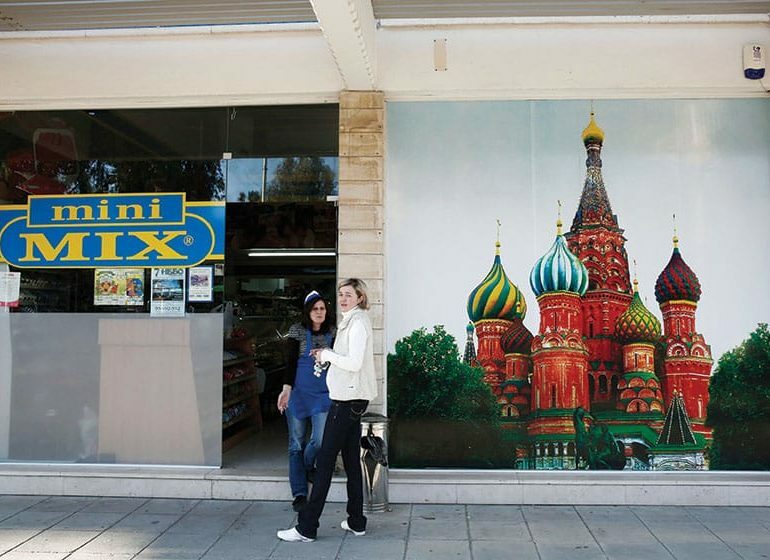 The goverment's decision to launch three new General Consulate of the Republic of Cyprus signed by Russian Prime Minister Vladimir Putin according to a communication from the official website of the Russian Goverment. 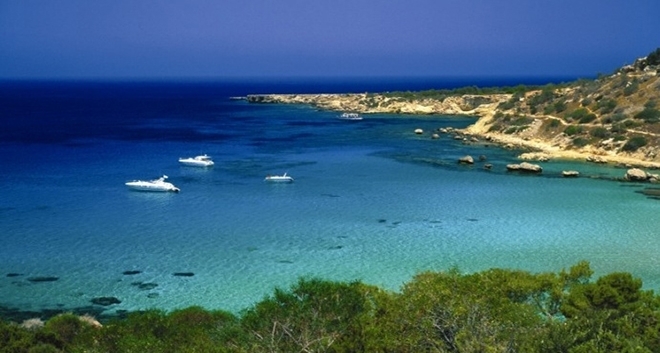 A recent survey undertaken by Shelter Offshore which helps Britons decide where to emigrate put Cyprus top of the list.